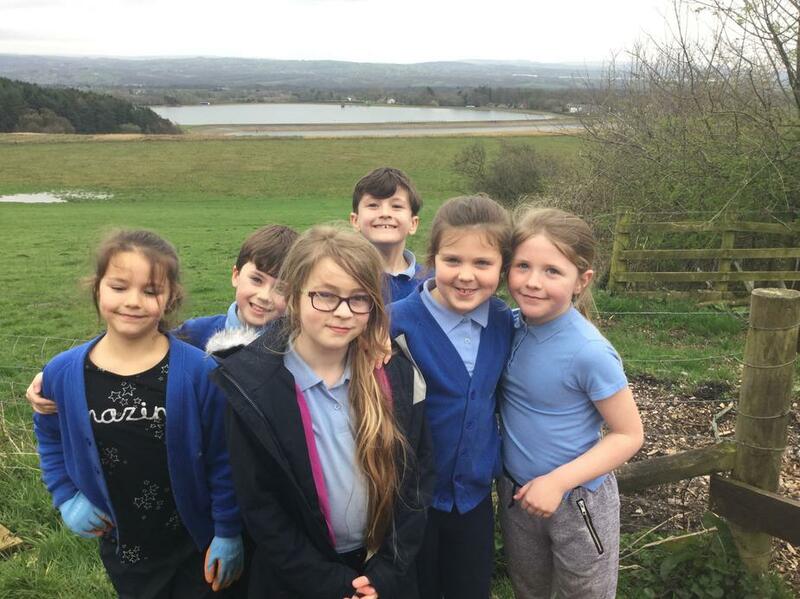 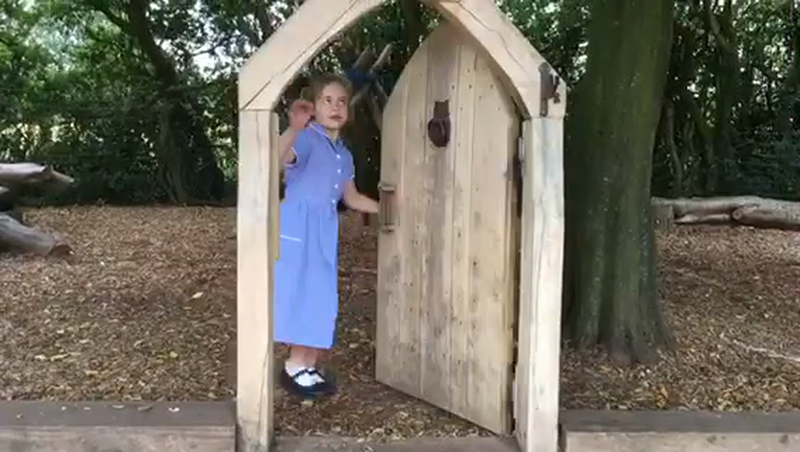 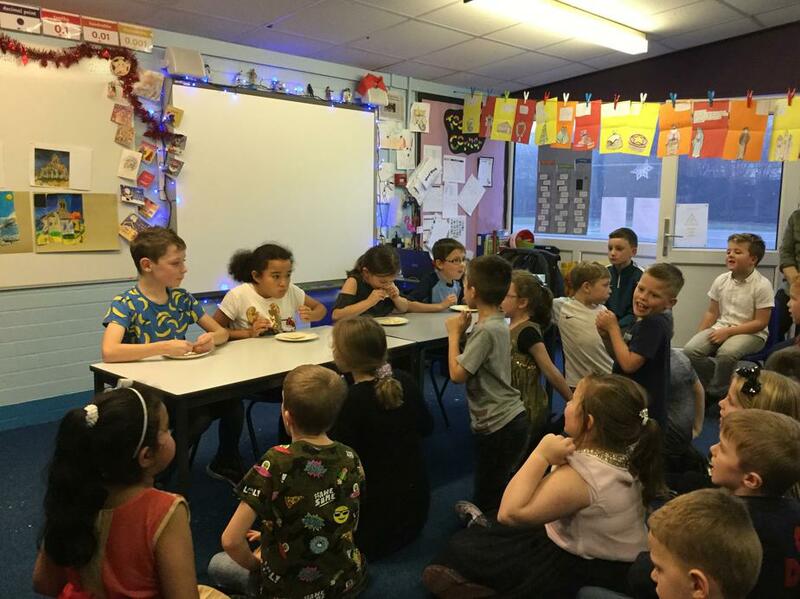 We are the lovely, kind and enthusiastic year 3 class. 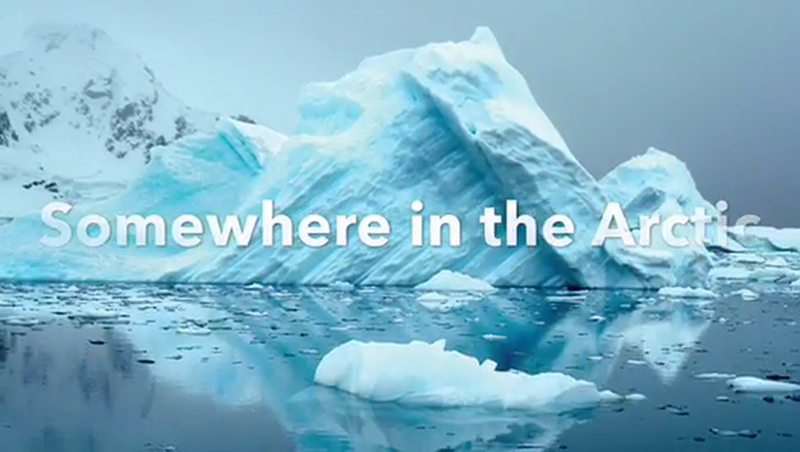 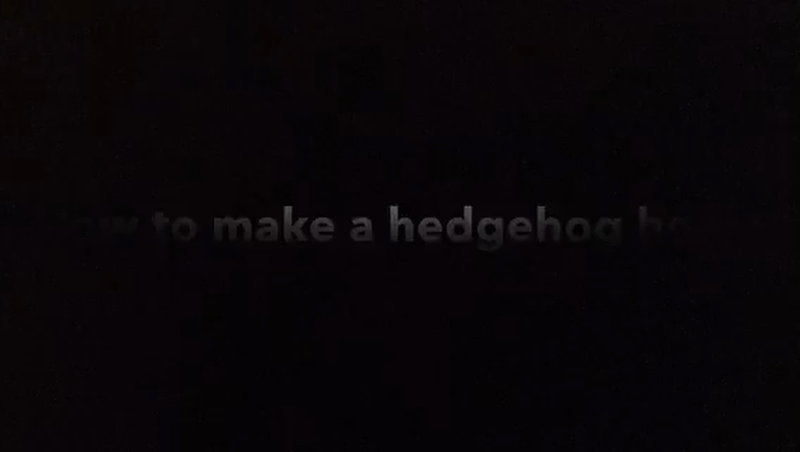 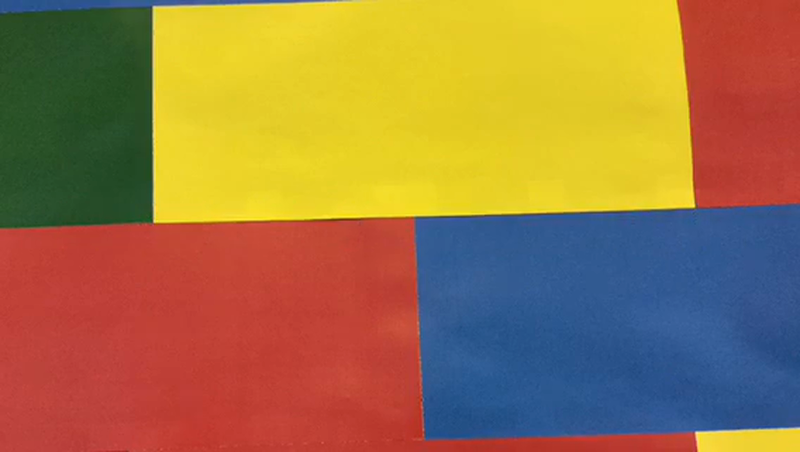 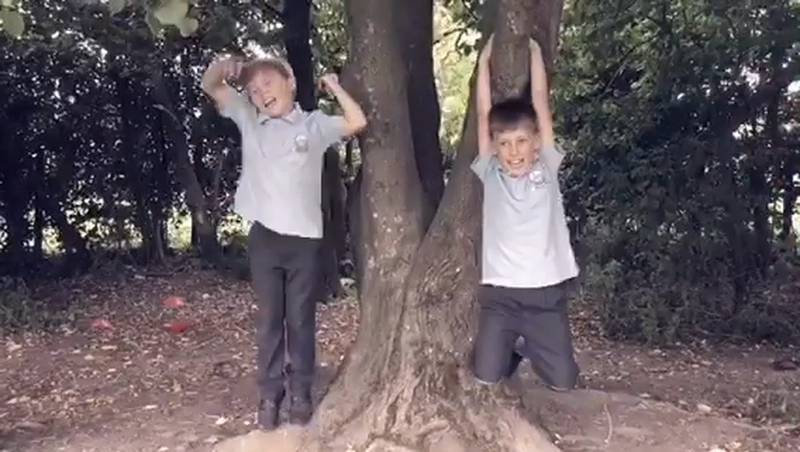 We hope you enjoy seeing what we get up to! 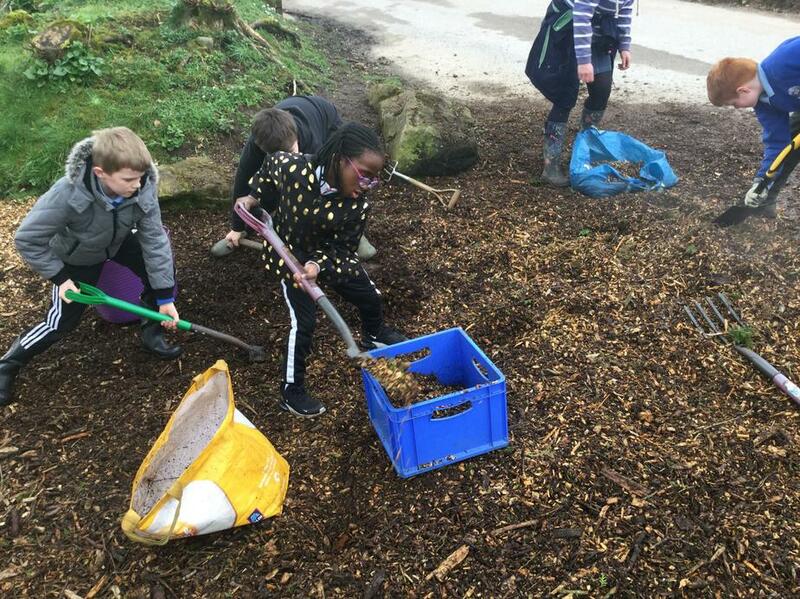 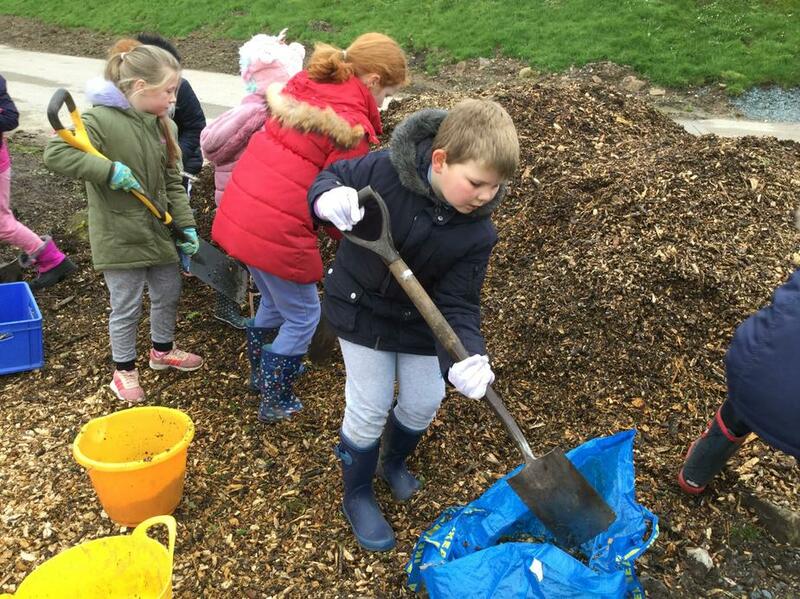 We had another fantastic day at the woodland where we were laying down some new wood chippings. 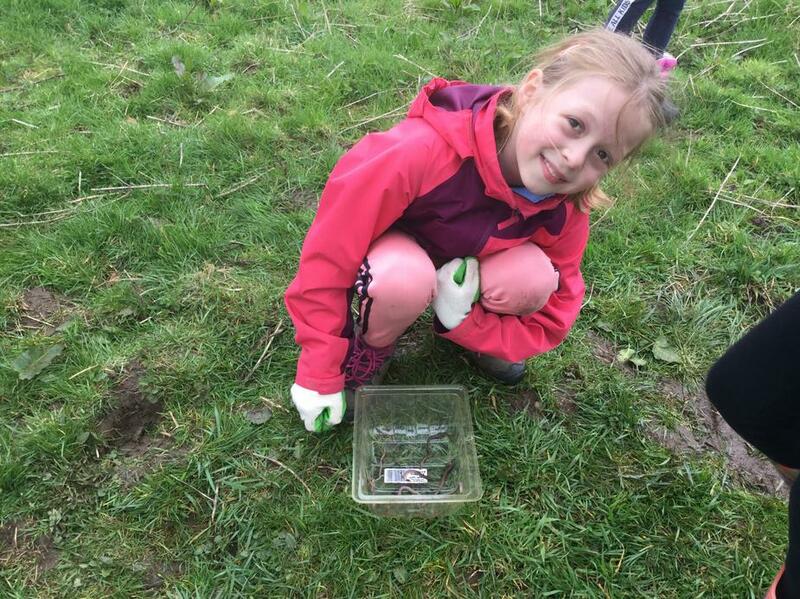 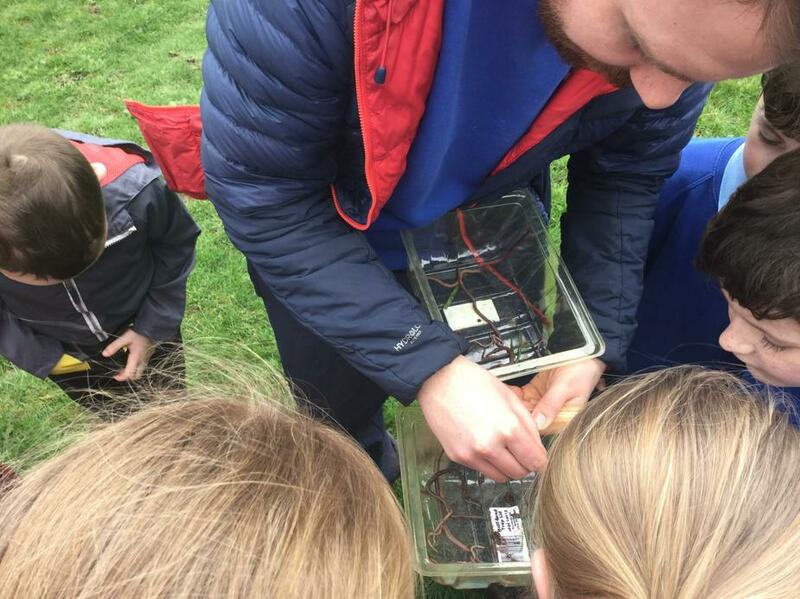 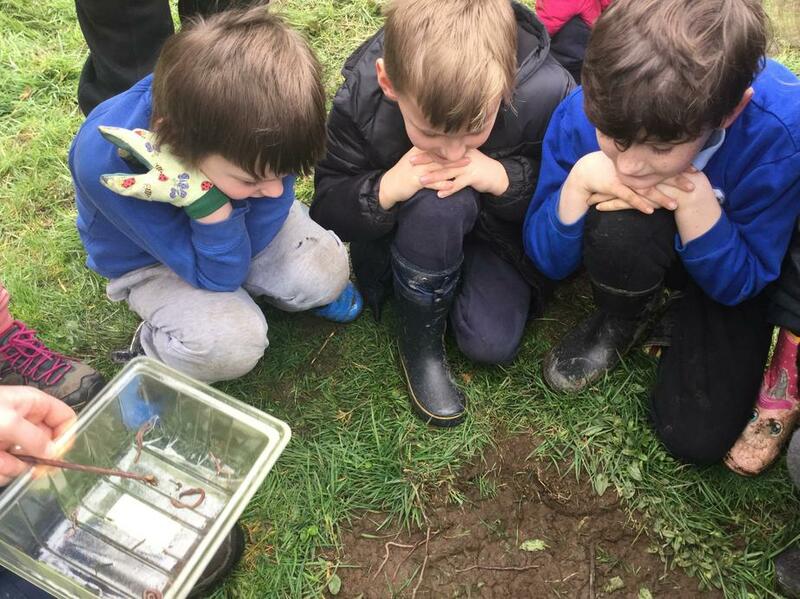 We also had great fun worm charming! 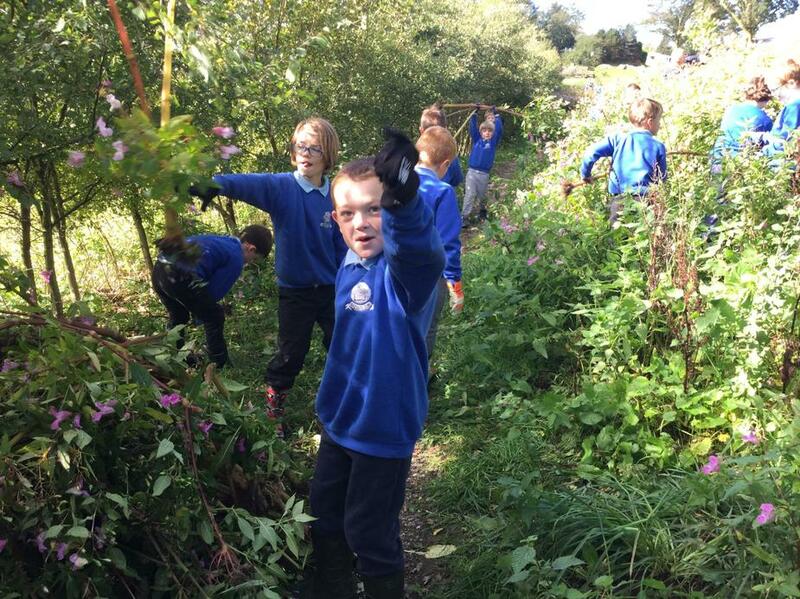 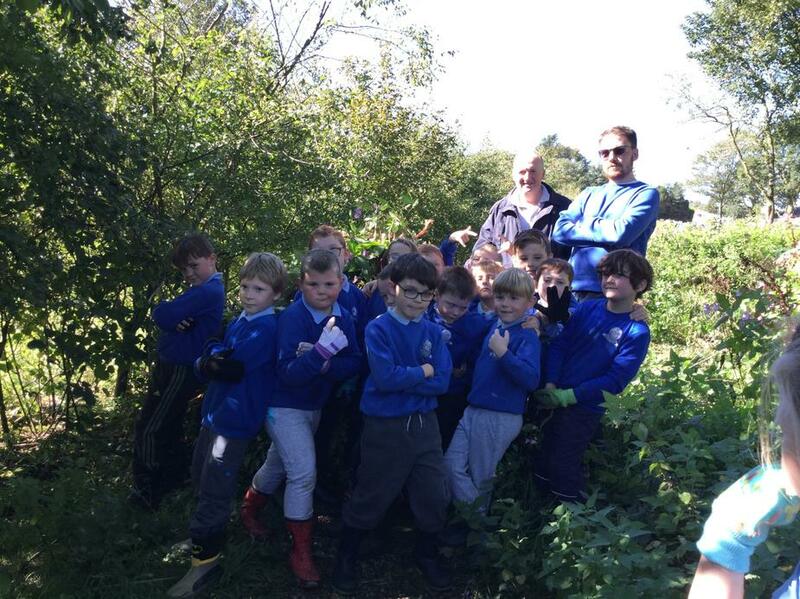 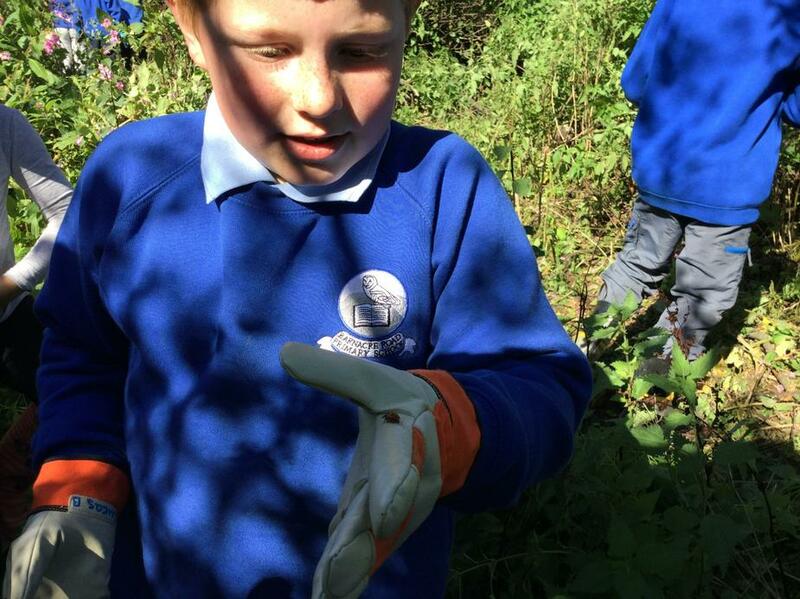 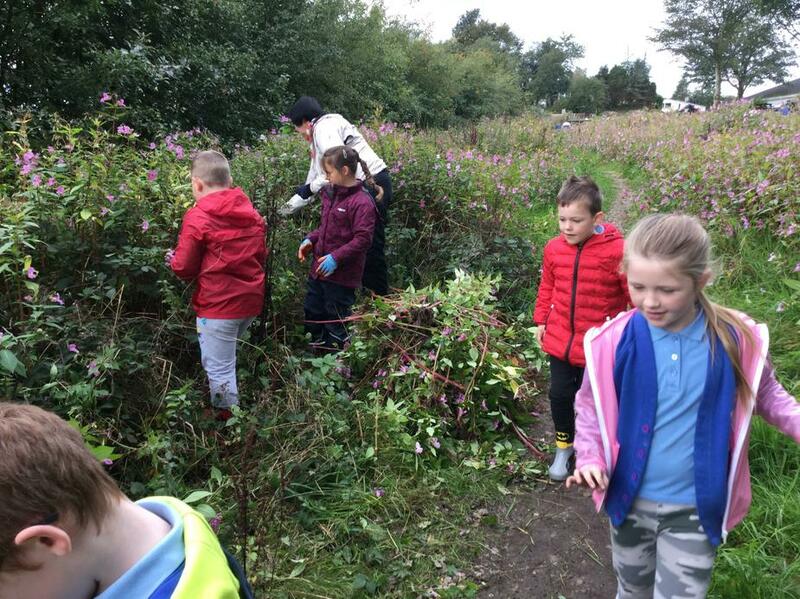 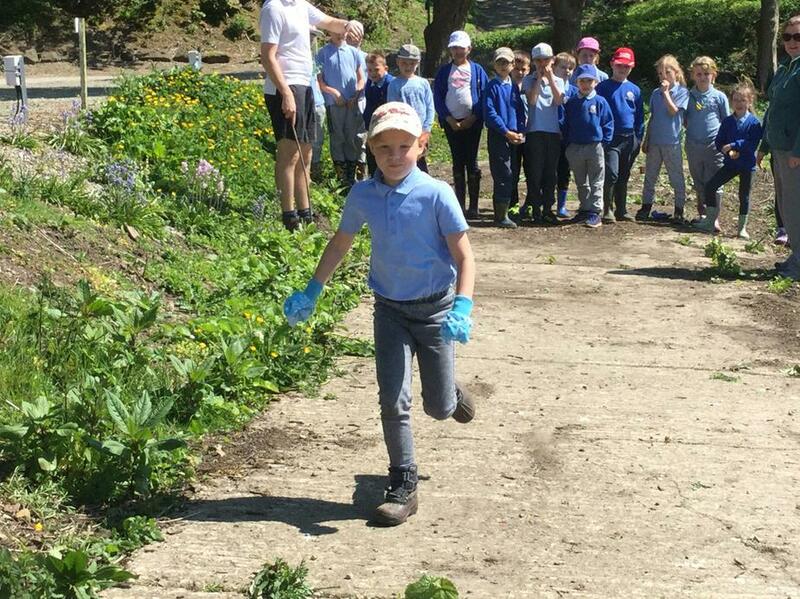 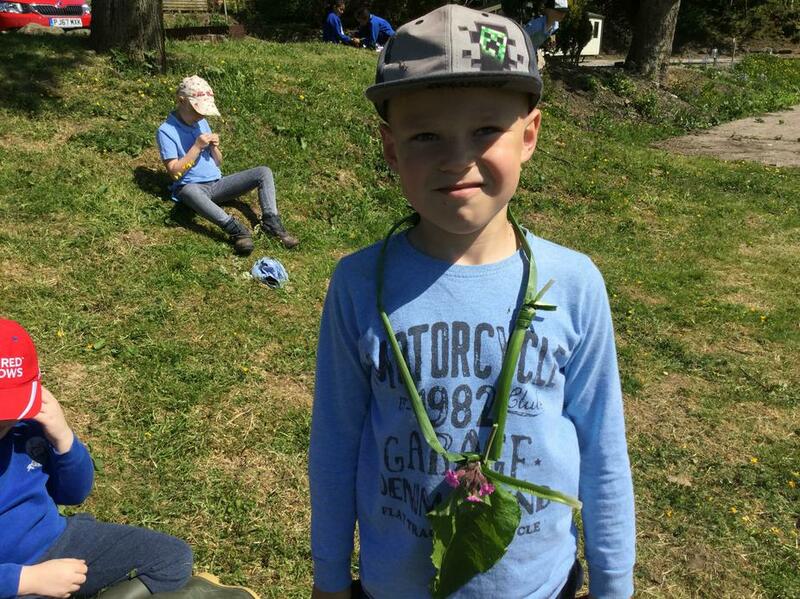 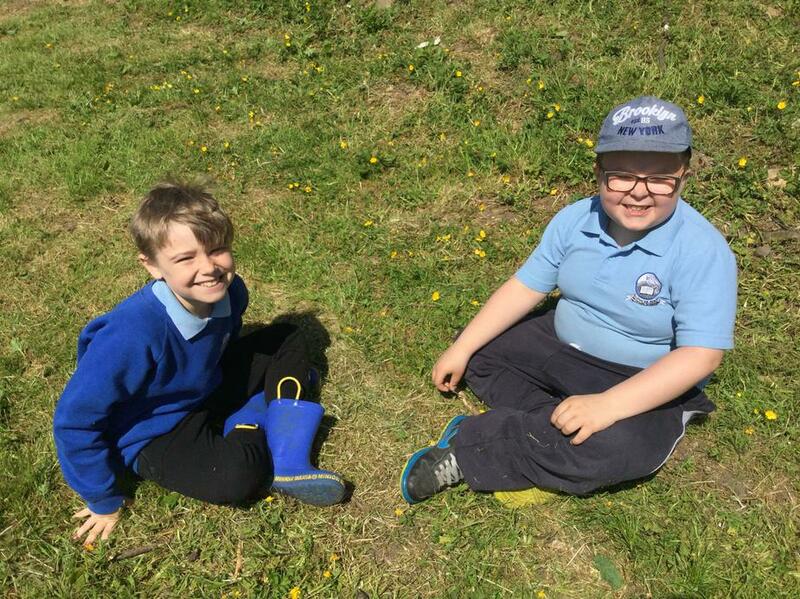 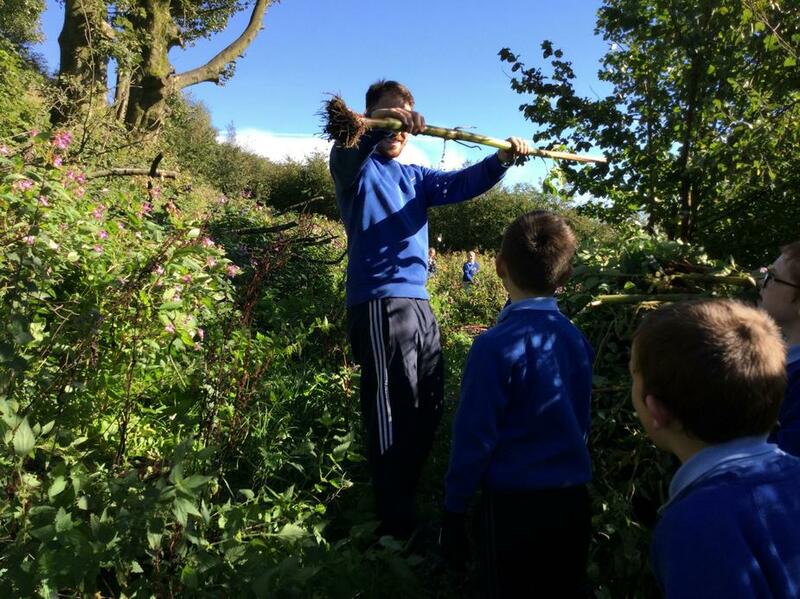 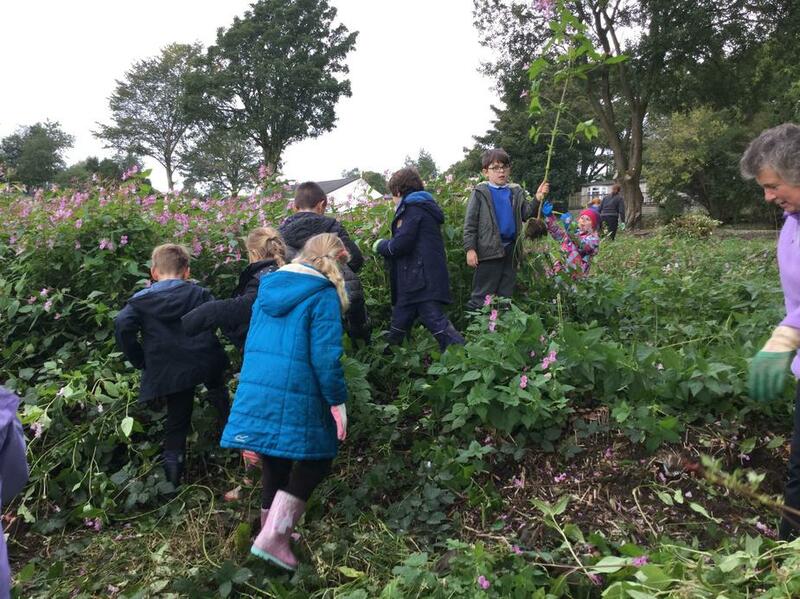 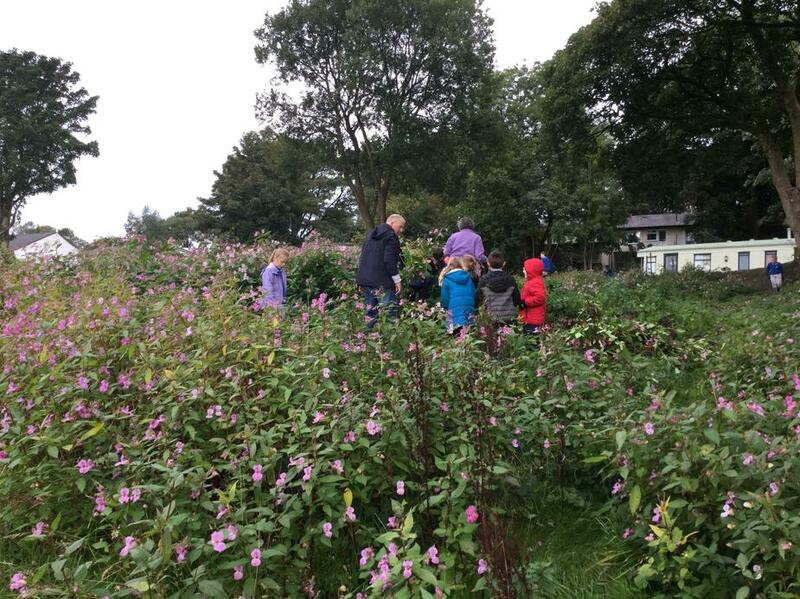 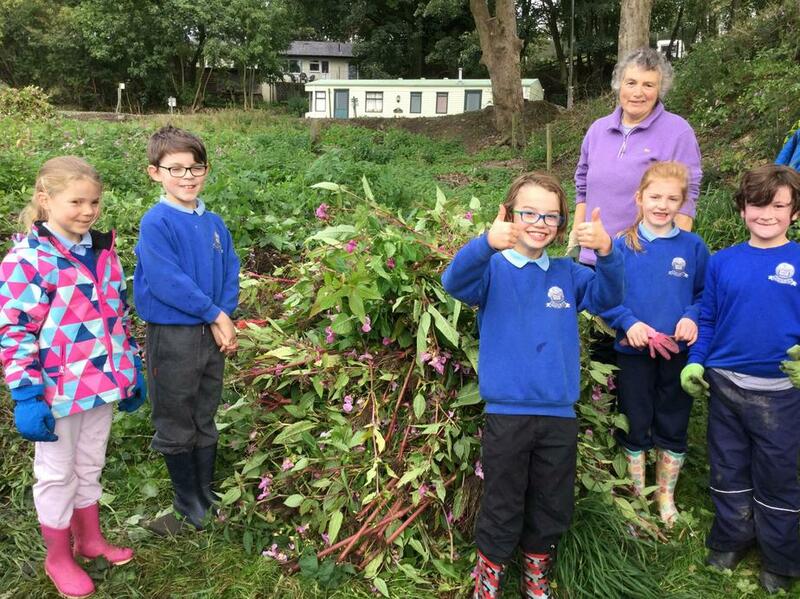 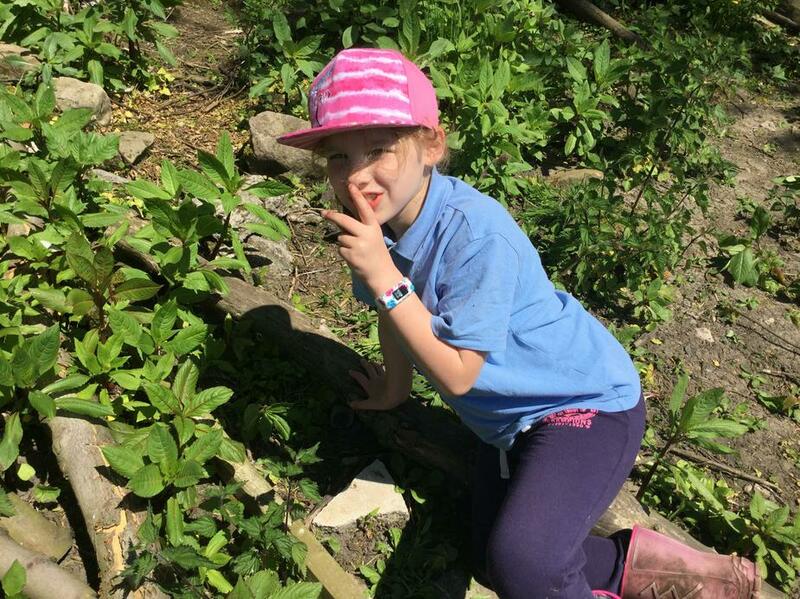 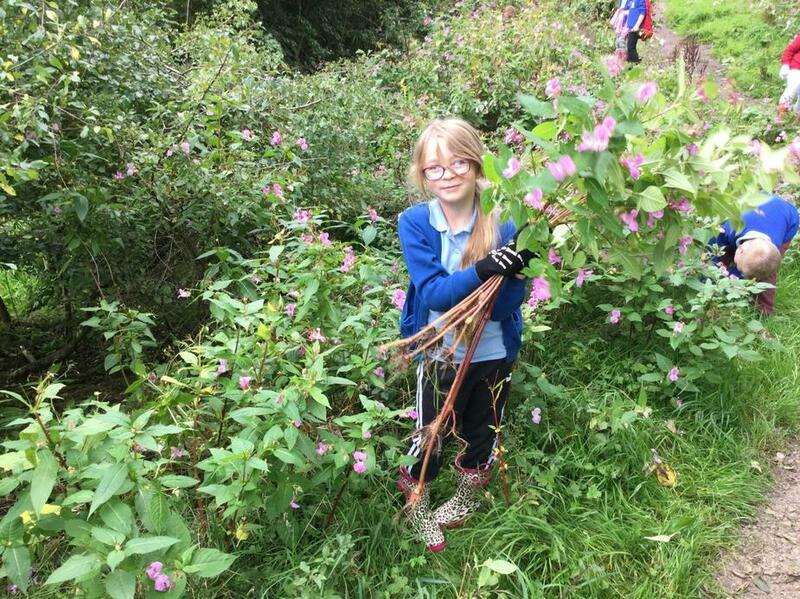 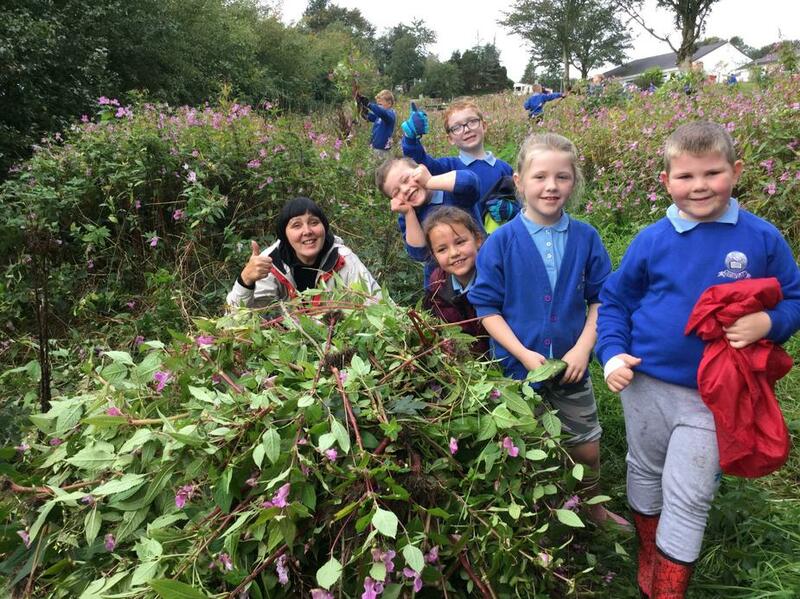 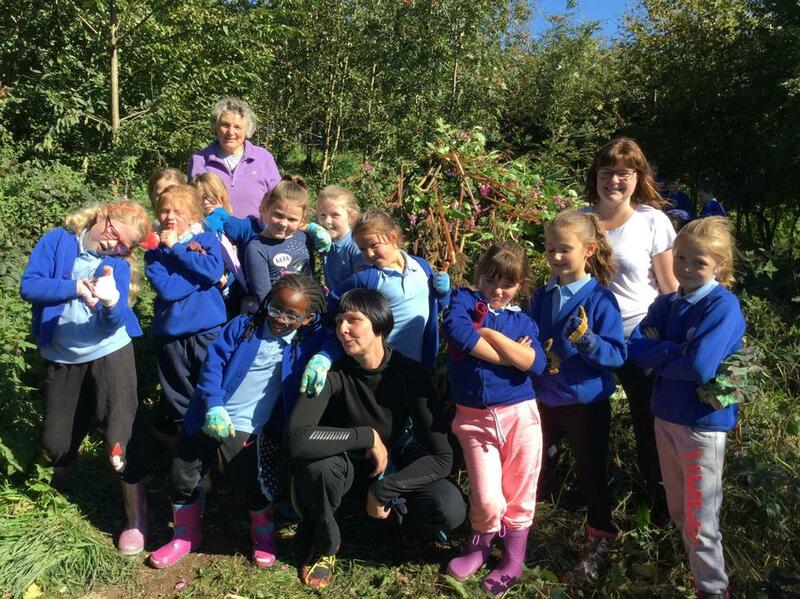 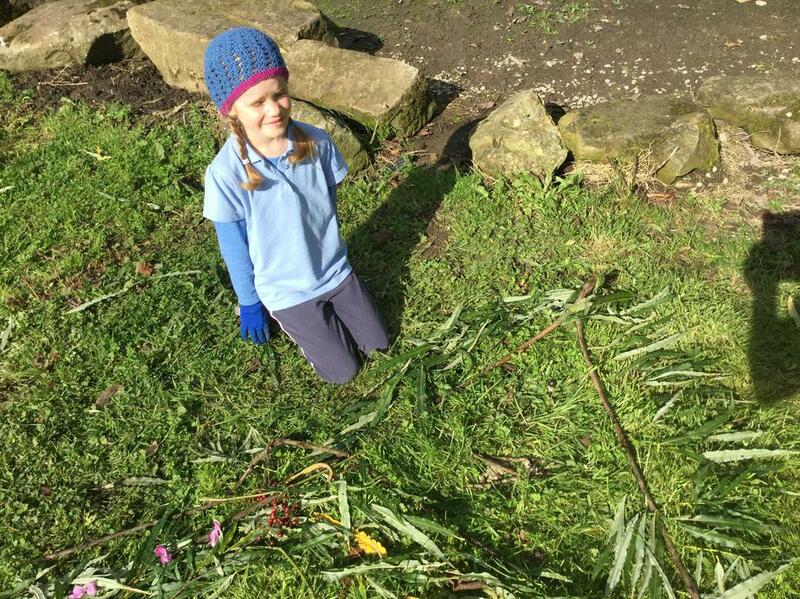 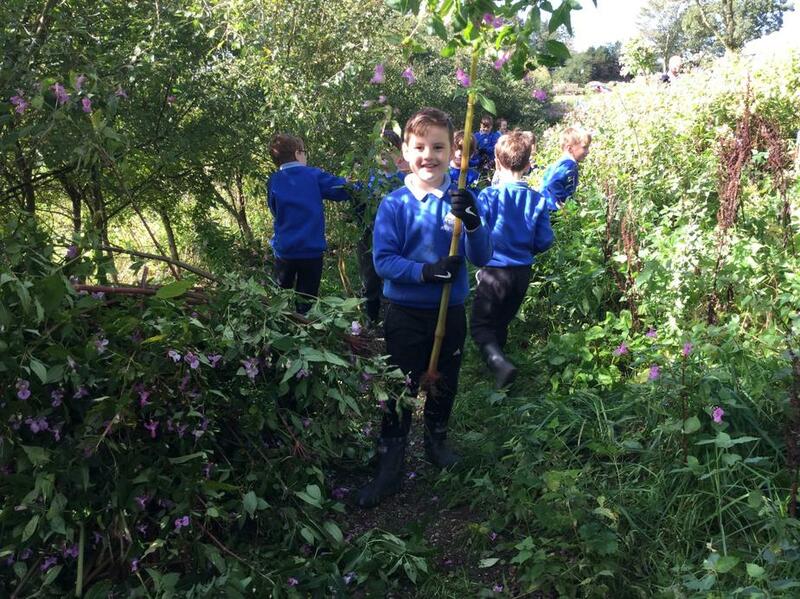 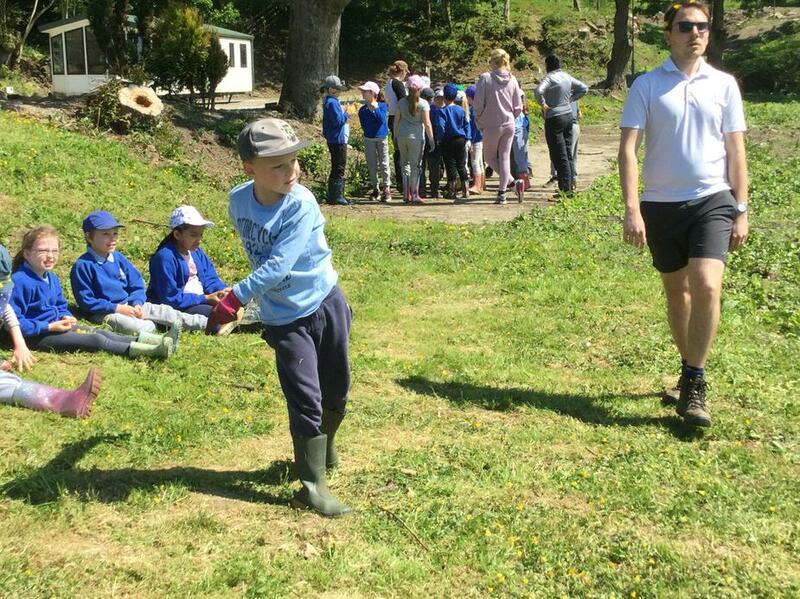 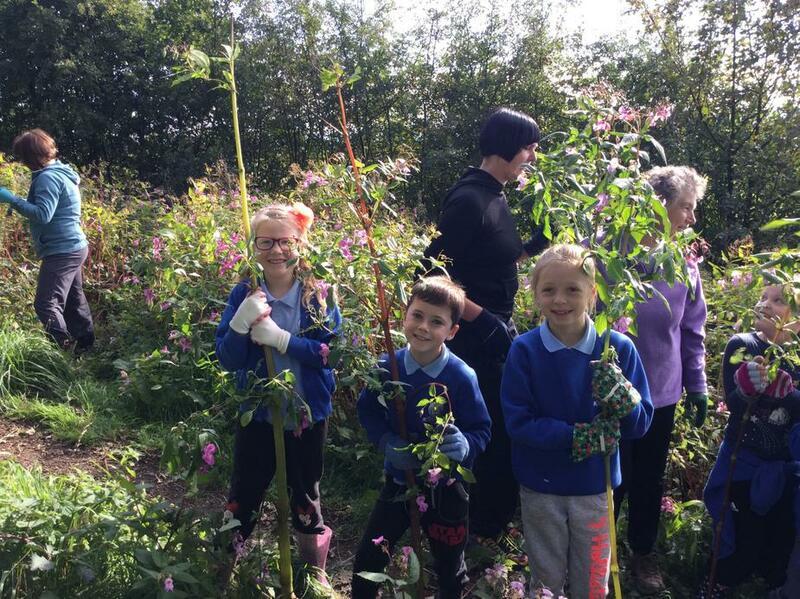 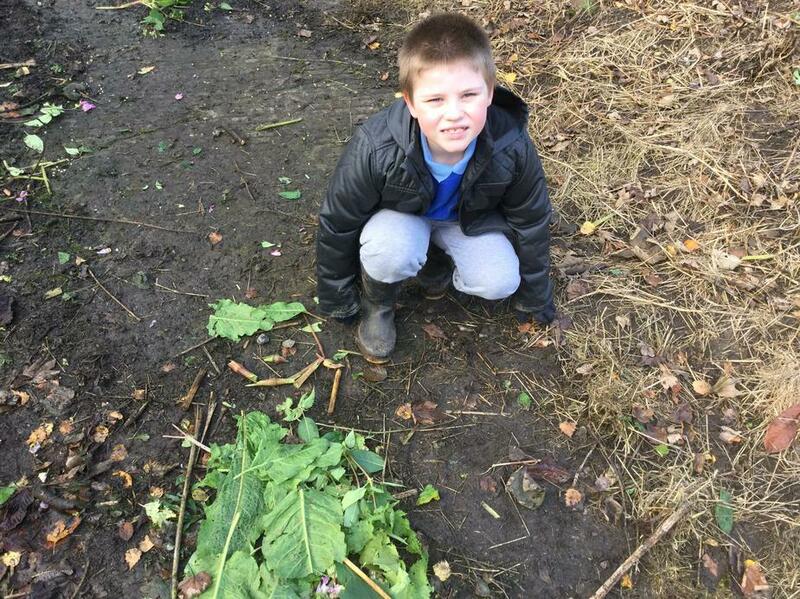 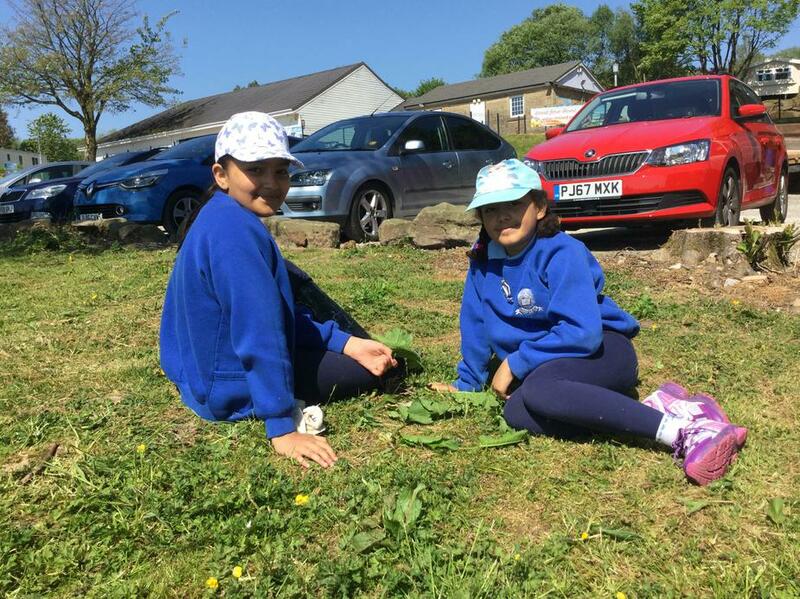 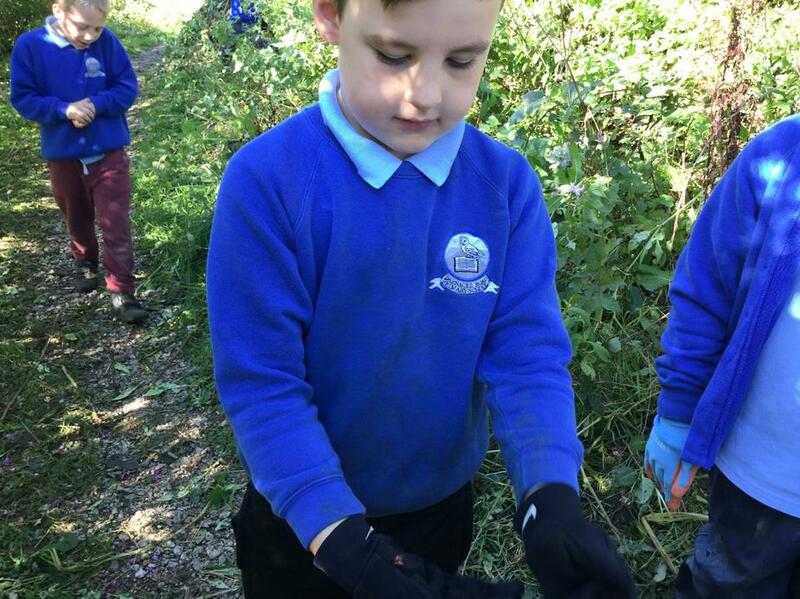 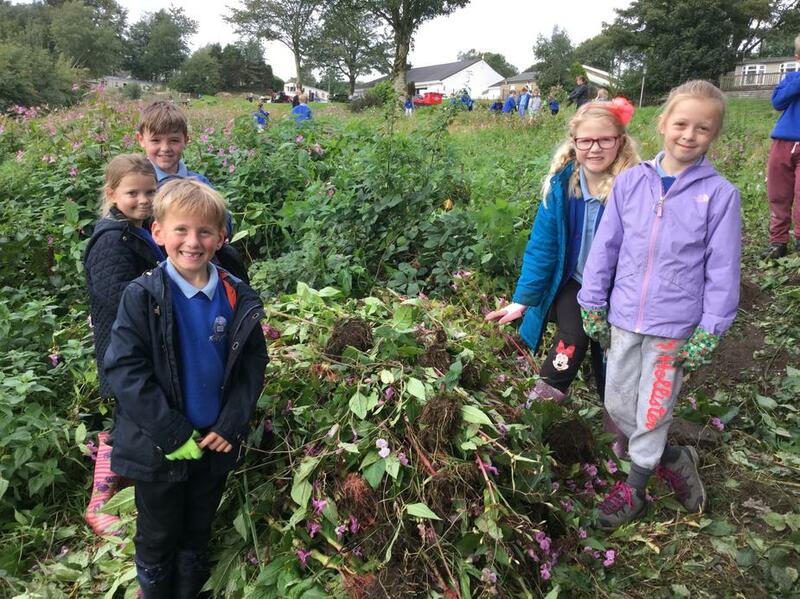 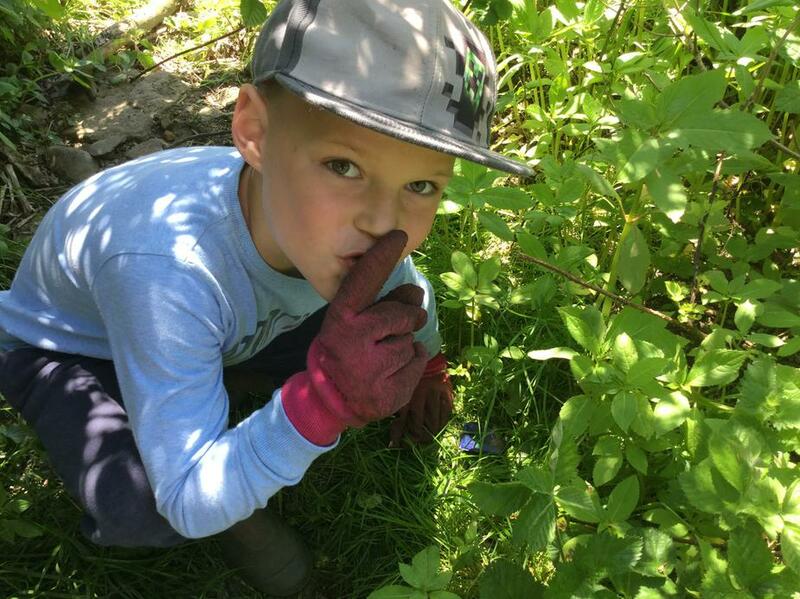 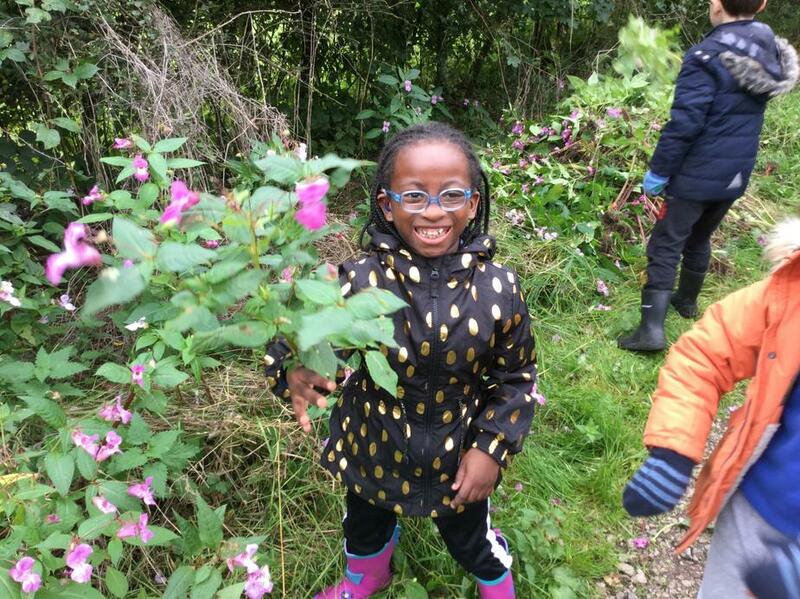 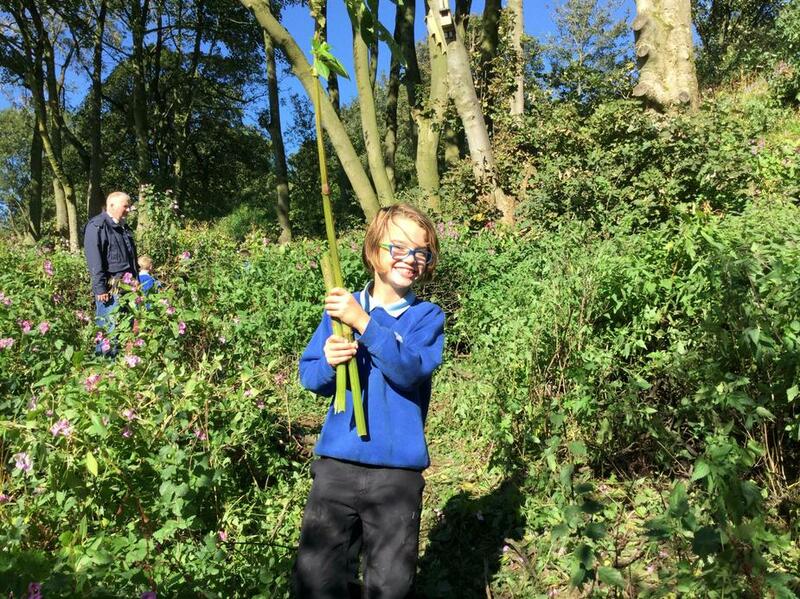 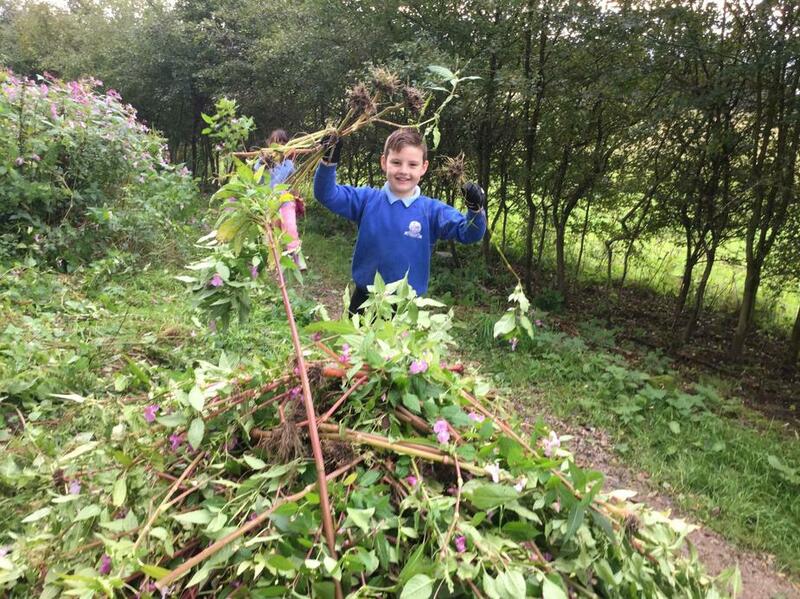 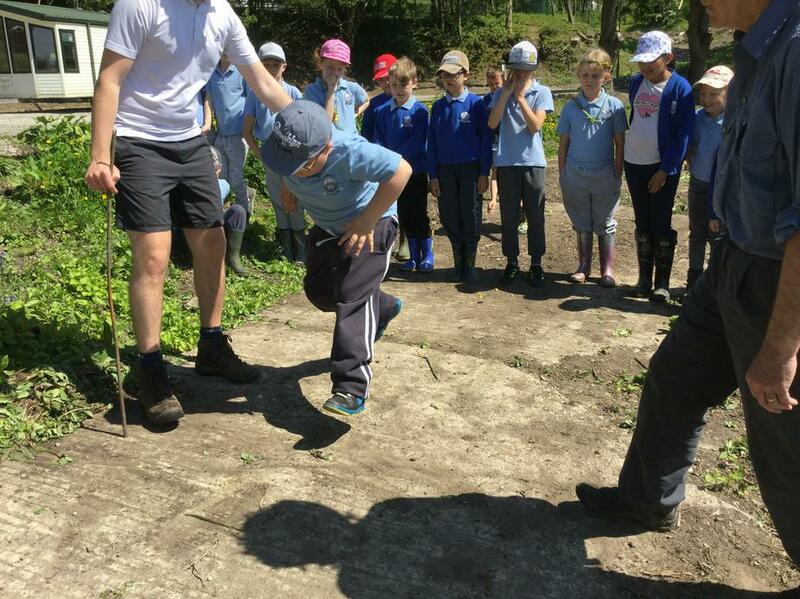 For our first environment day of the year, we had great fun clearing the weeds by 'Balsam bashing'! 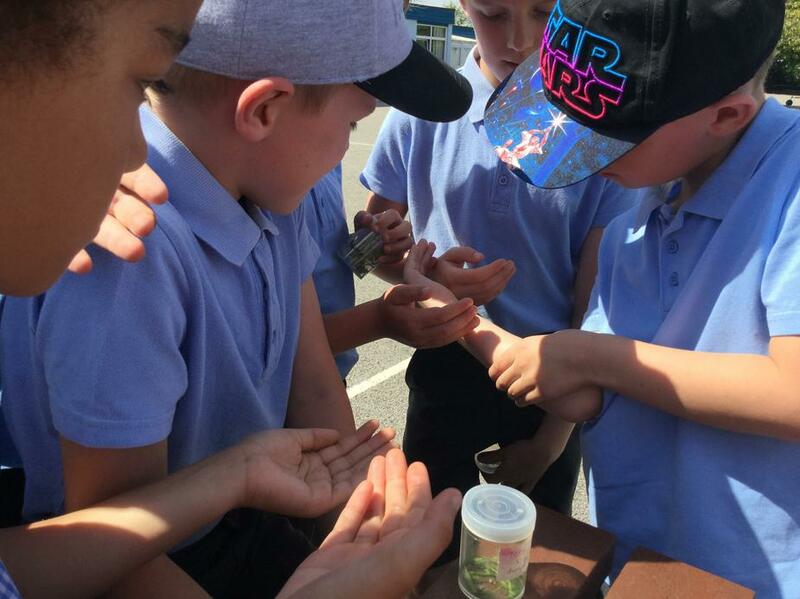 Some of them were even bigger than us! 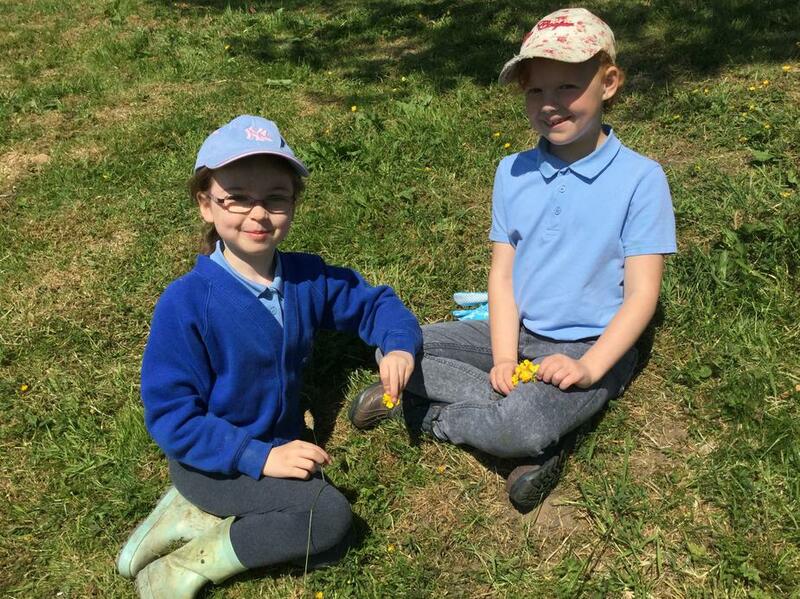 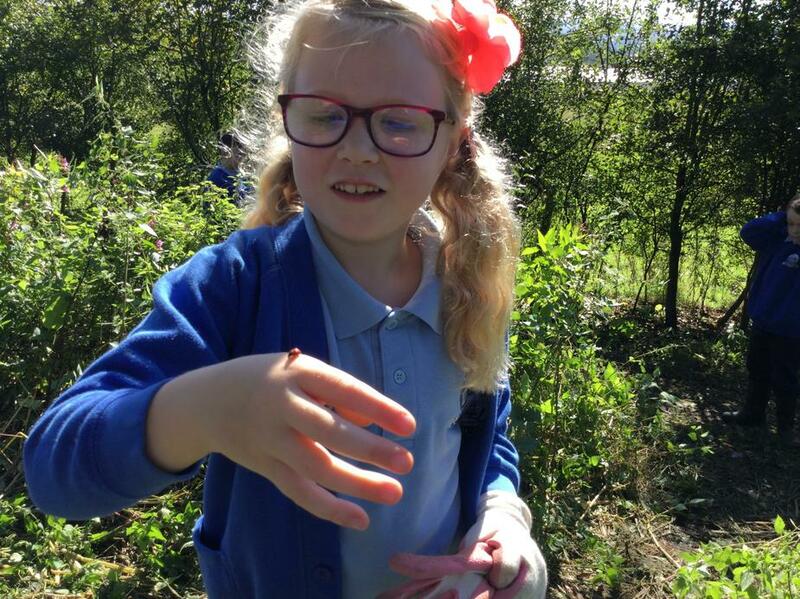 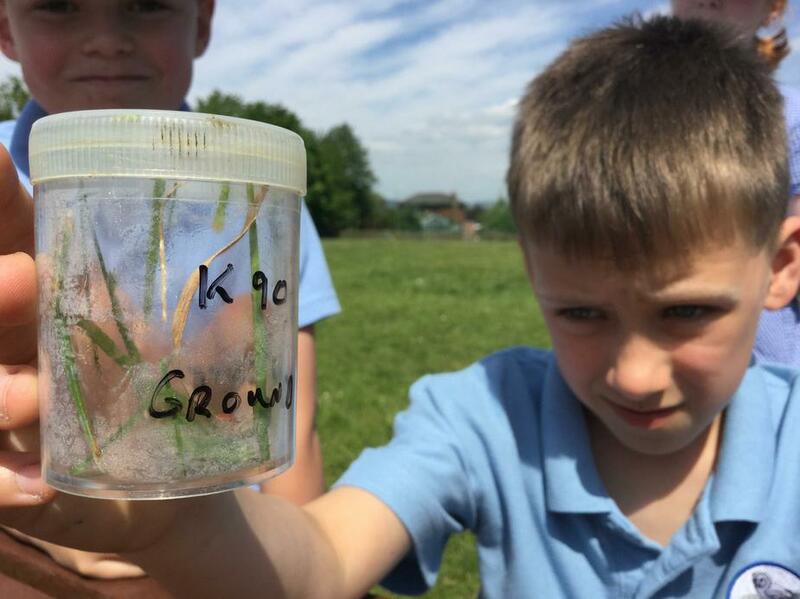 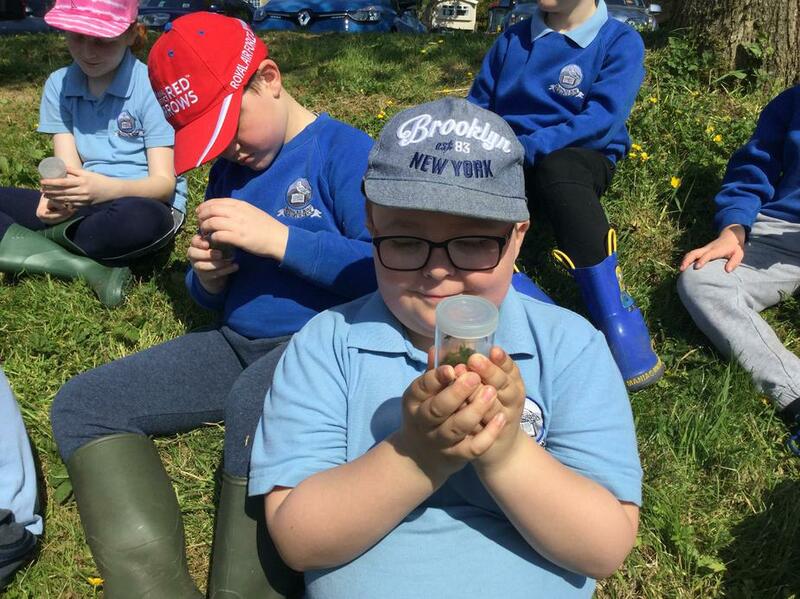 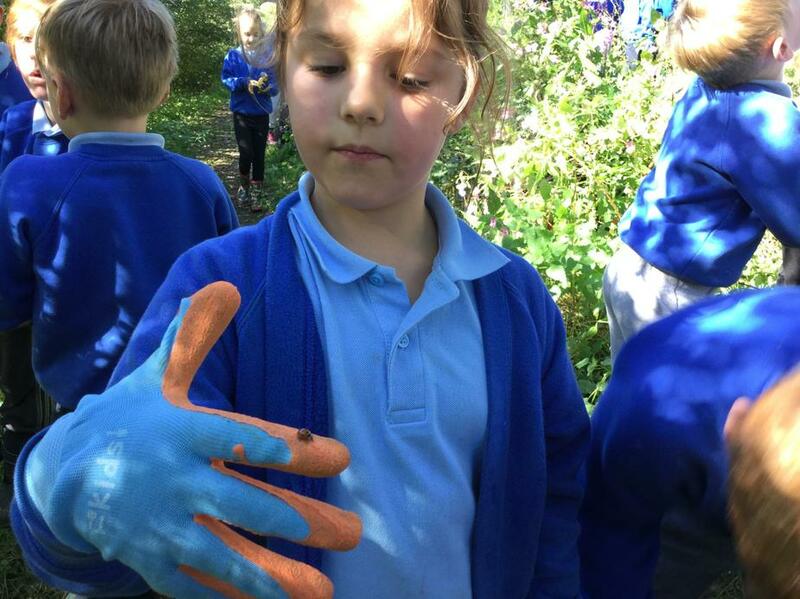 We also found lots of ladybirds and made our very own forest friends. 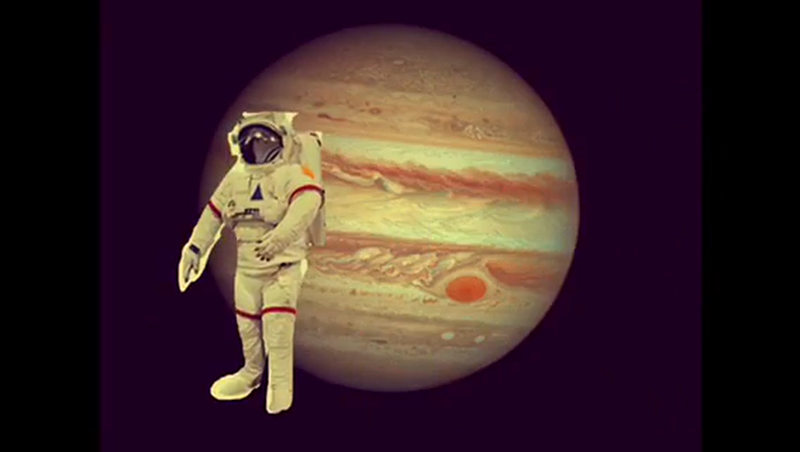 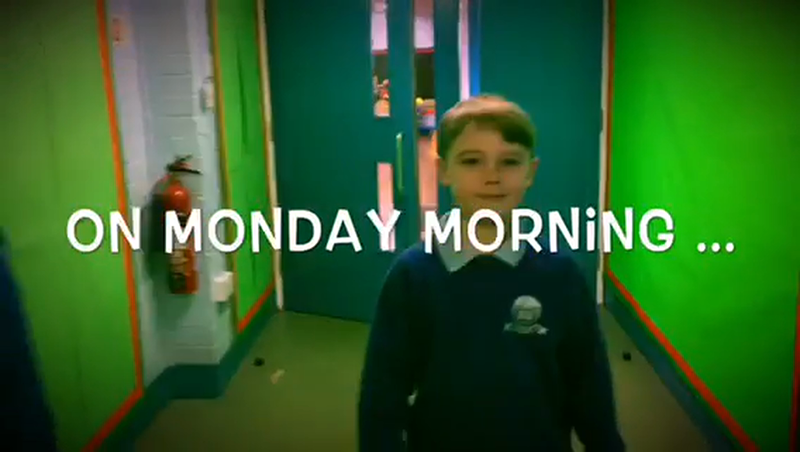 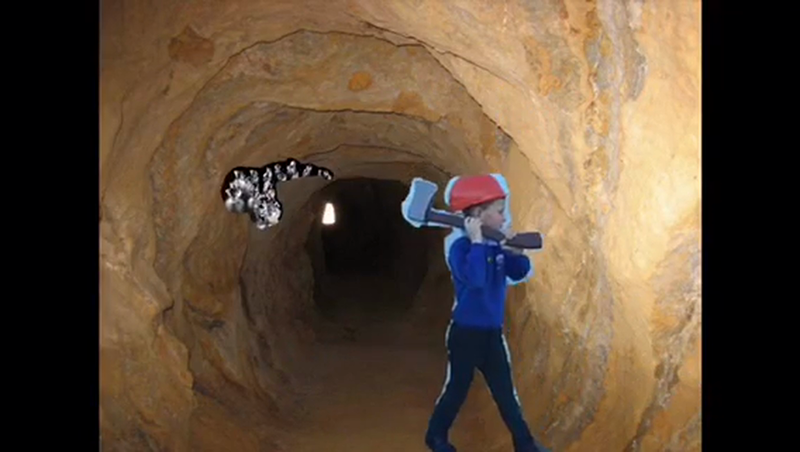 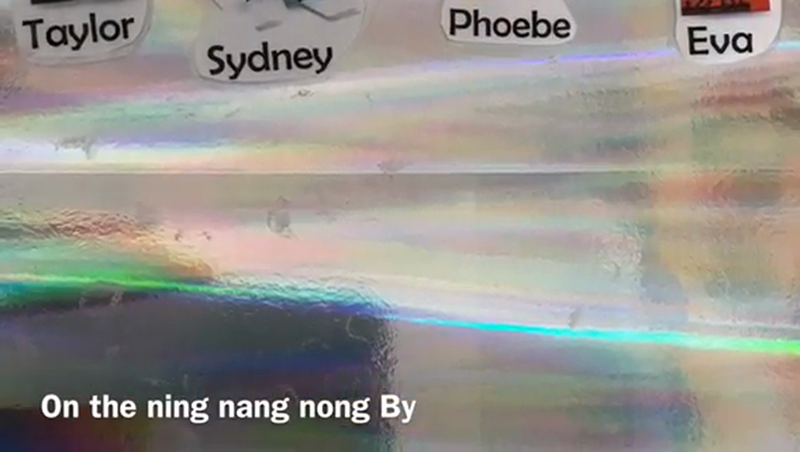 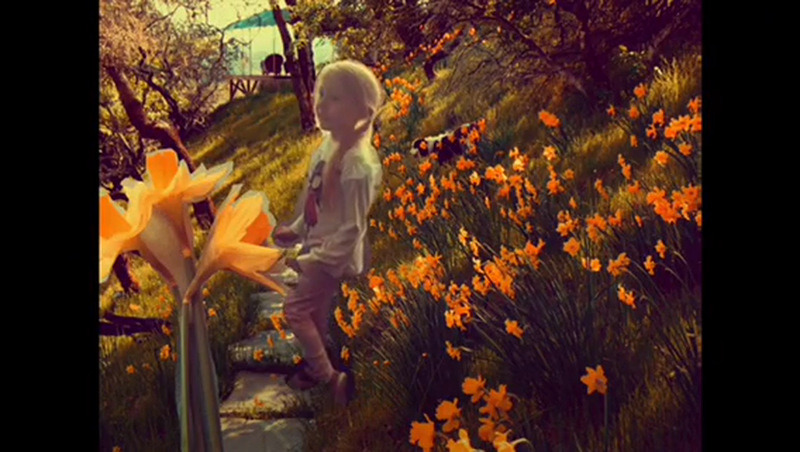 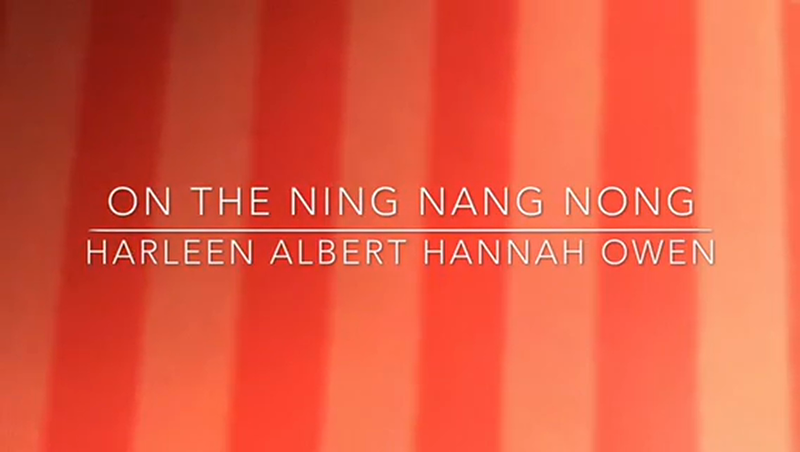 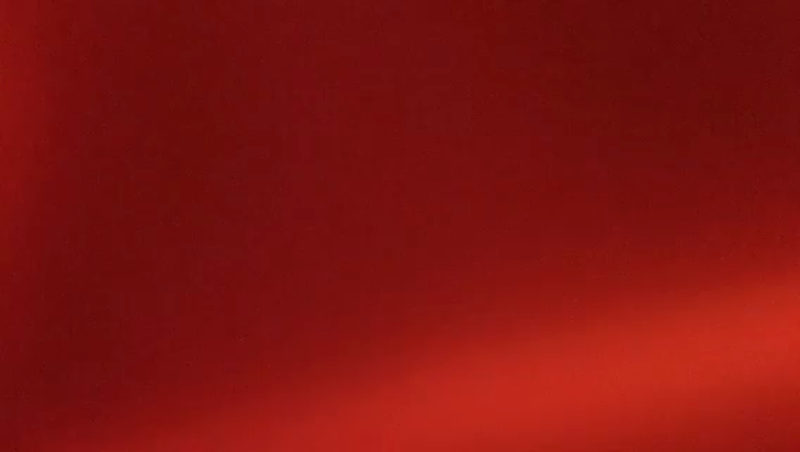 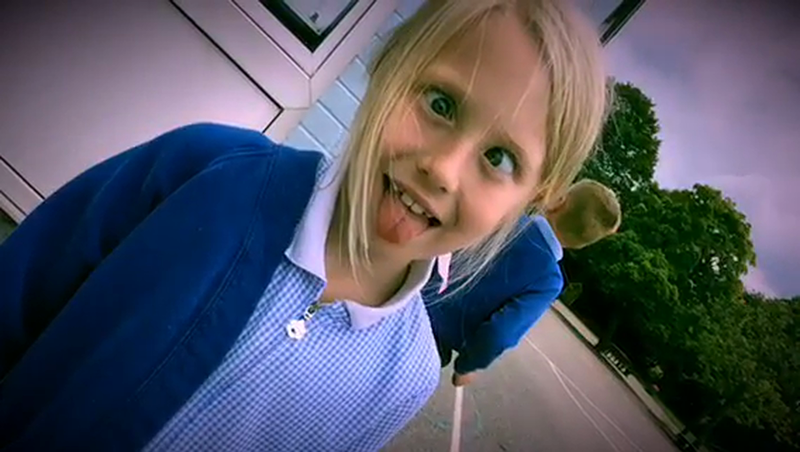 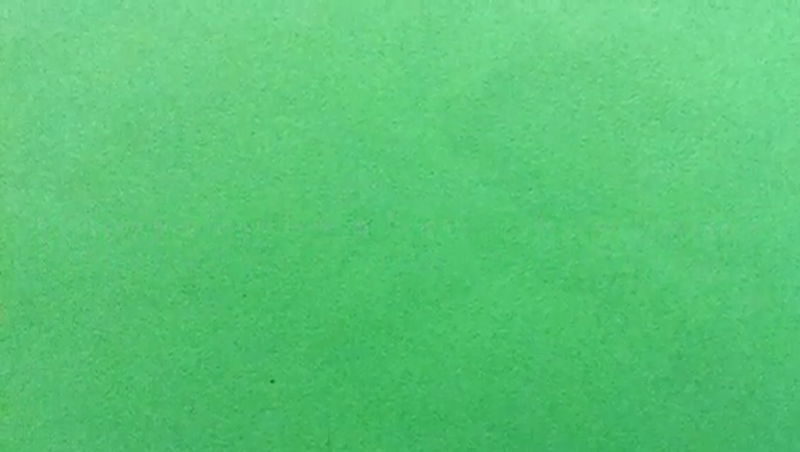 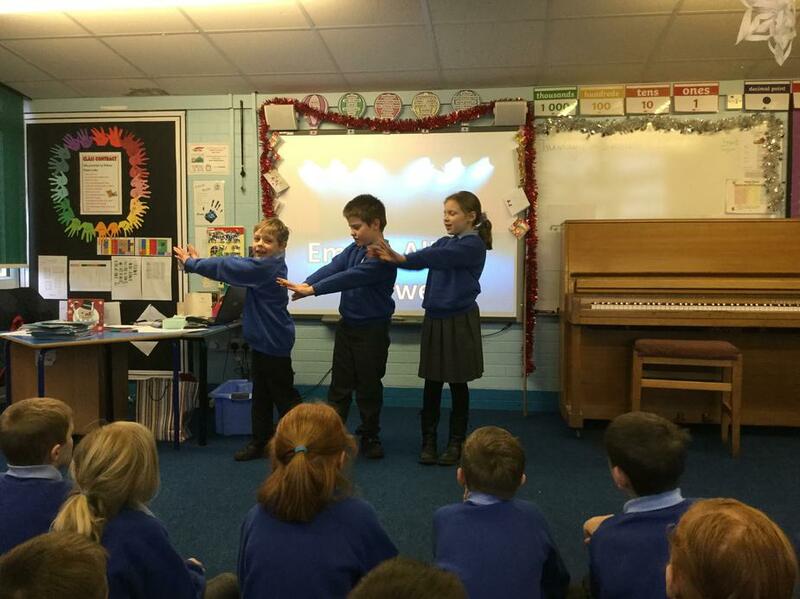 We had great fun creating these videos based on Spike Milligan’s poem ‘On the Ning Nang Nong’. 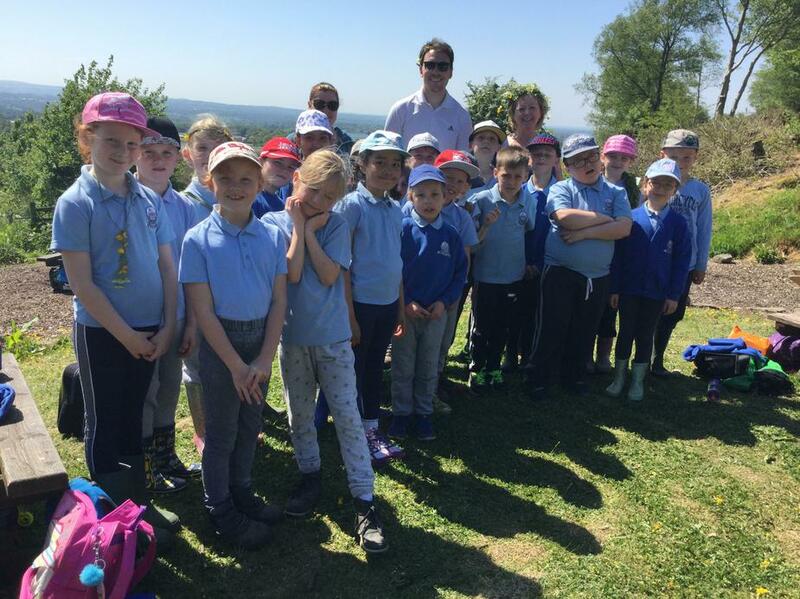 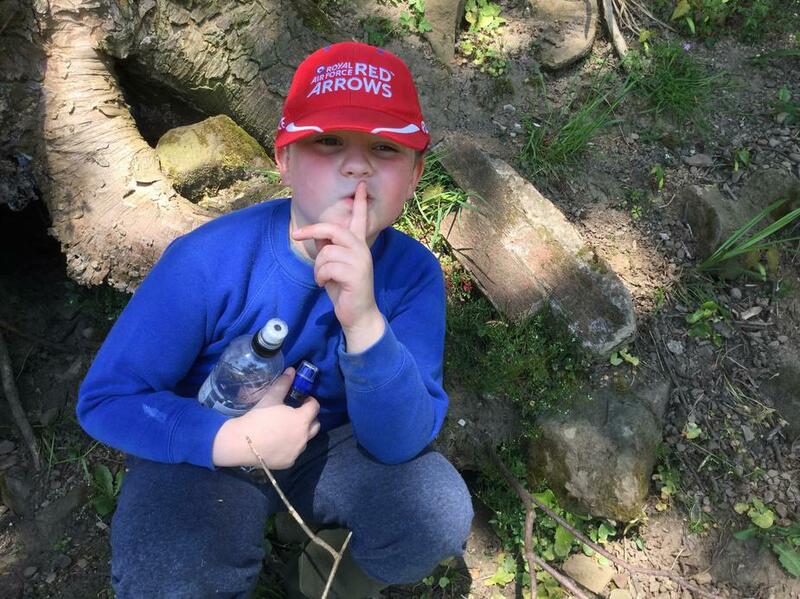 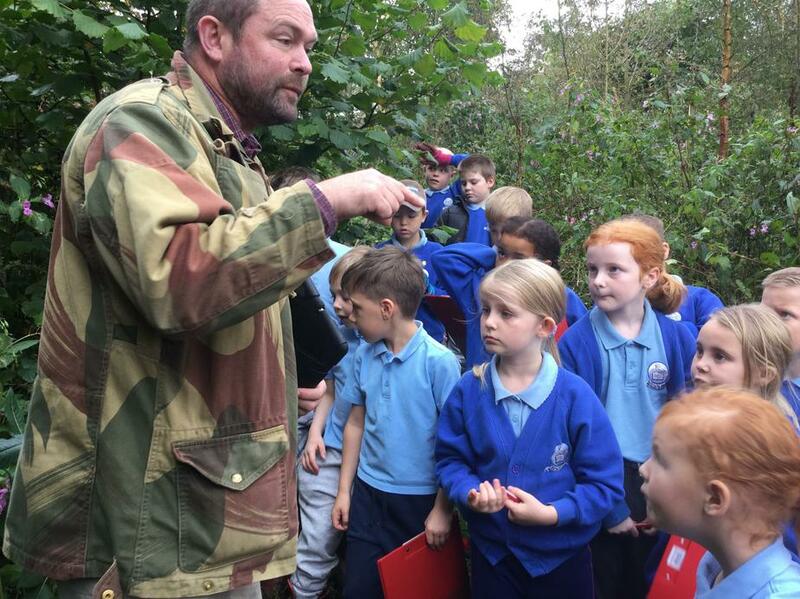 Once again, we had a fantastic time up at the woodland site. 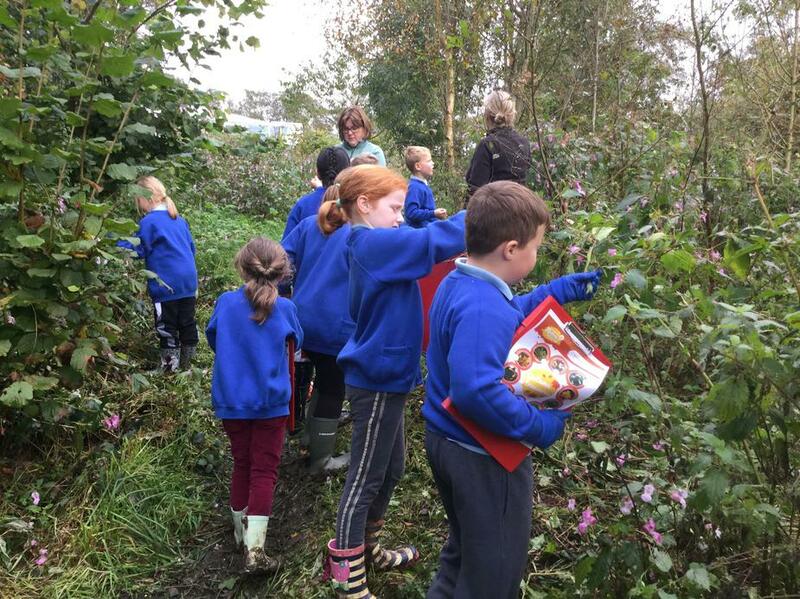 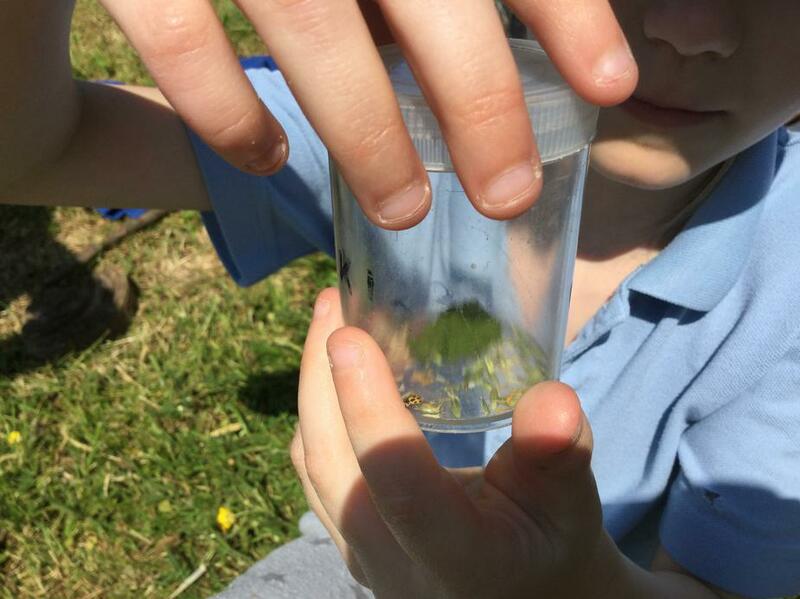 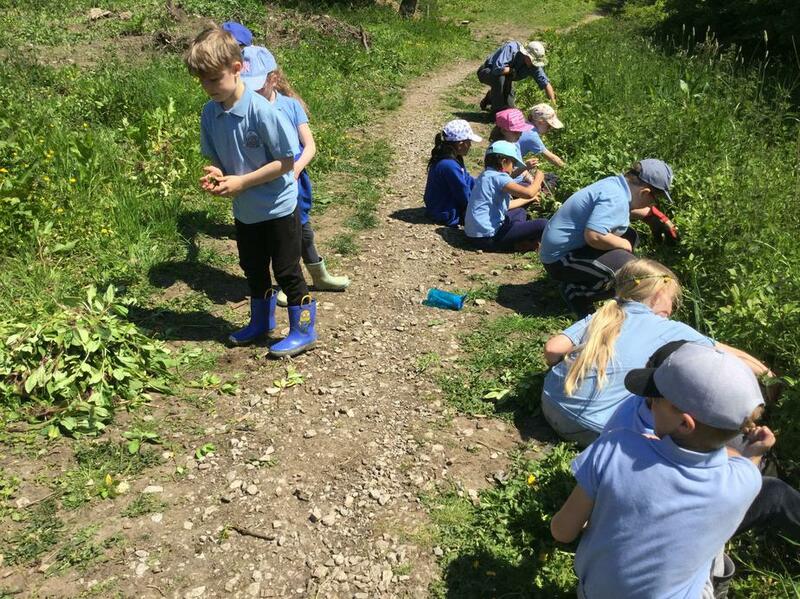 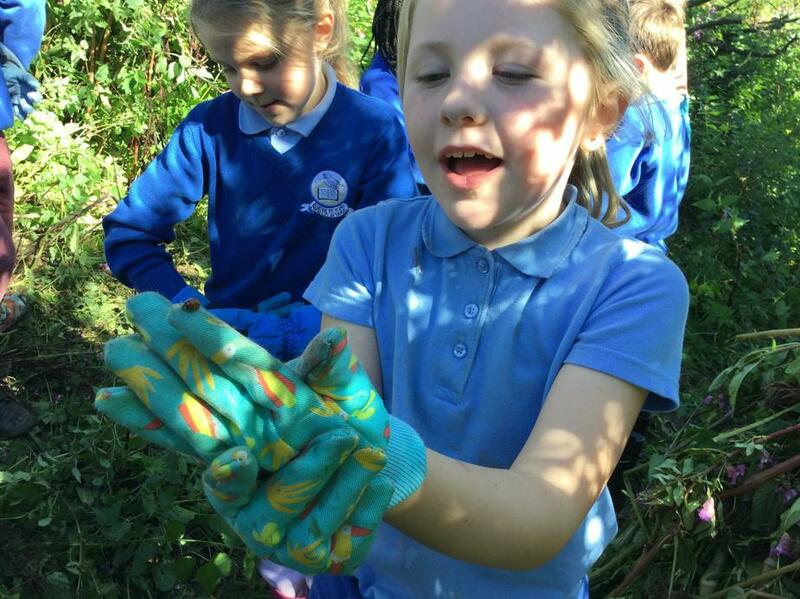 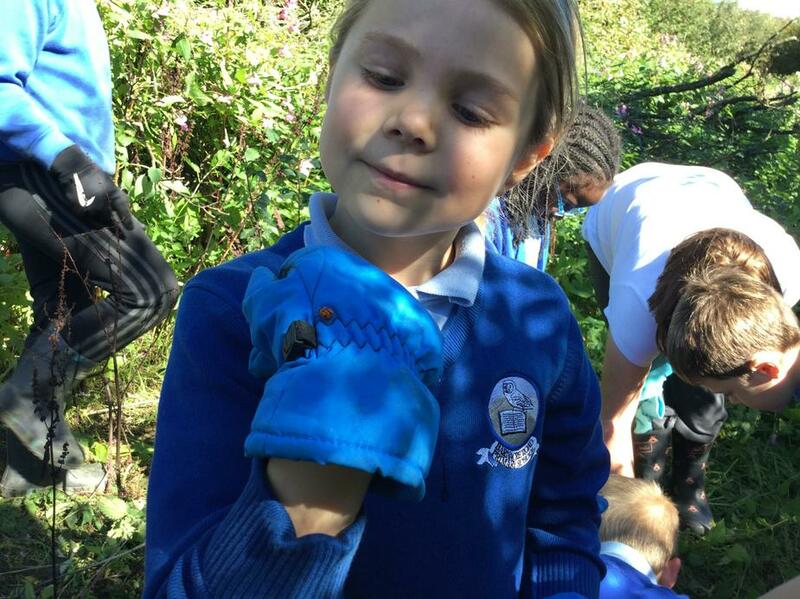 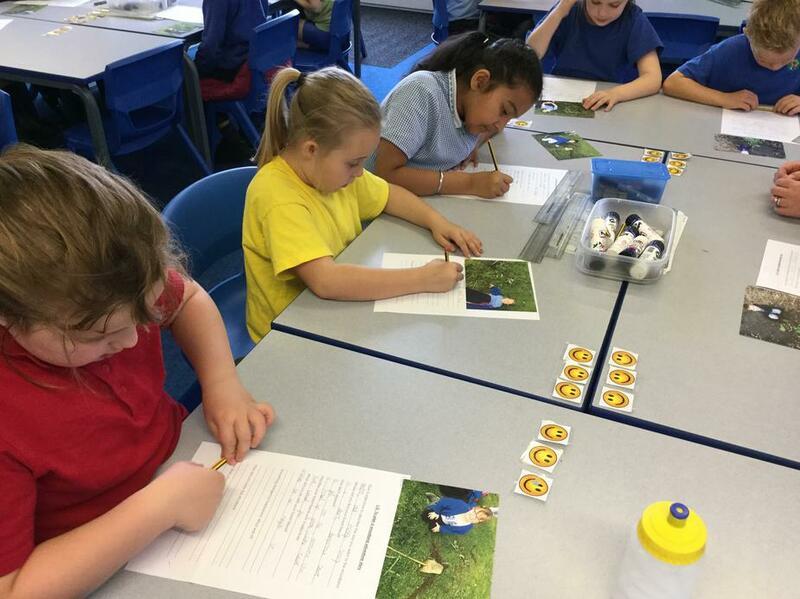 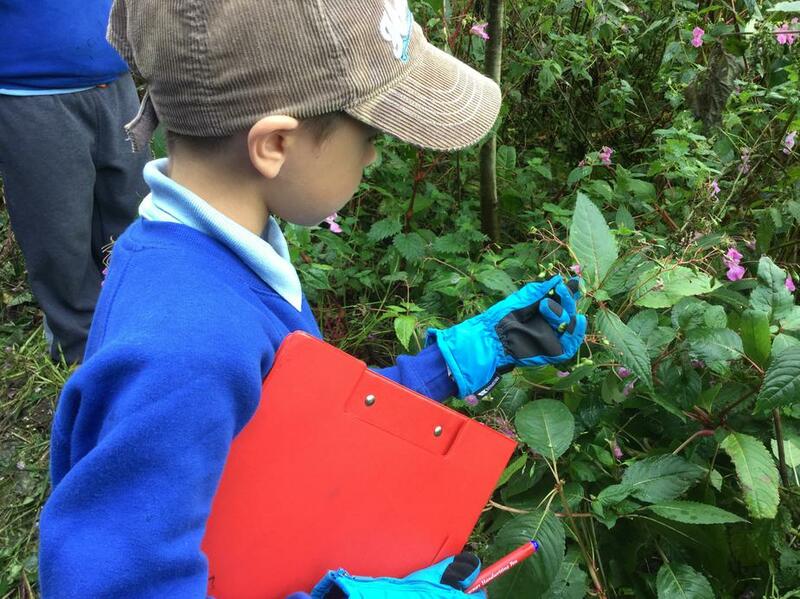 This term we completed some ladybird hunting which needed lots of patience. 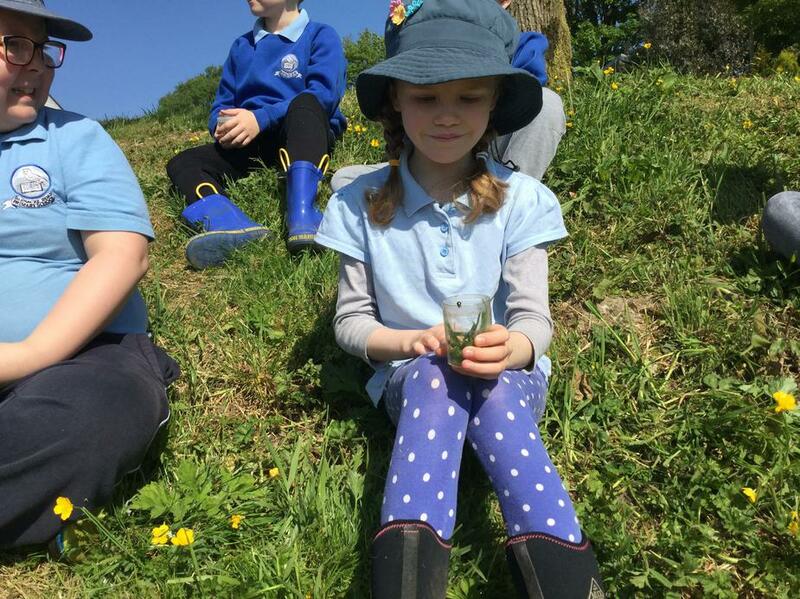 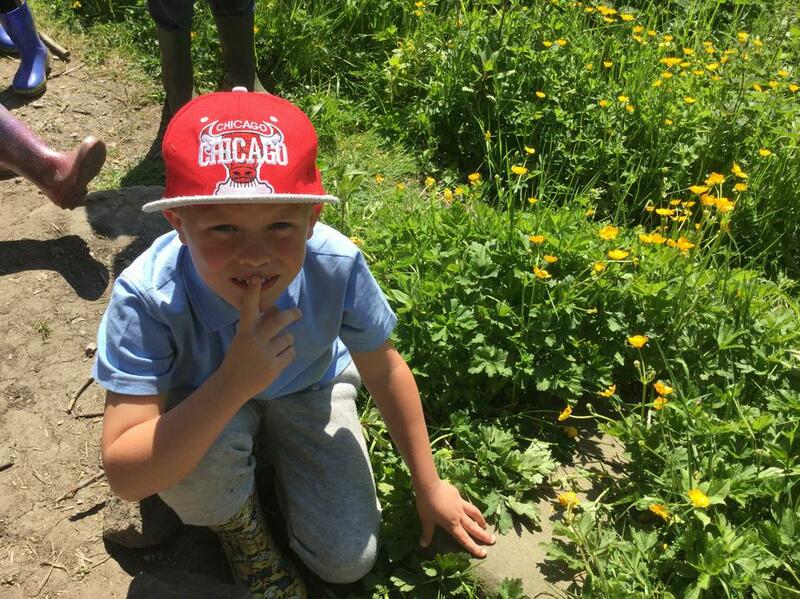 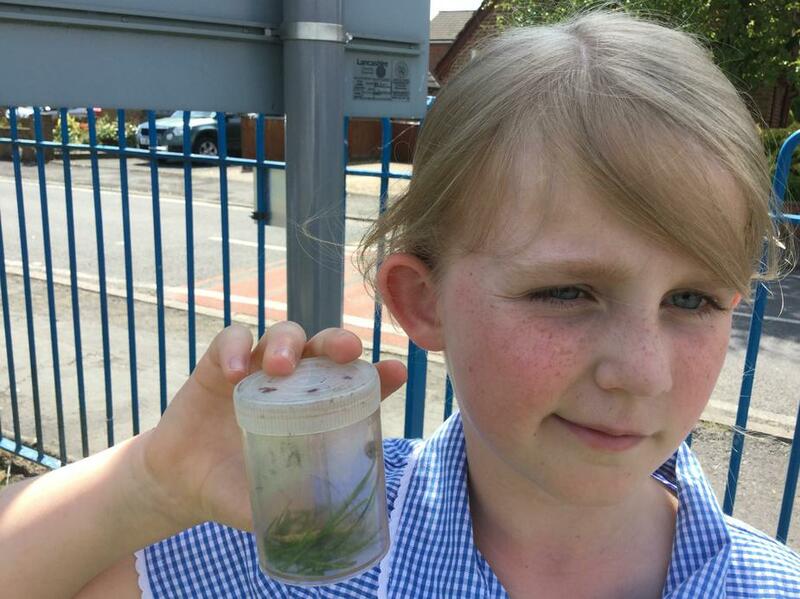 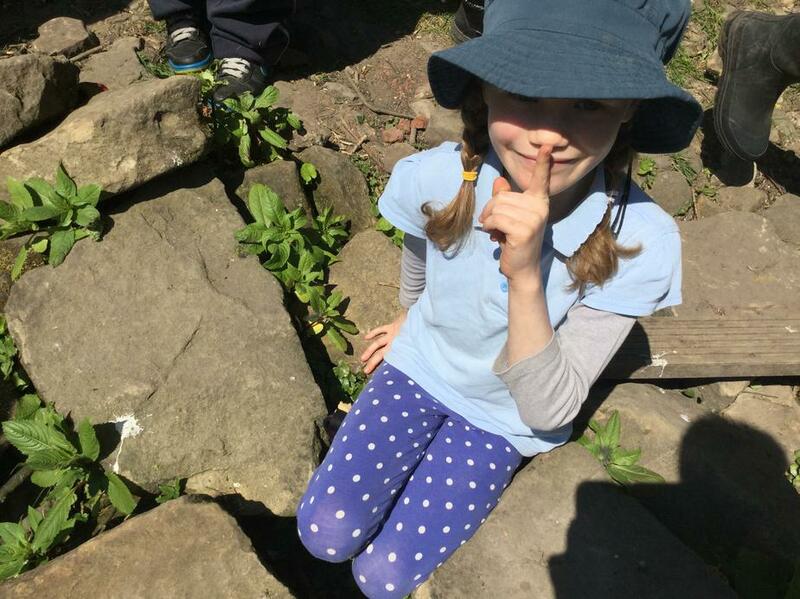 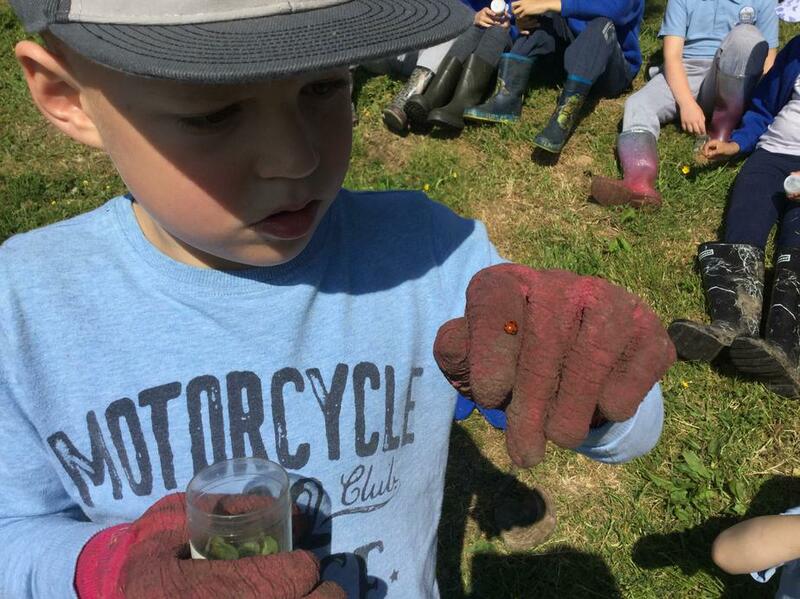 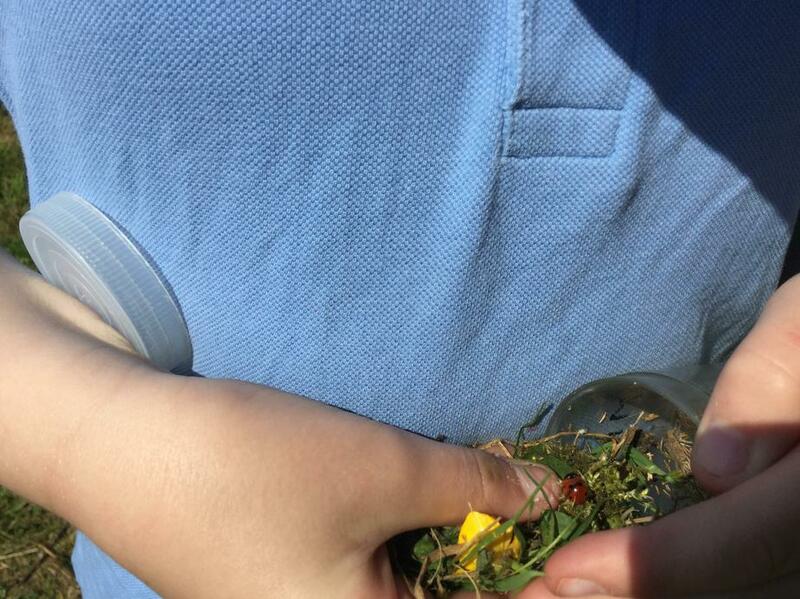 However, eventually we found 3 ladybirds and could identify which species they were. 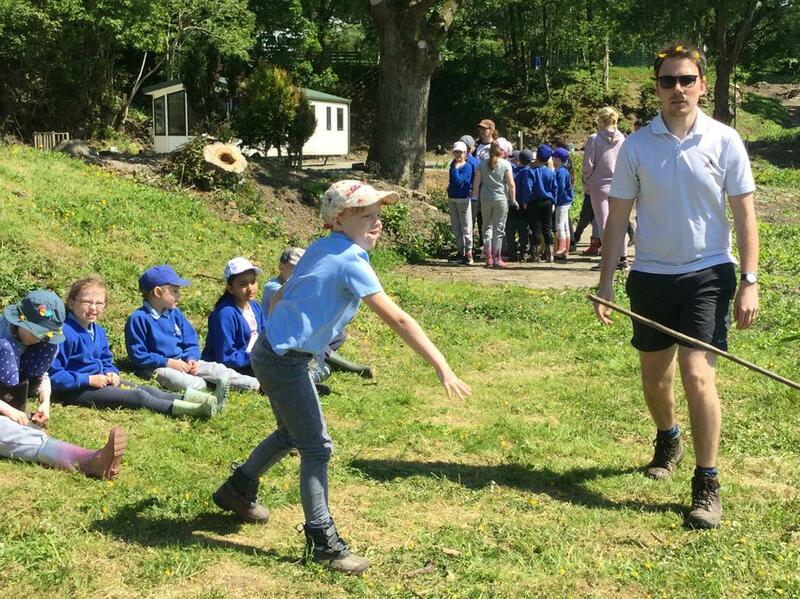 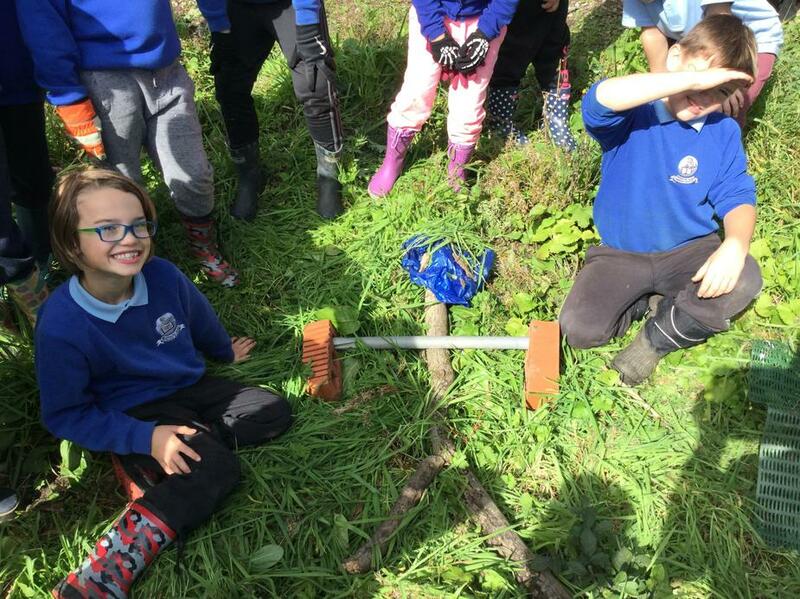 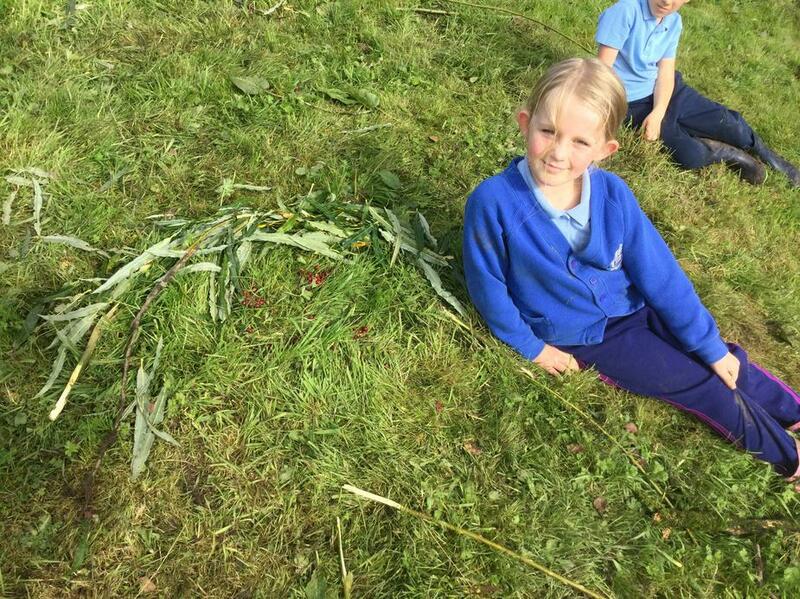 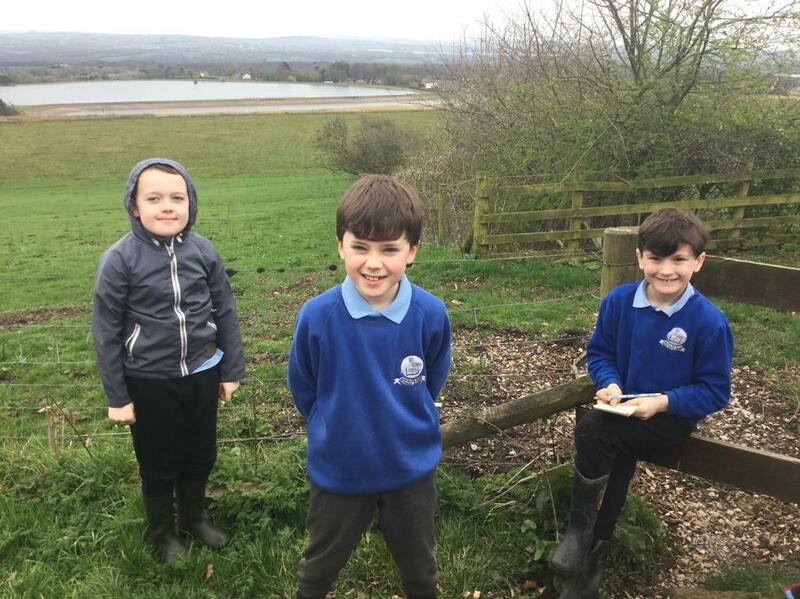 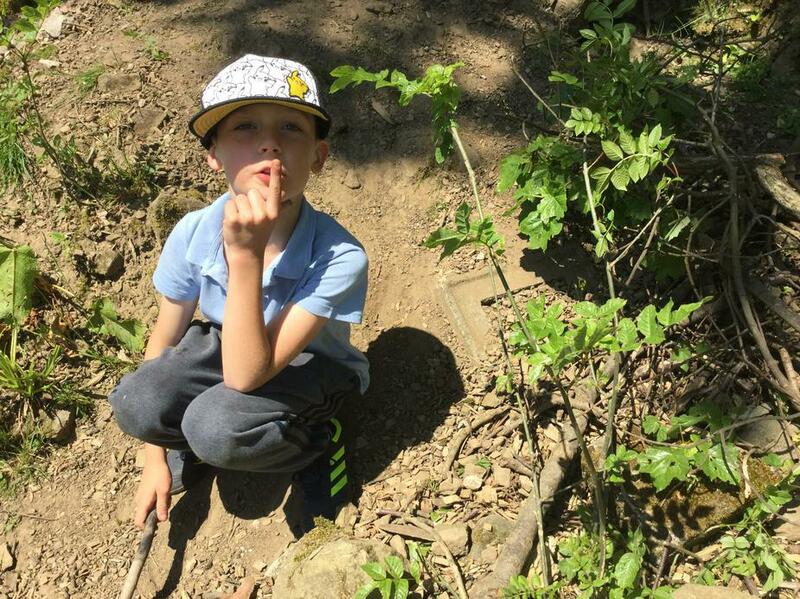 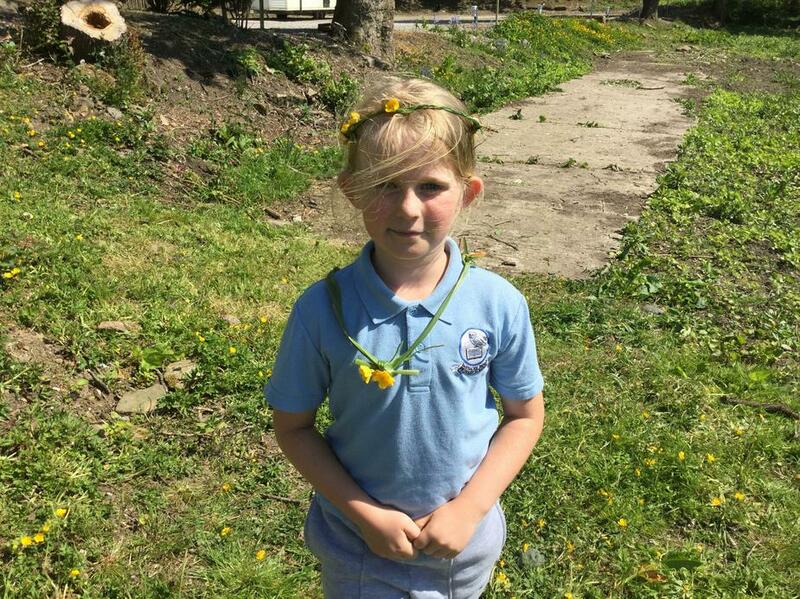 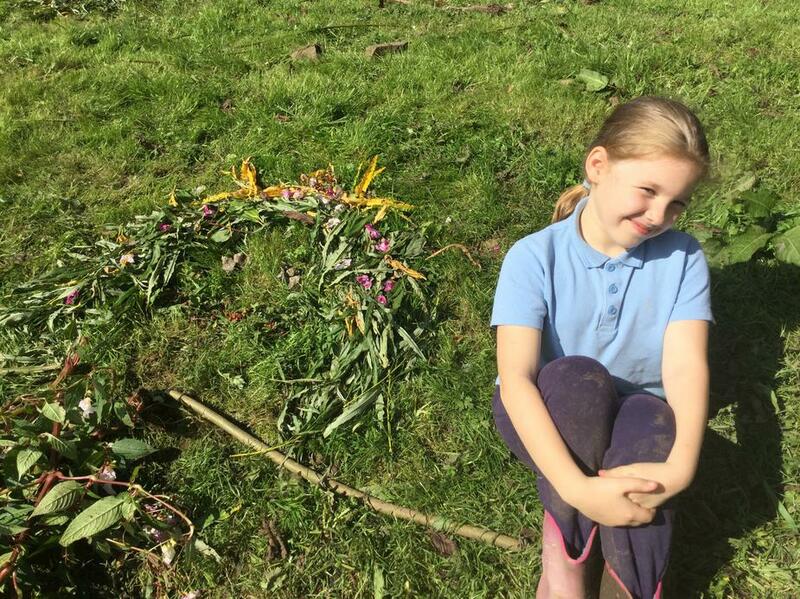 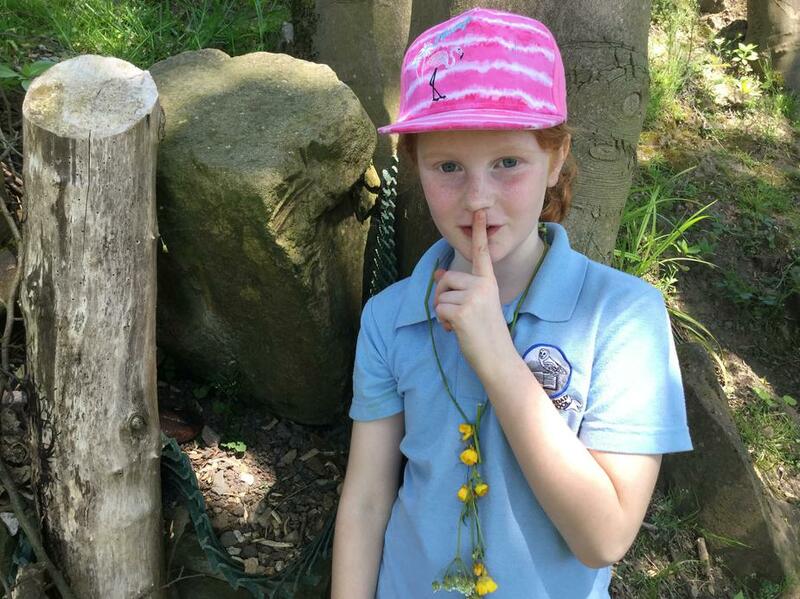 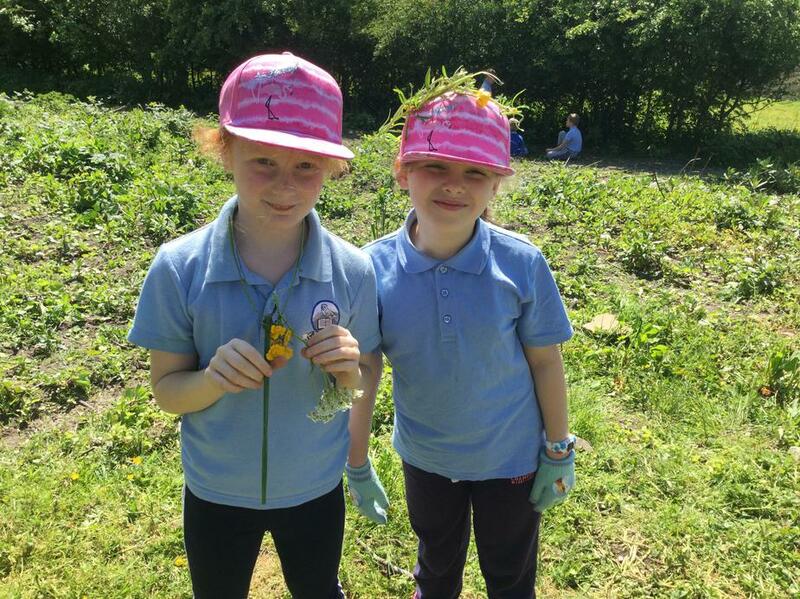 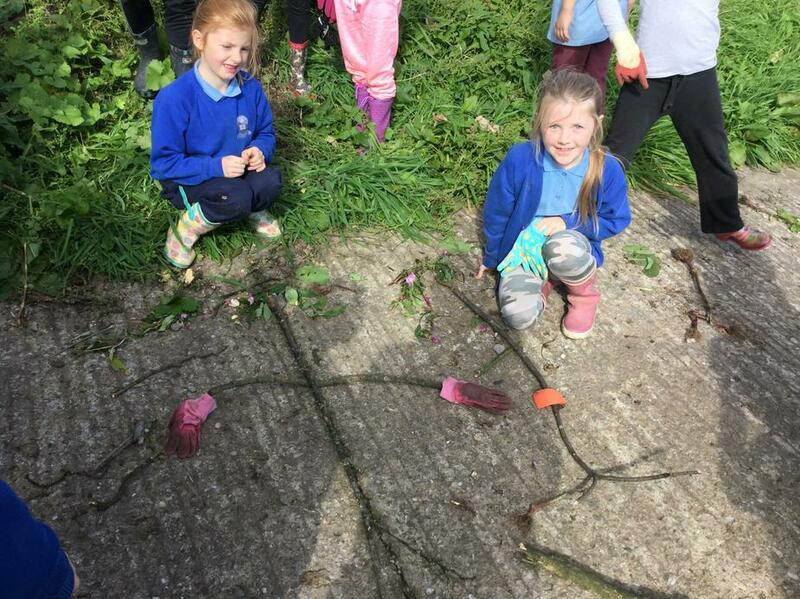 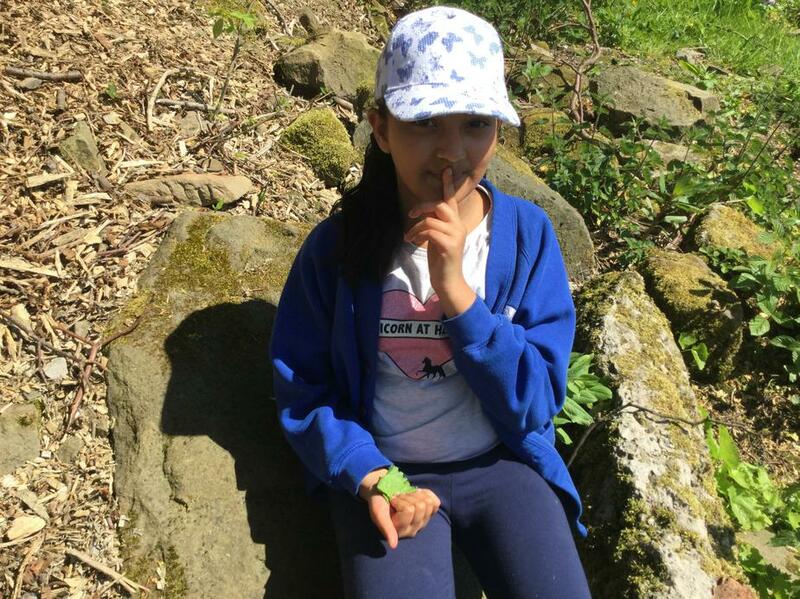 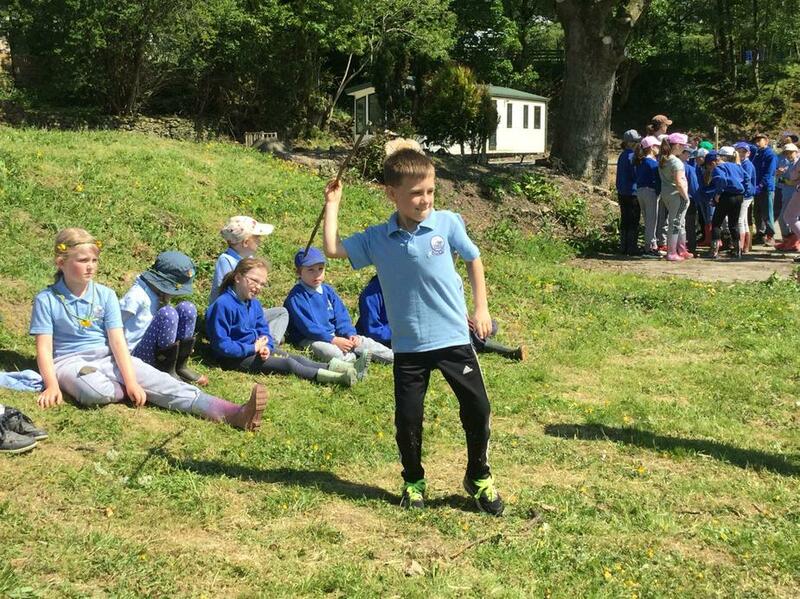 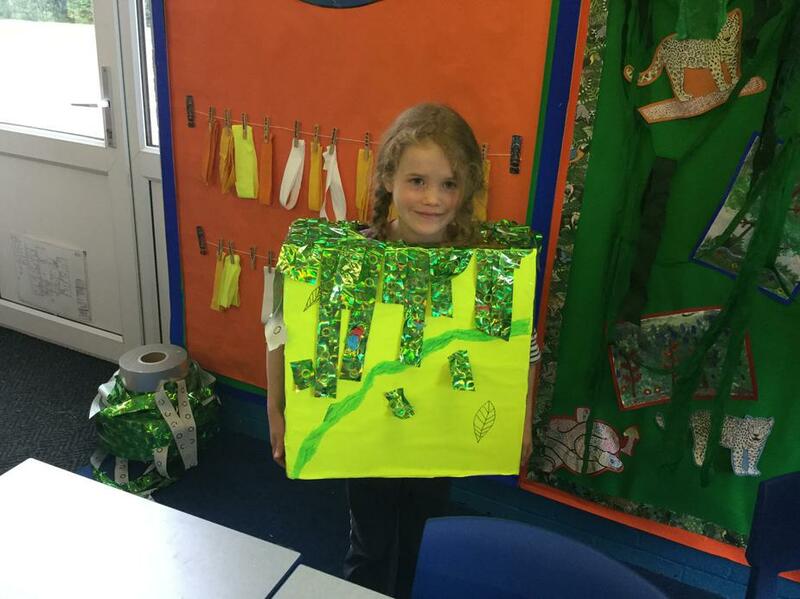 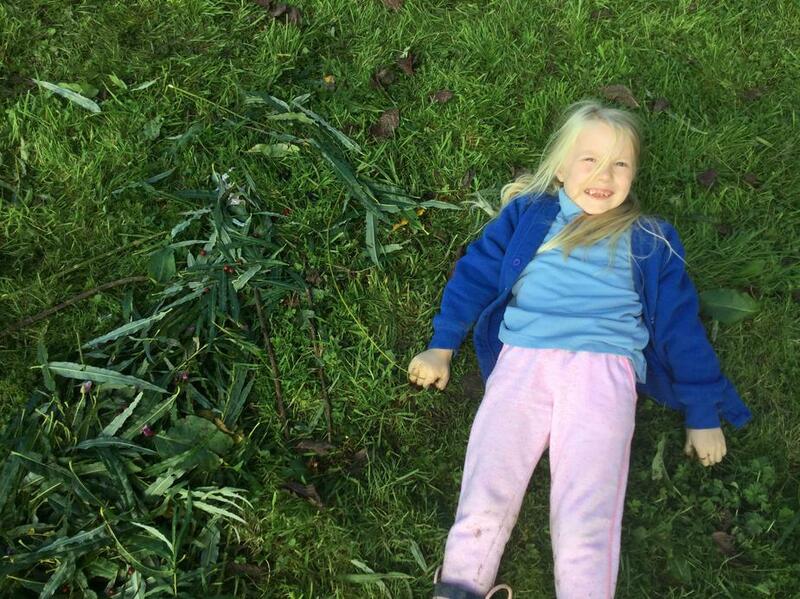 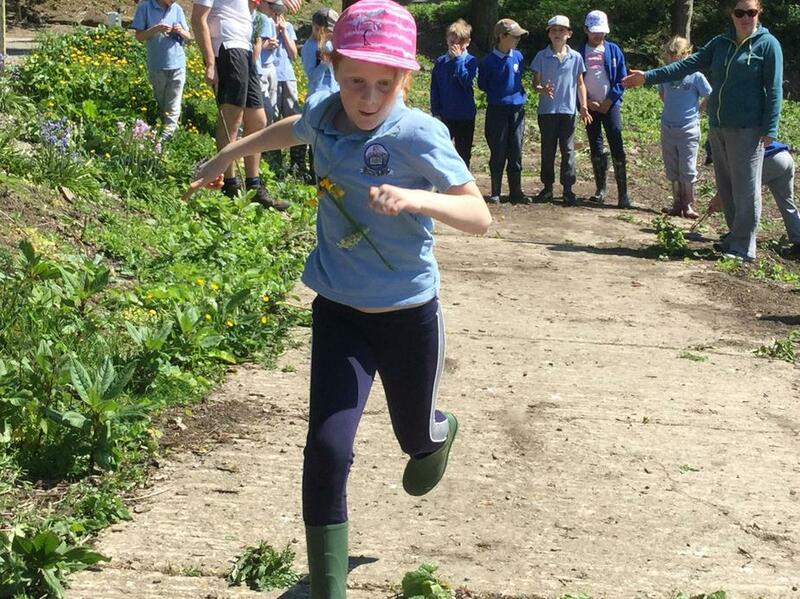 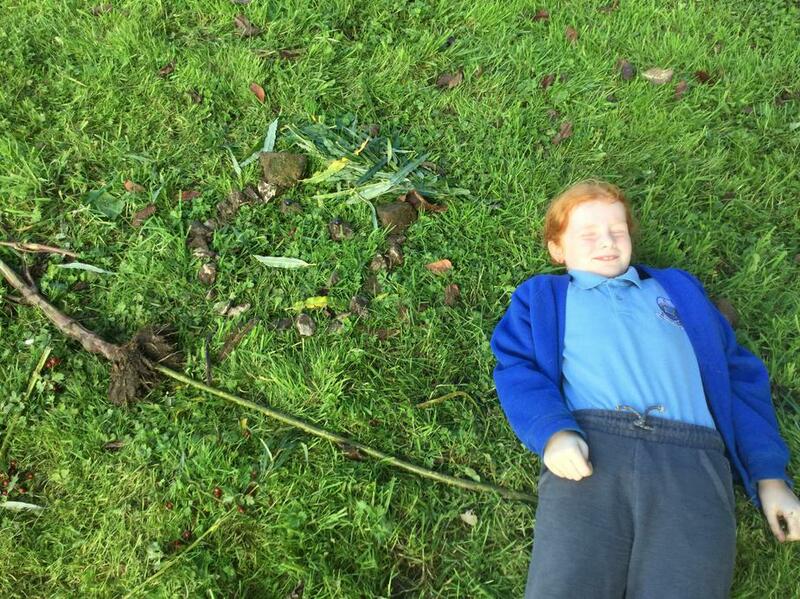 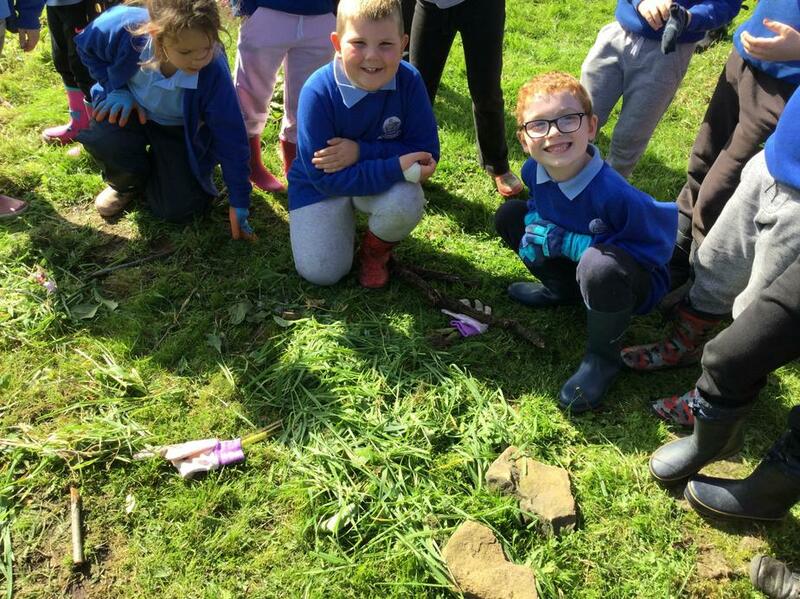 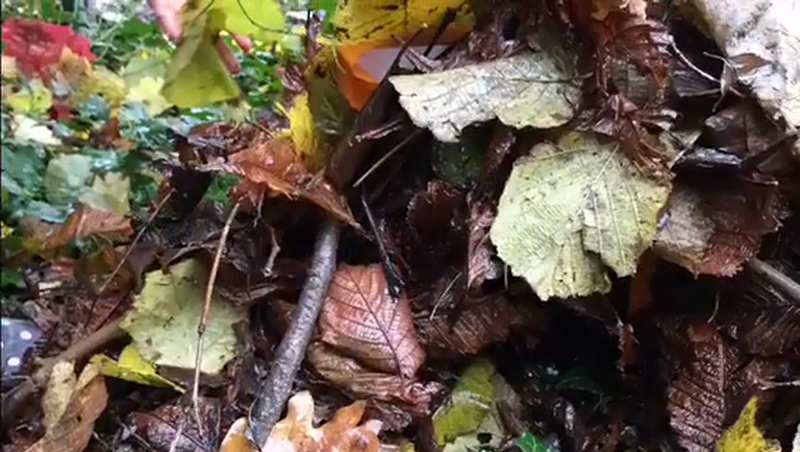 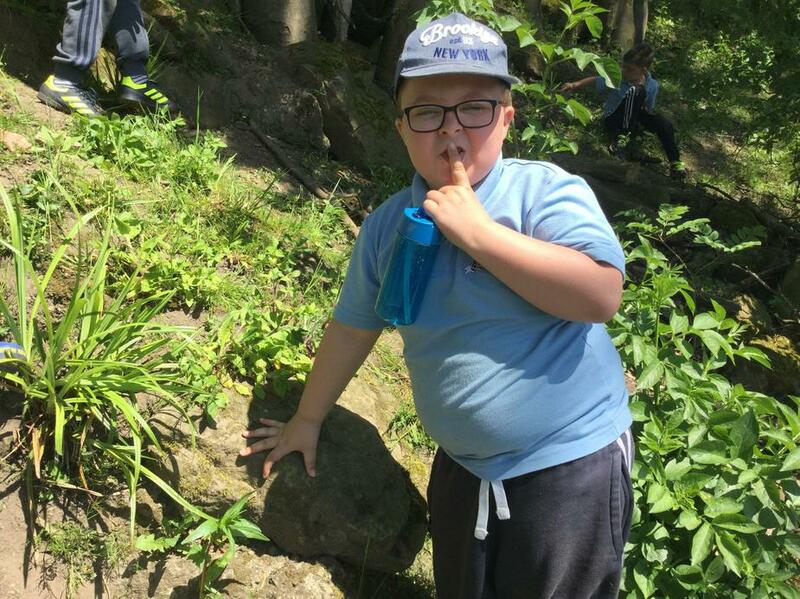 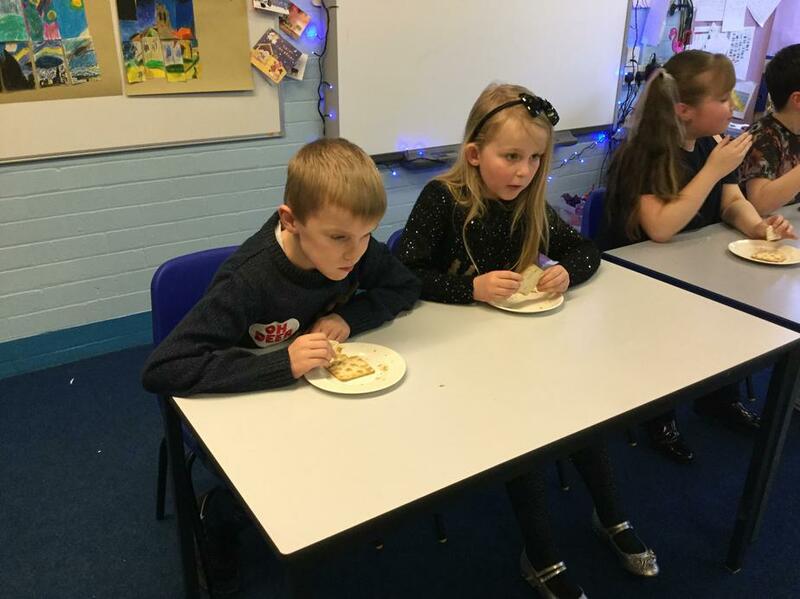 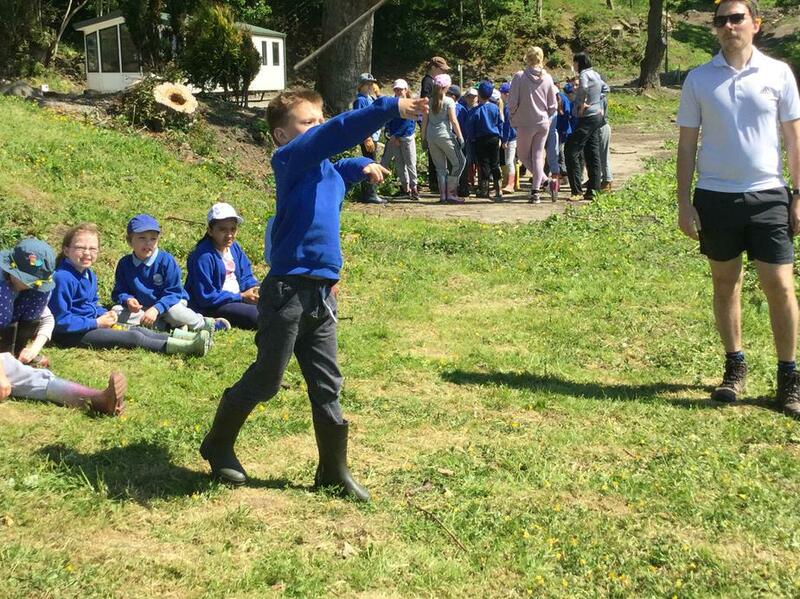 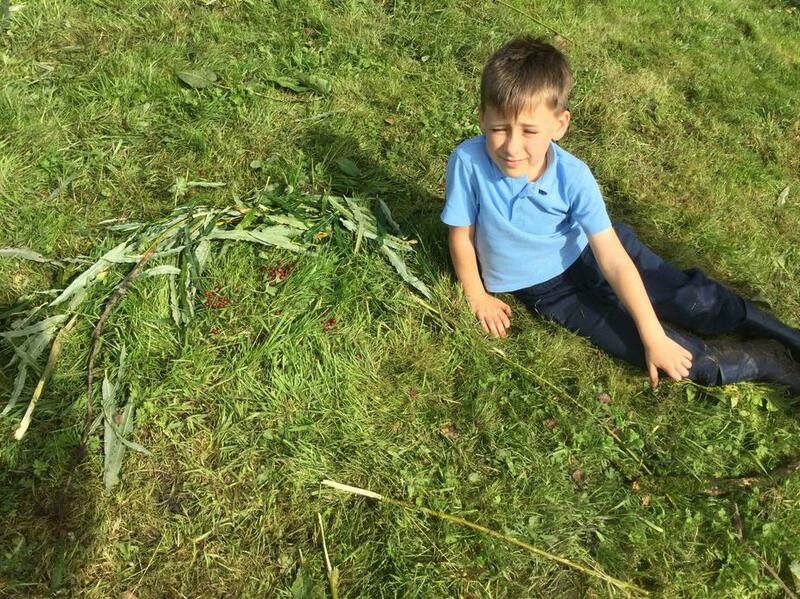 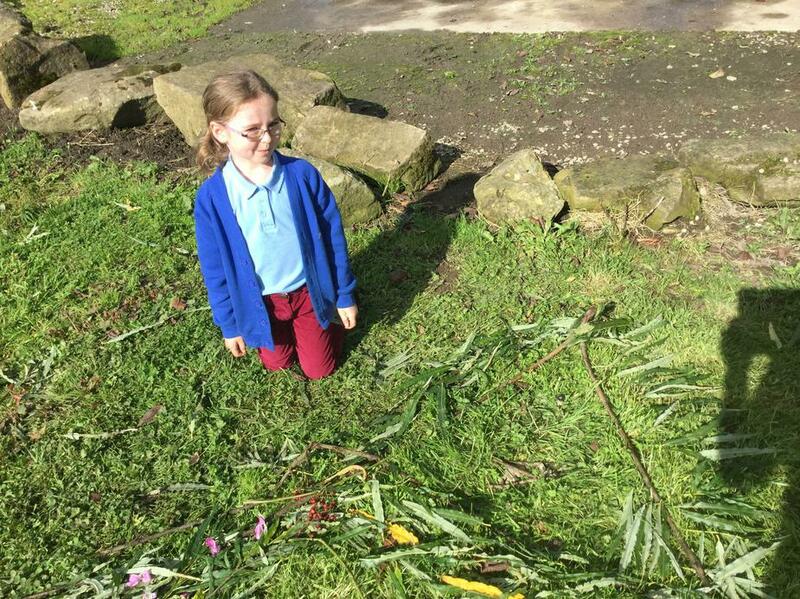 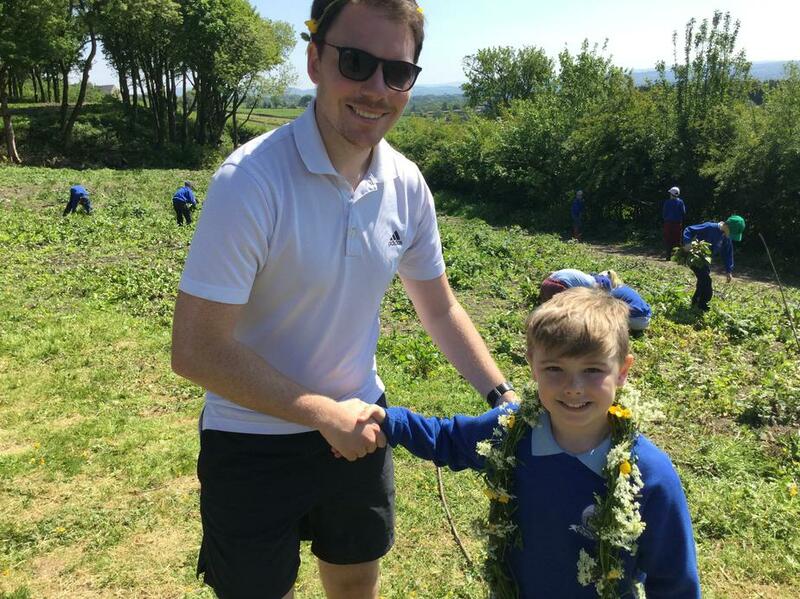 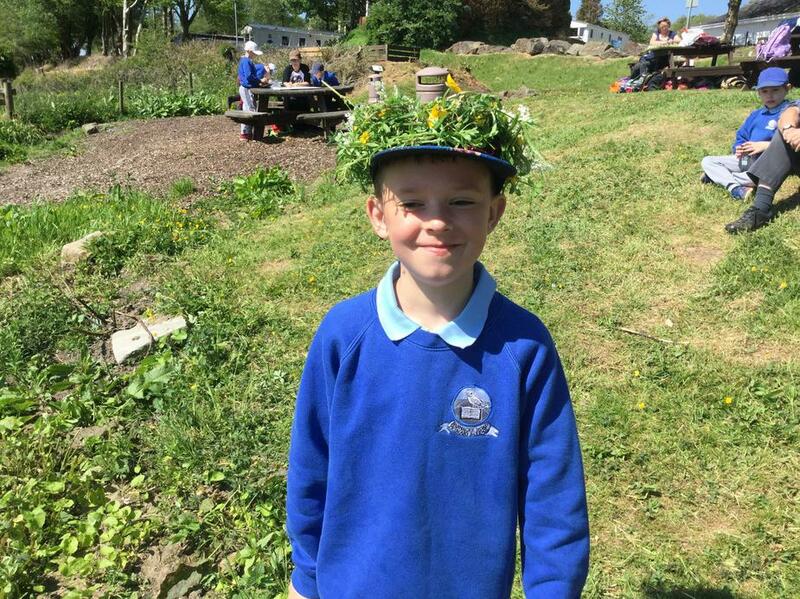 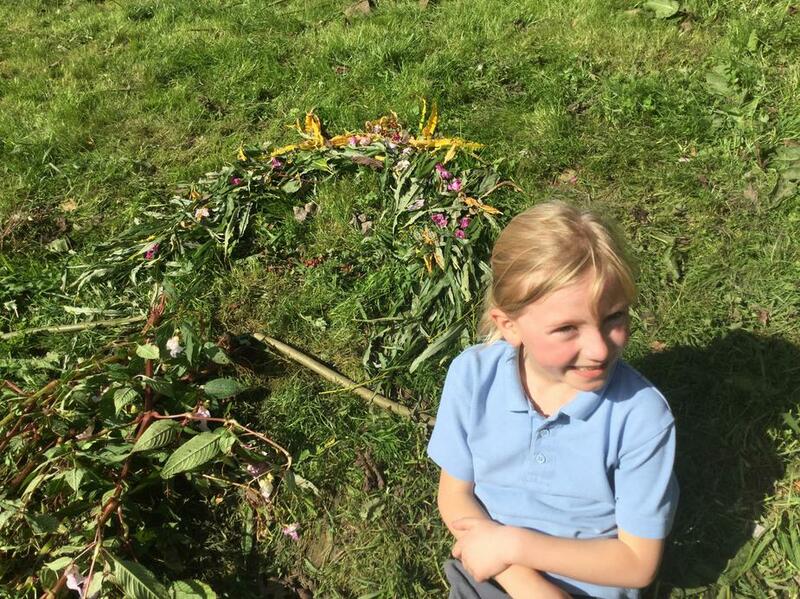 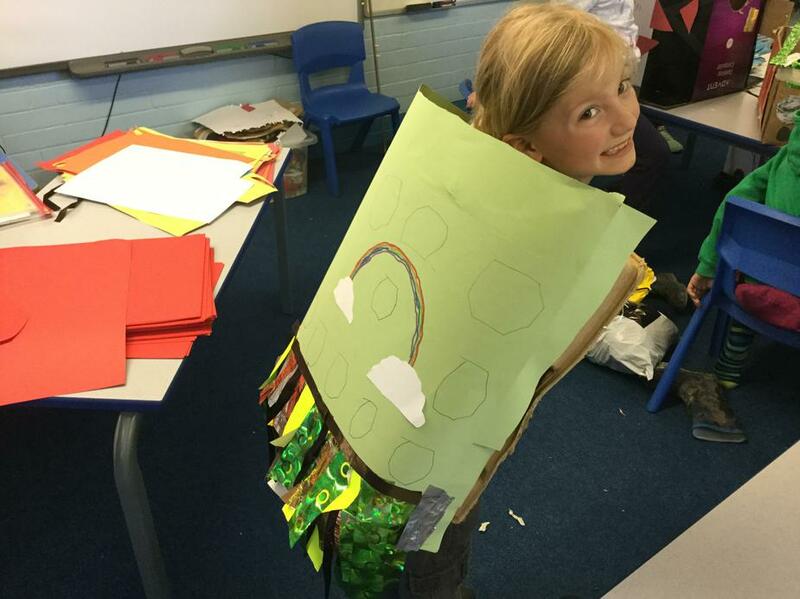 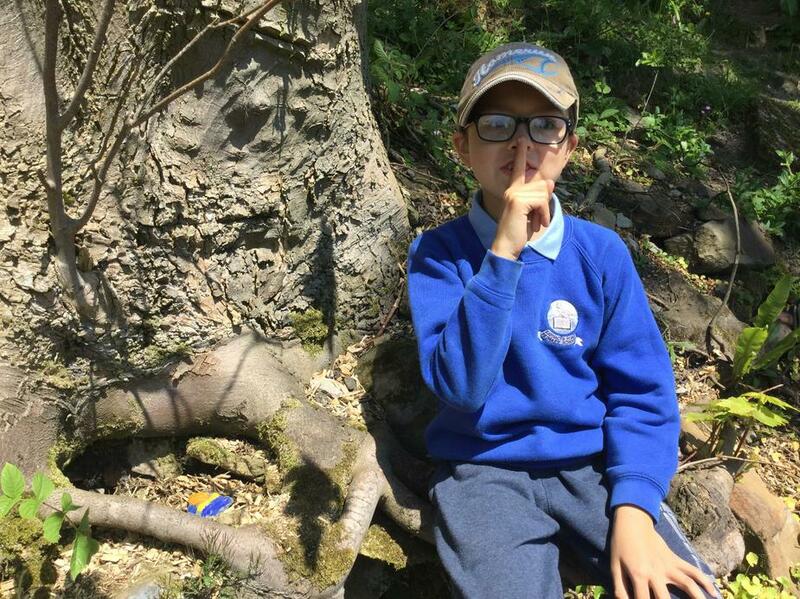 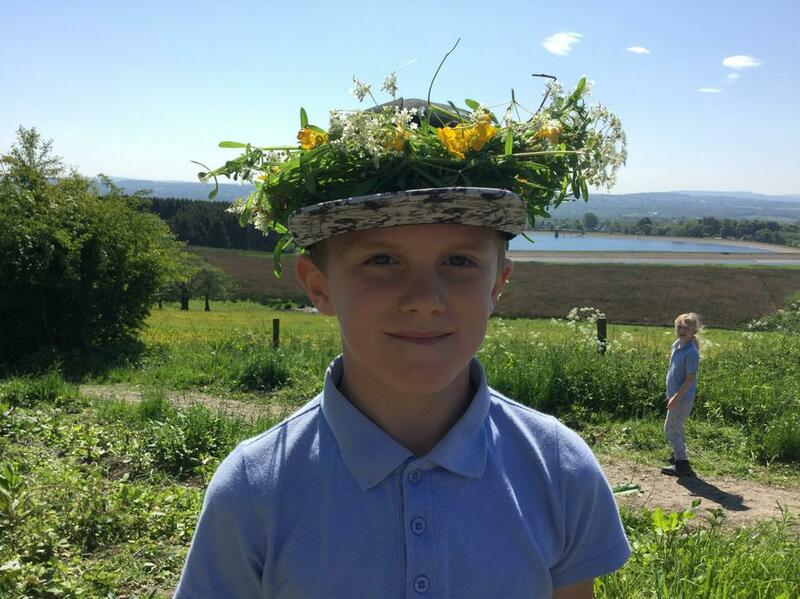 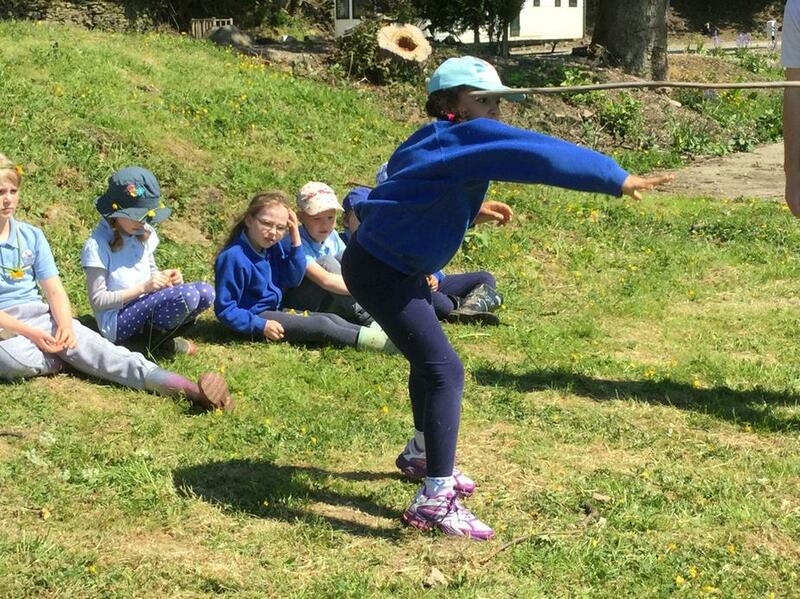 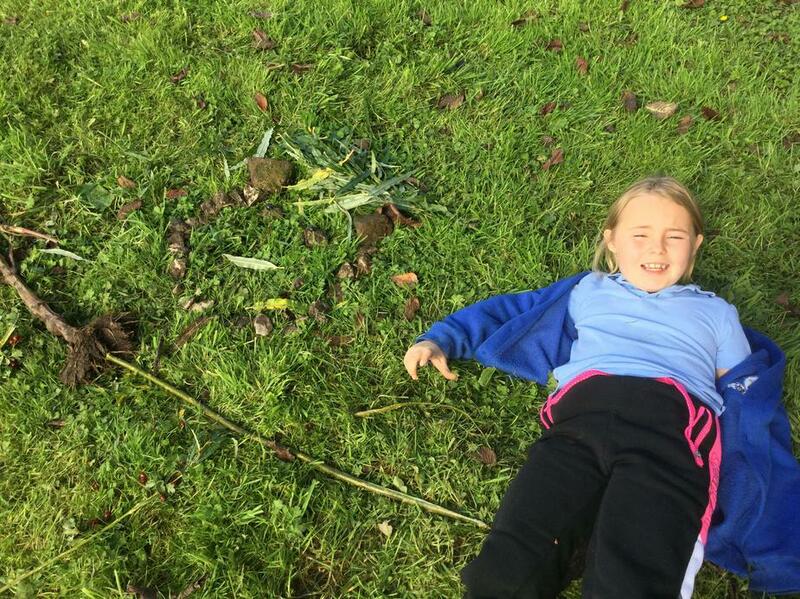 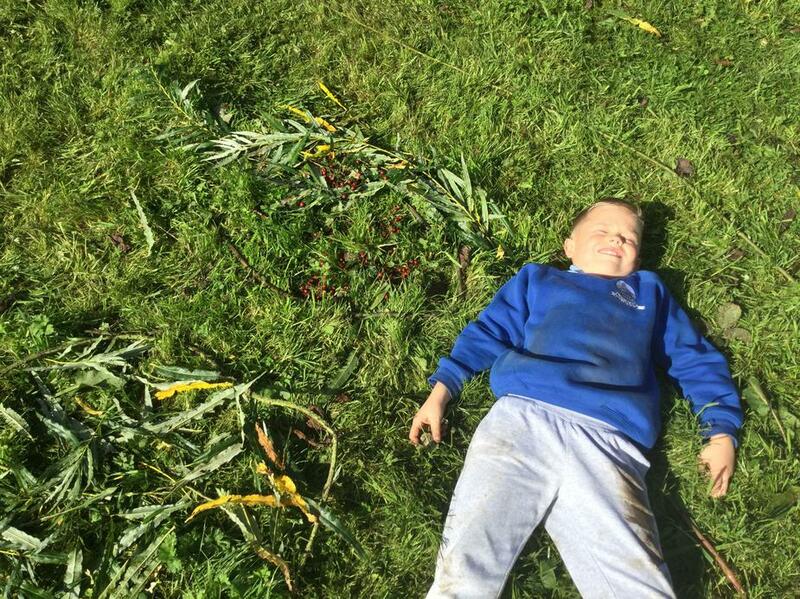 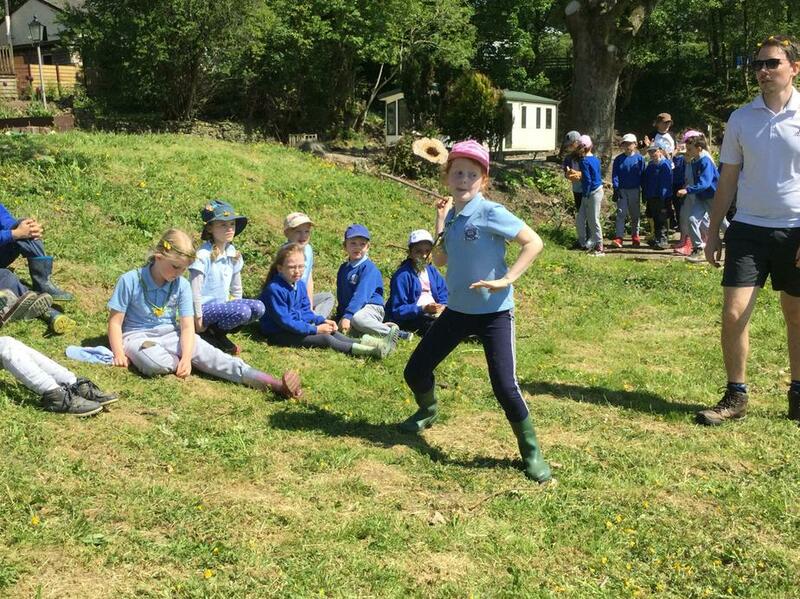 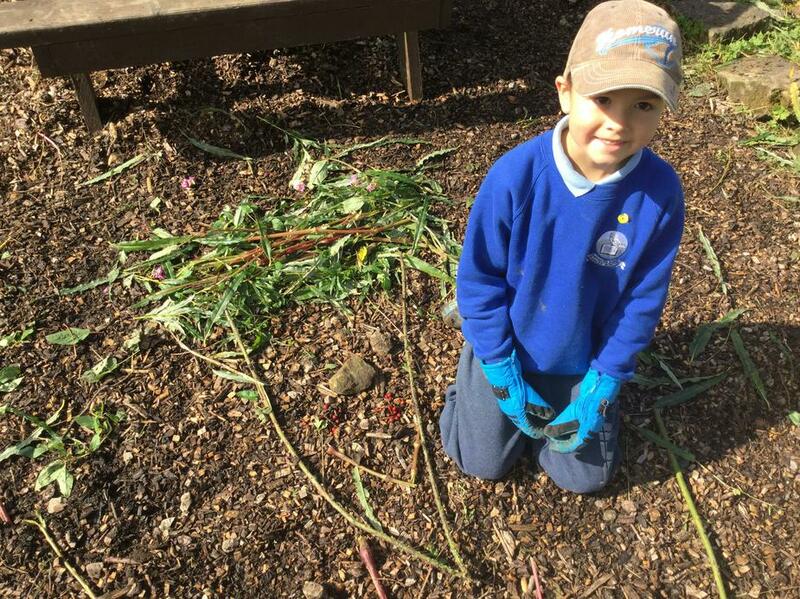 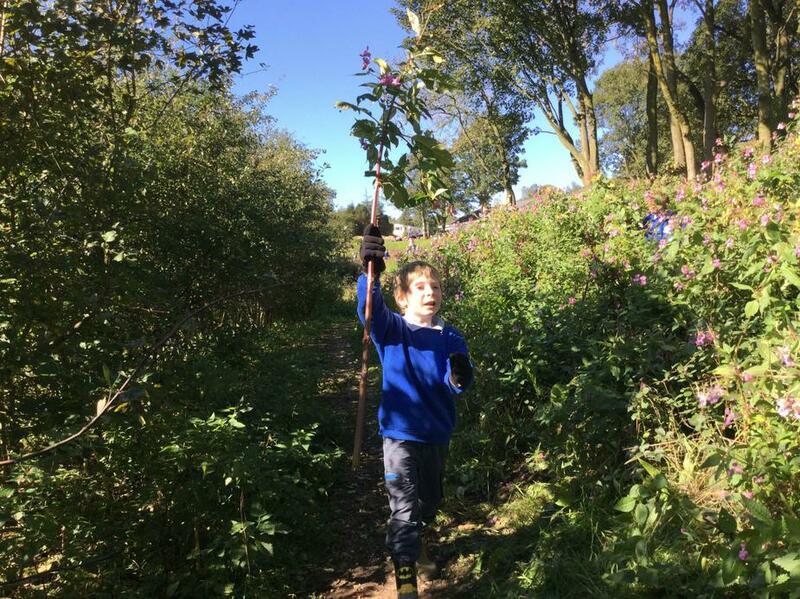 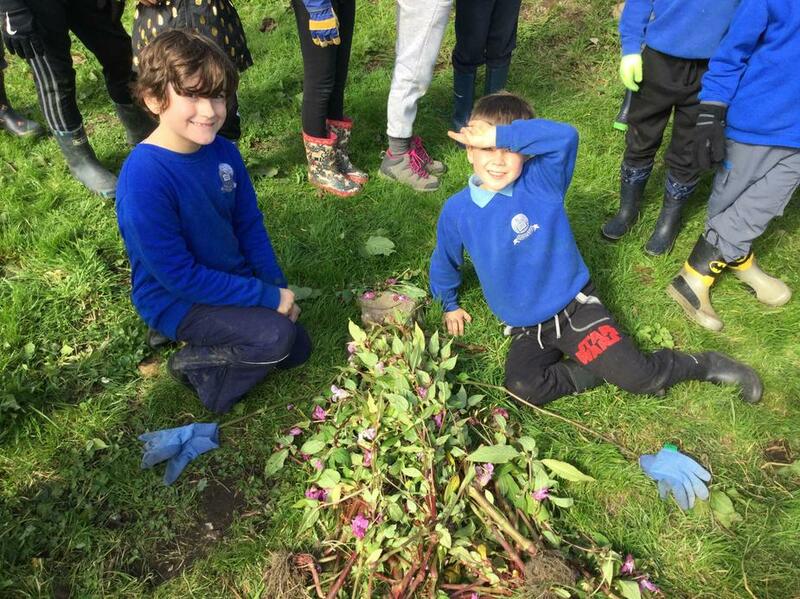 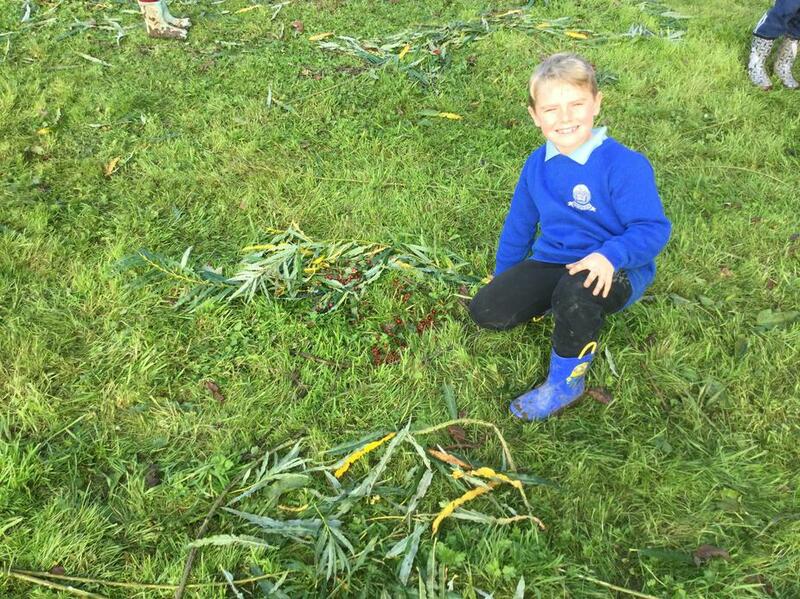 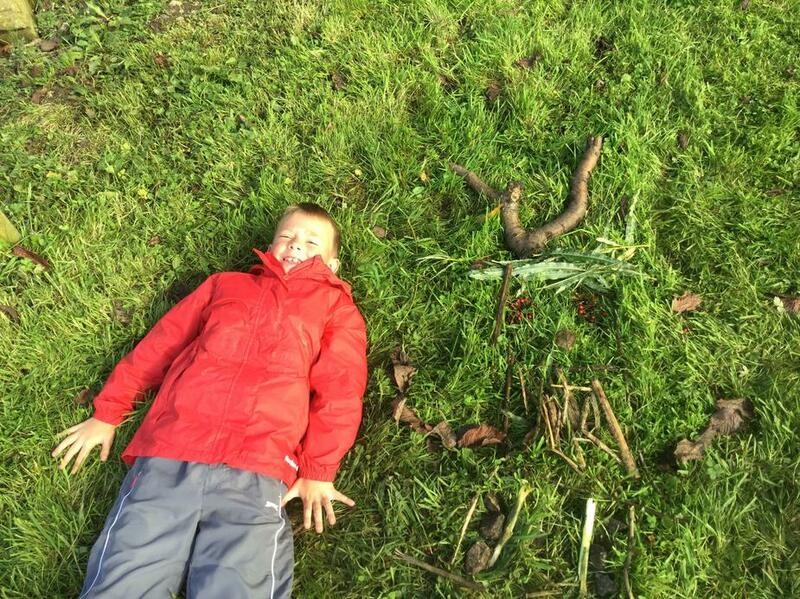 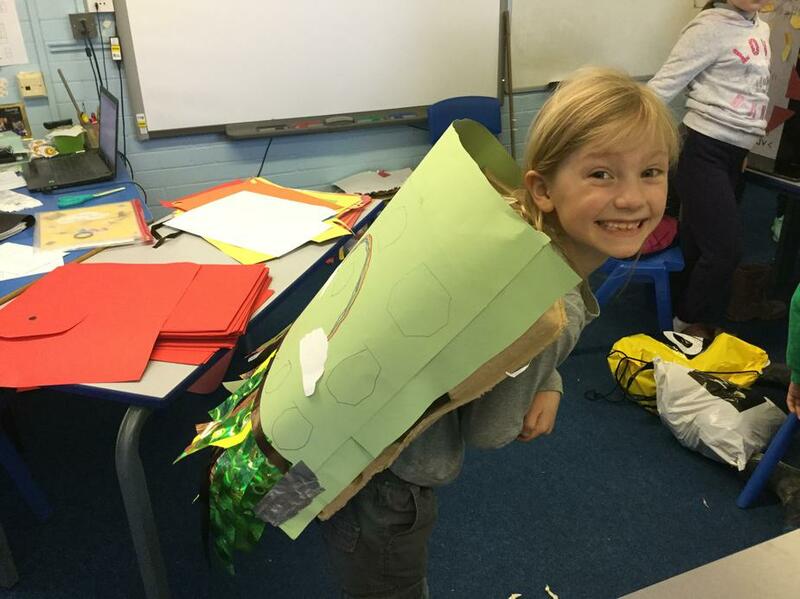 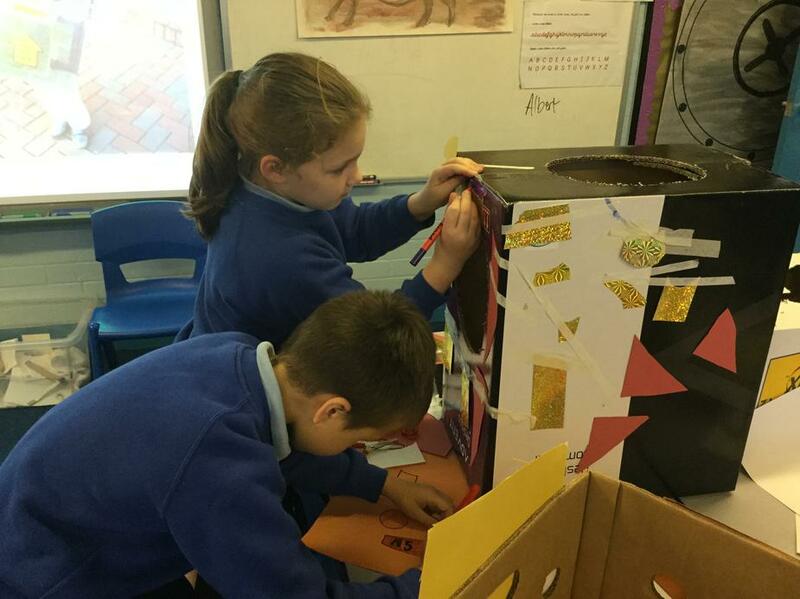 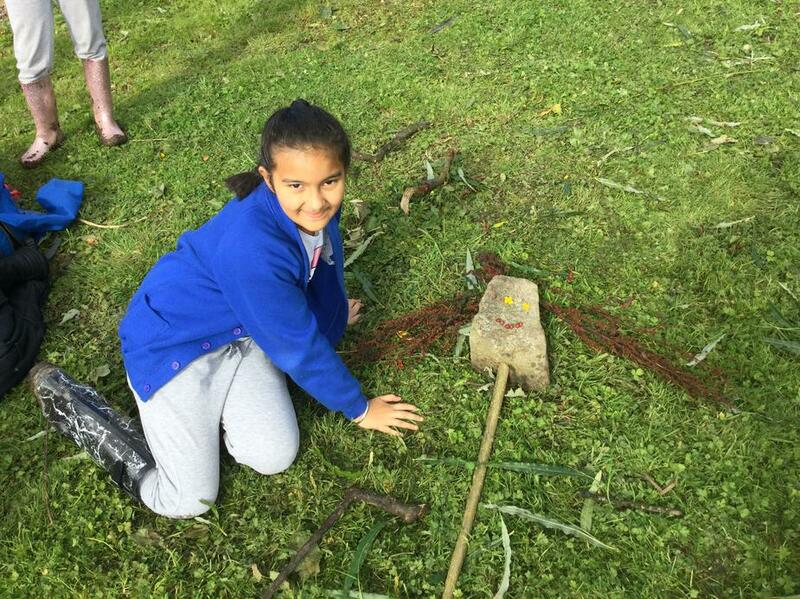 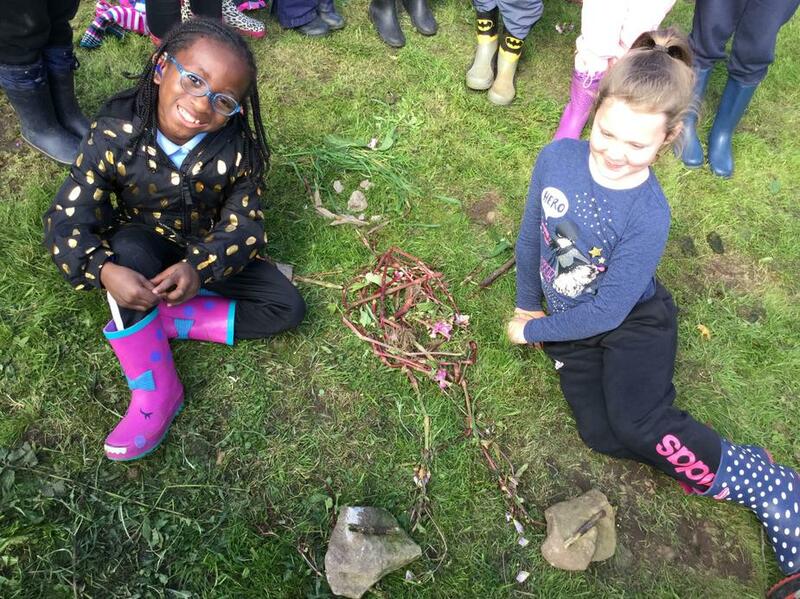 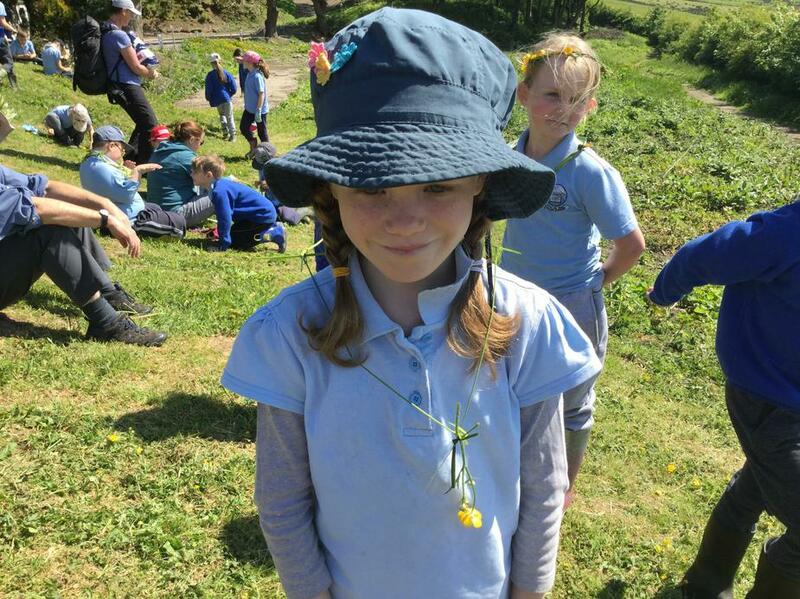 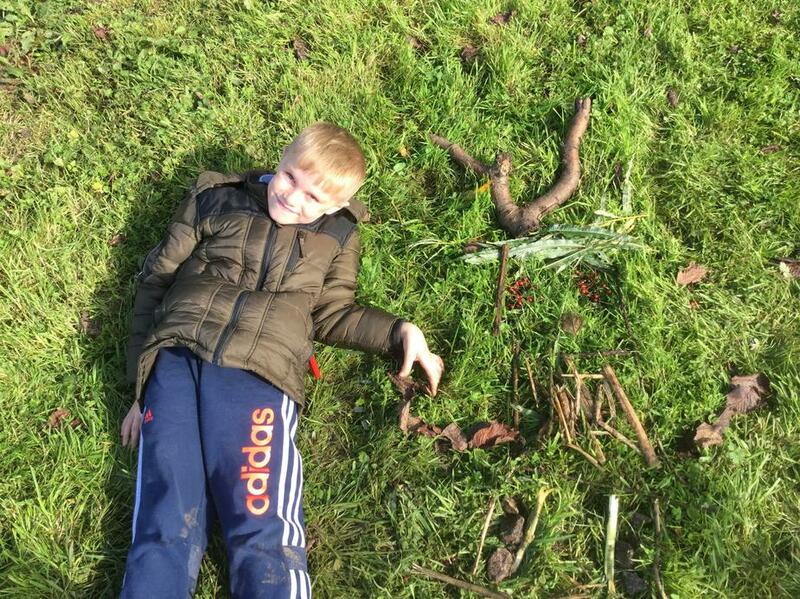 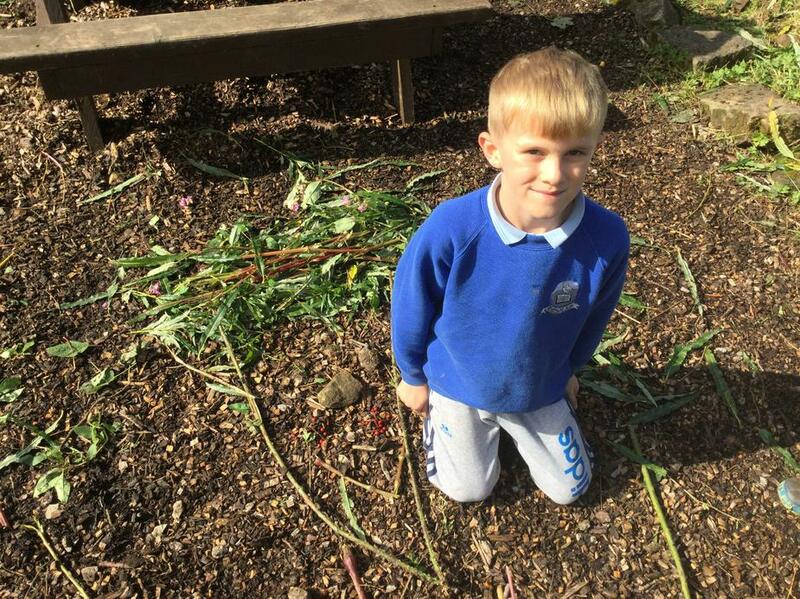 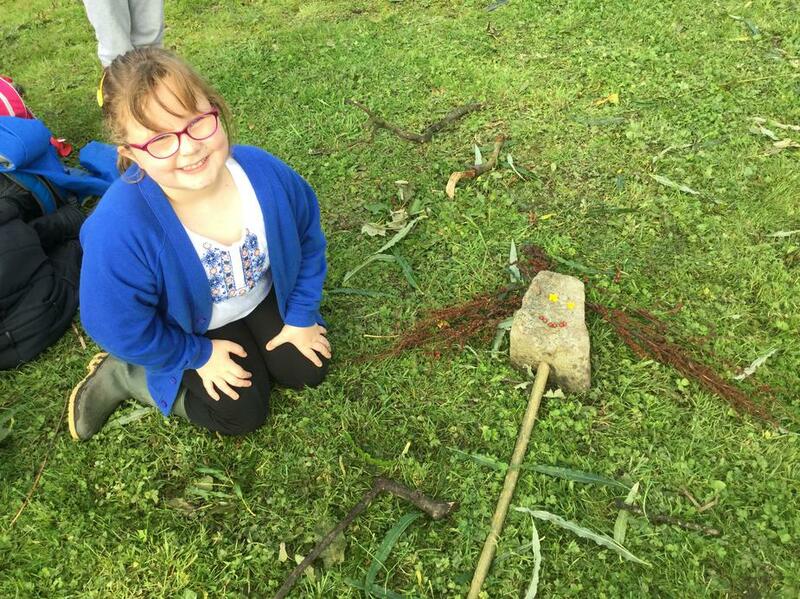 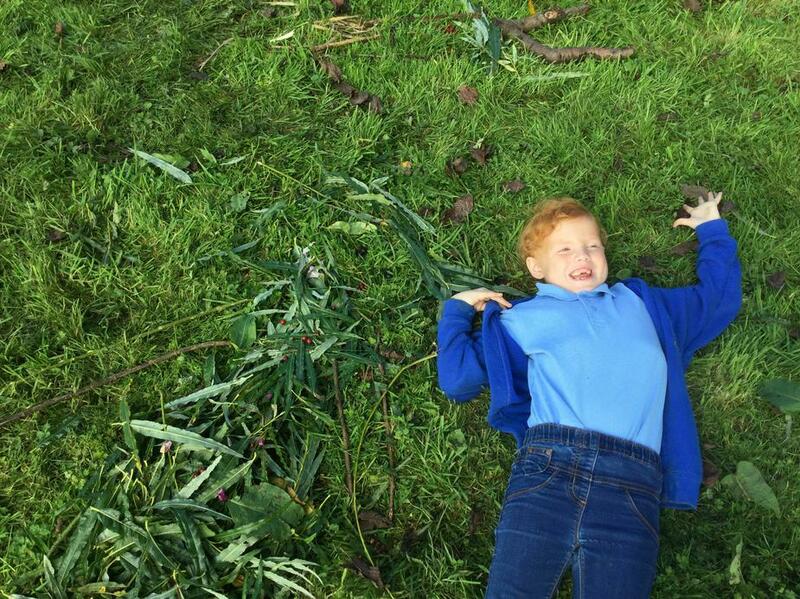 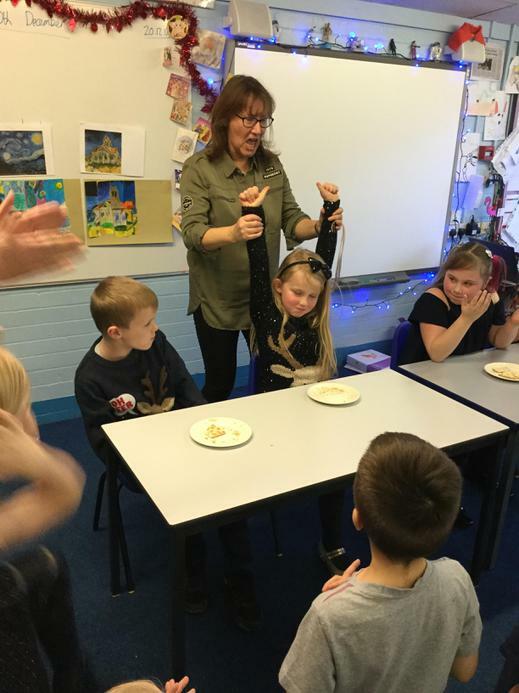 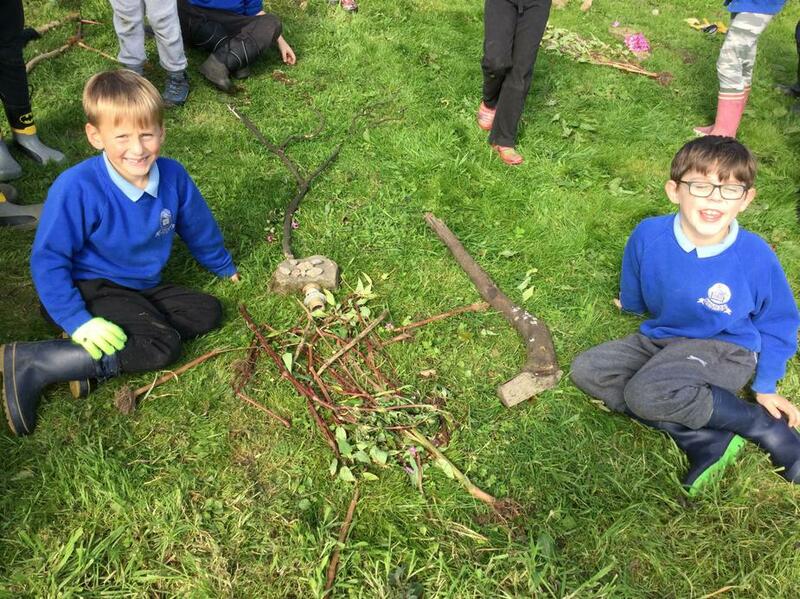 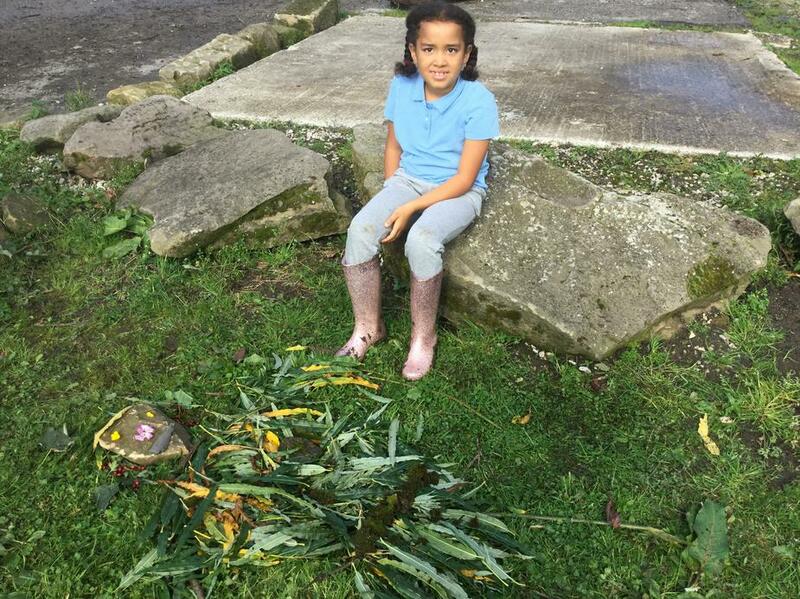 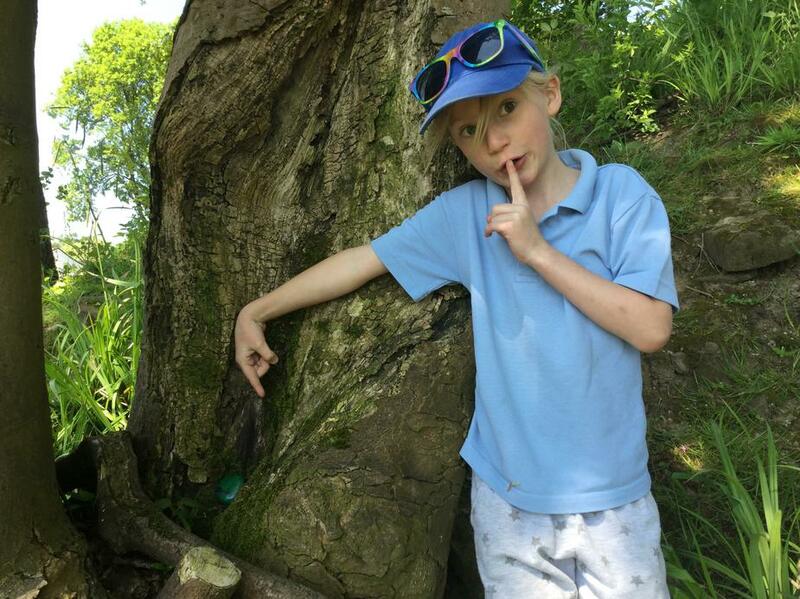 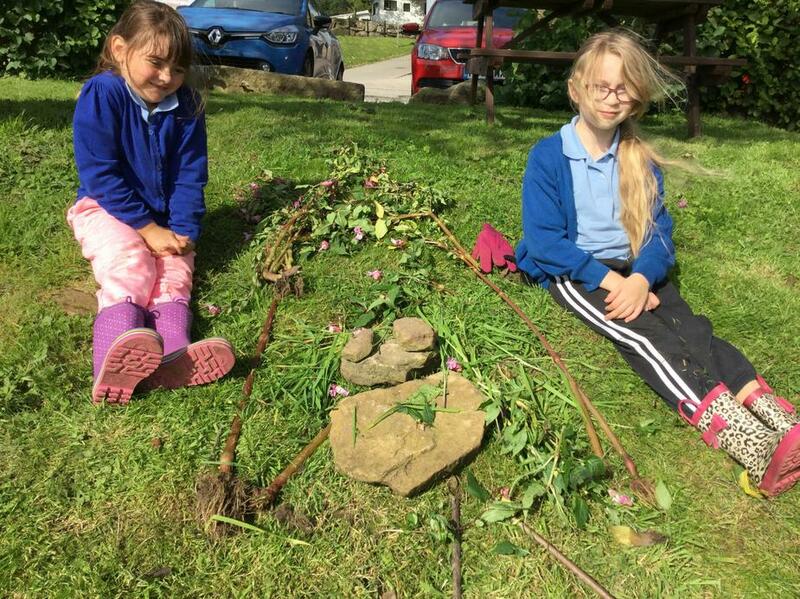 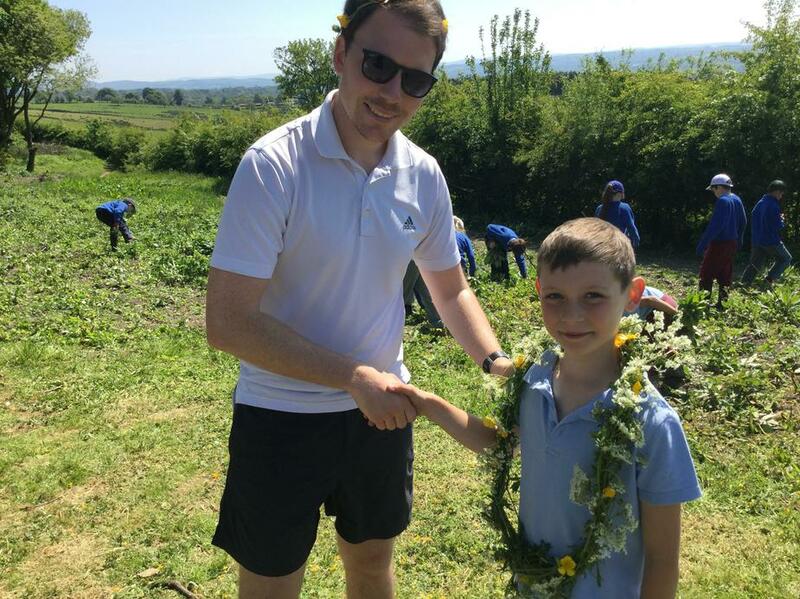 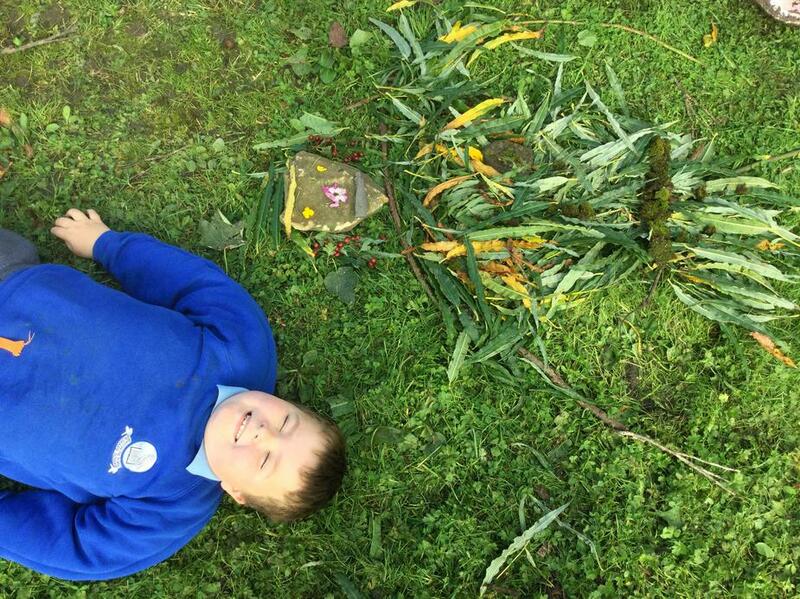 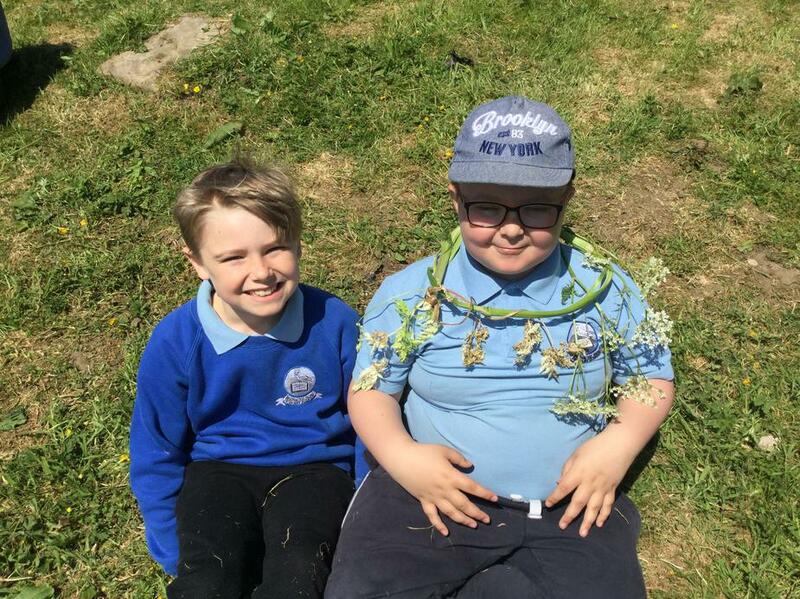 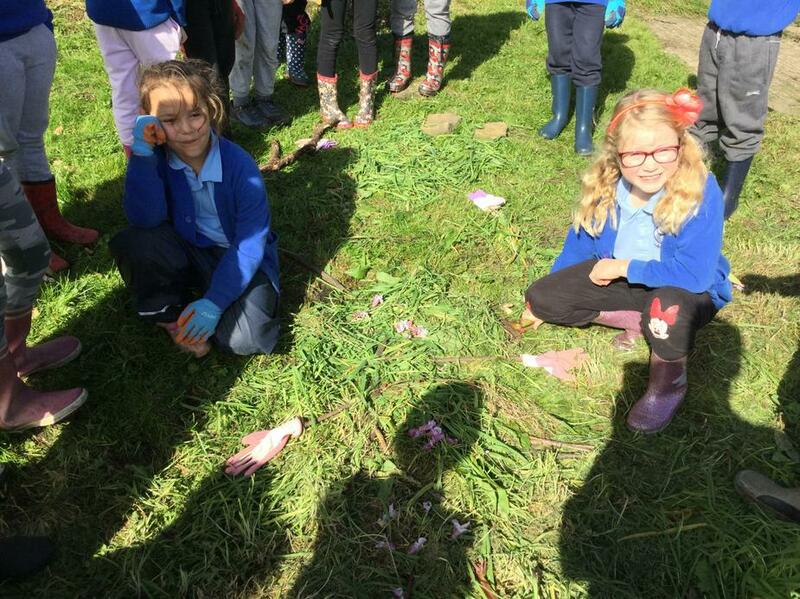 To link in with our Greek topic, we also competed in the woodland Olympics with our very own medals and wreaths made out of materials from the woodland. 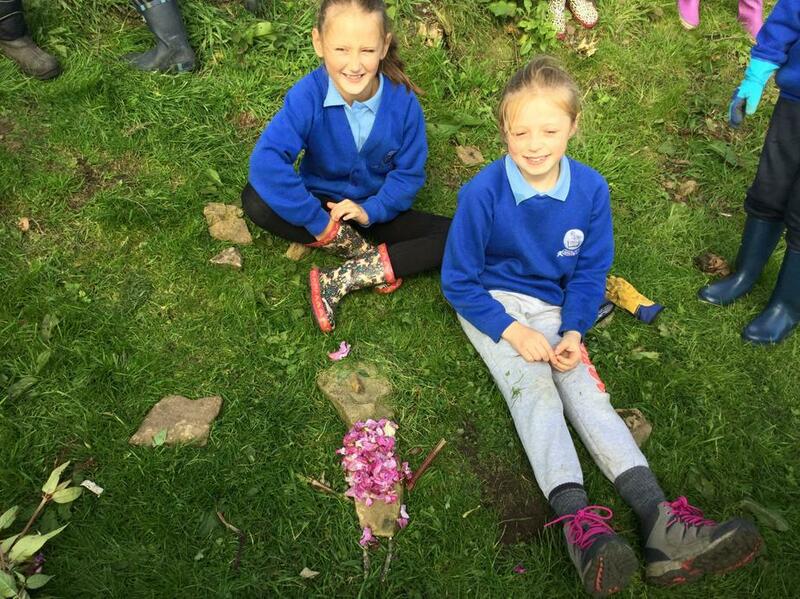 To finish a great day, we hid our pebble arts for future children to find. 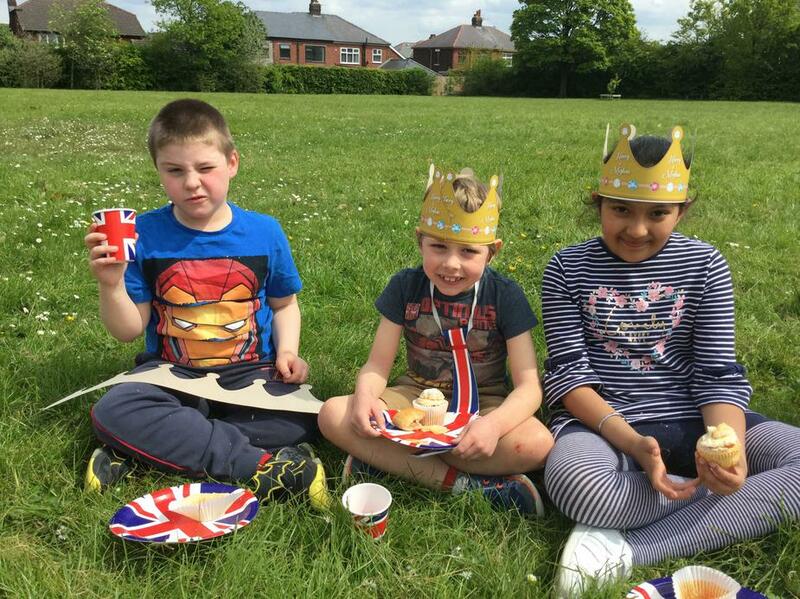 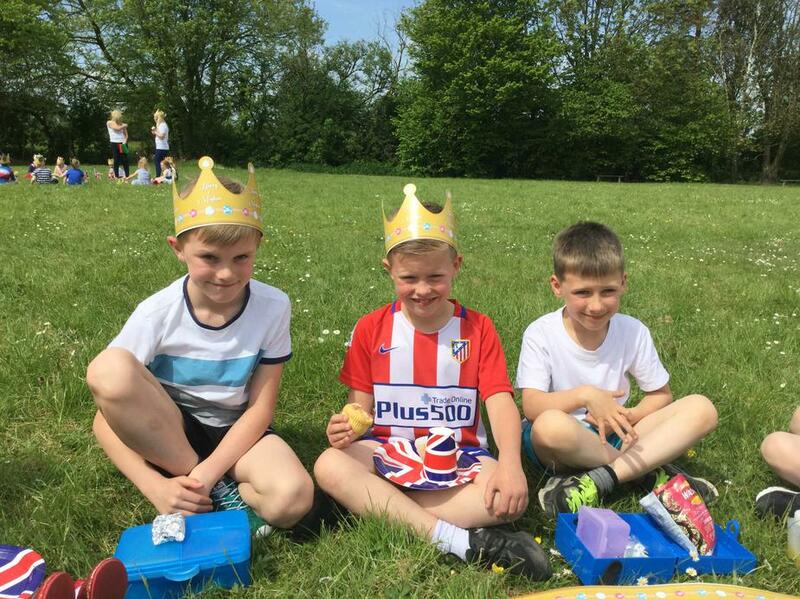 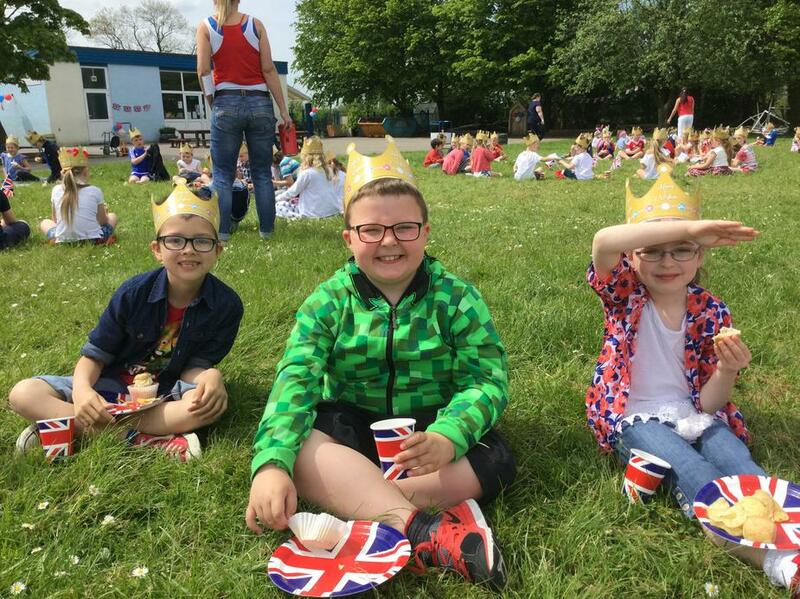 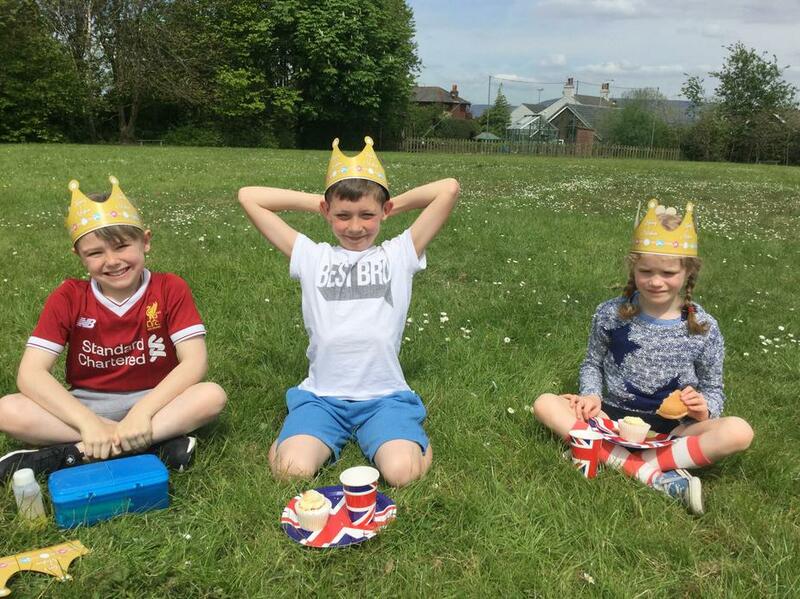 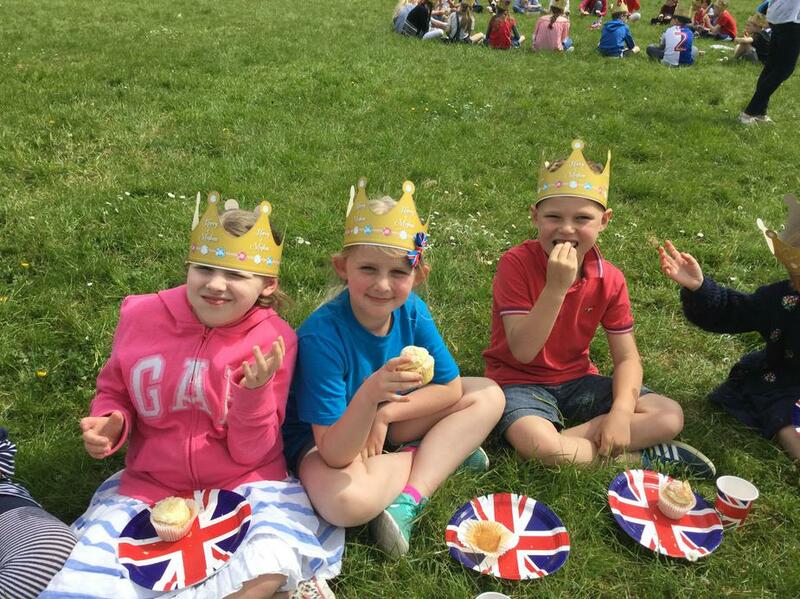 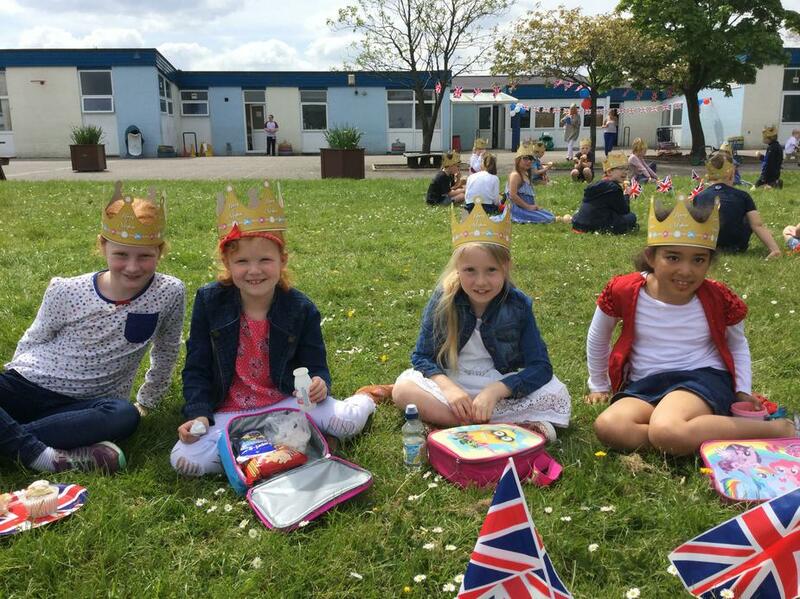 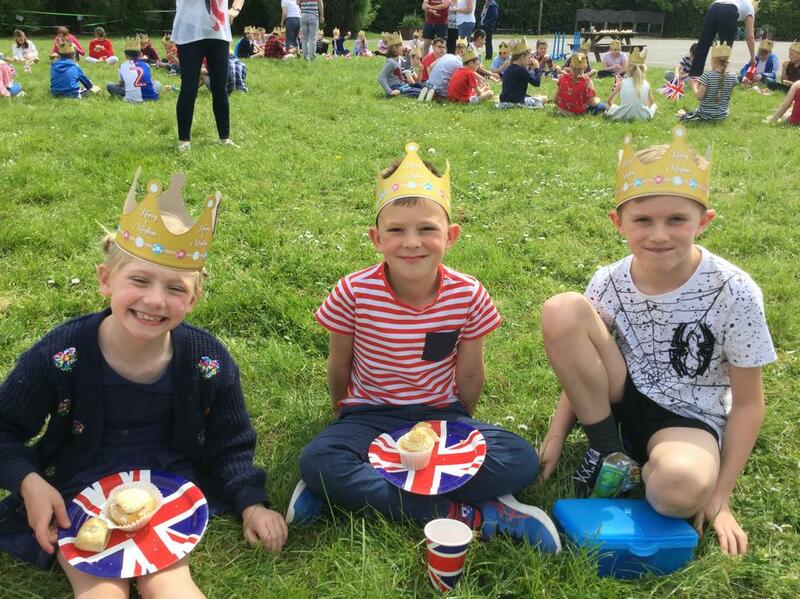 We had a fantastic time at the Royal Wedding picnic as we celebrated the marriage of Prince Harry and Meghan. 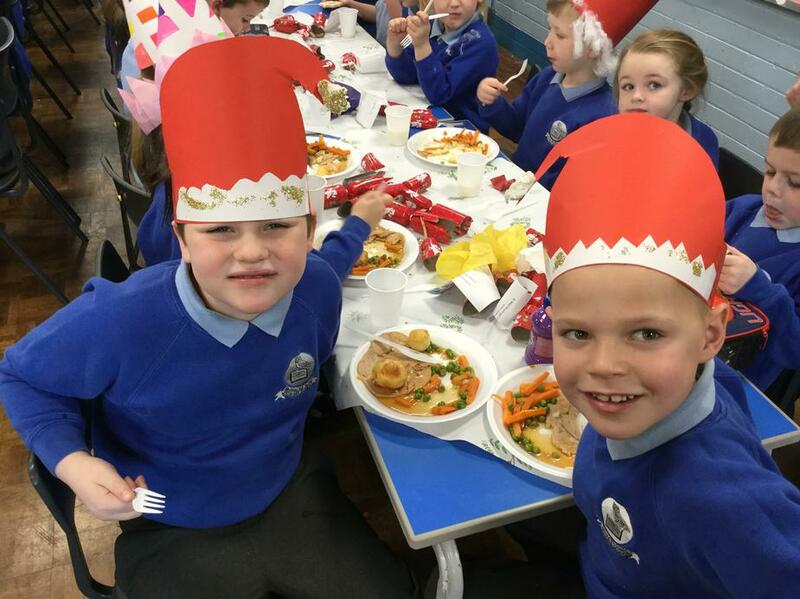 Thank you to the kitchen staff for providing our lovely food! 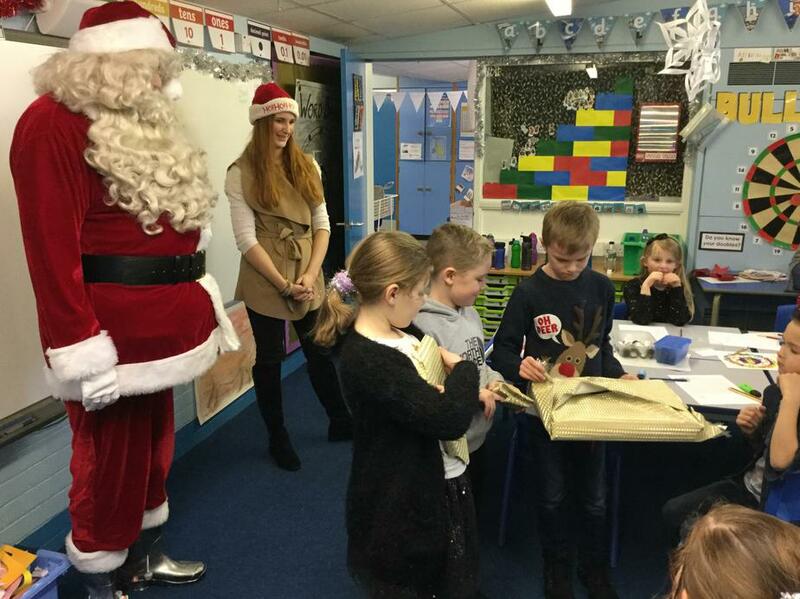 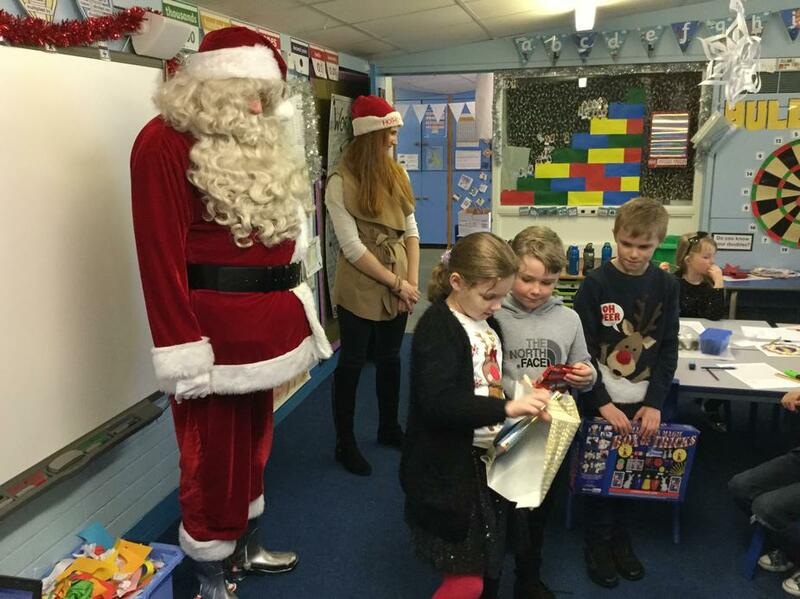 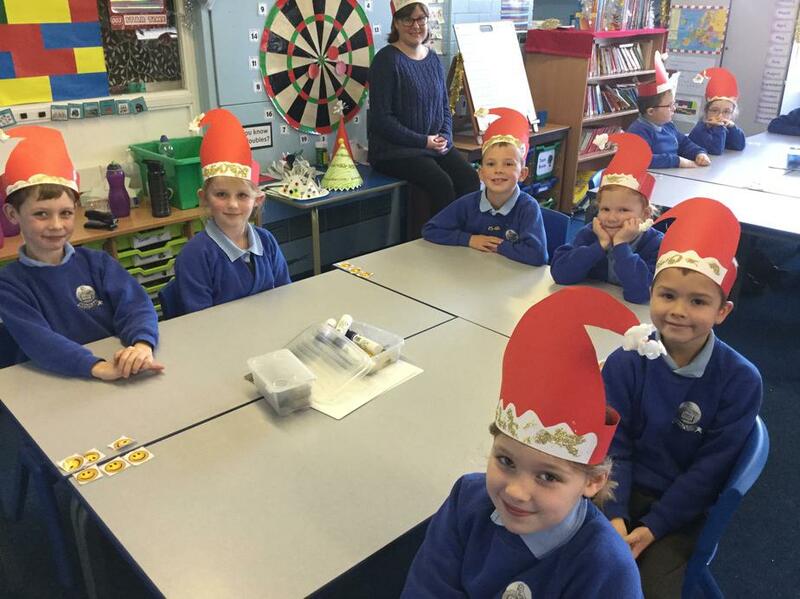 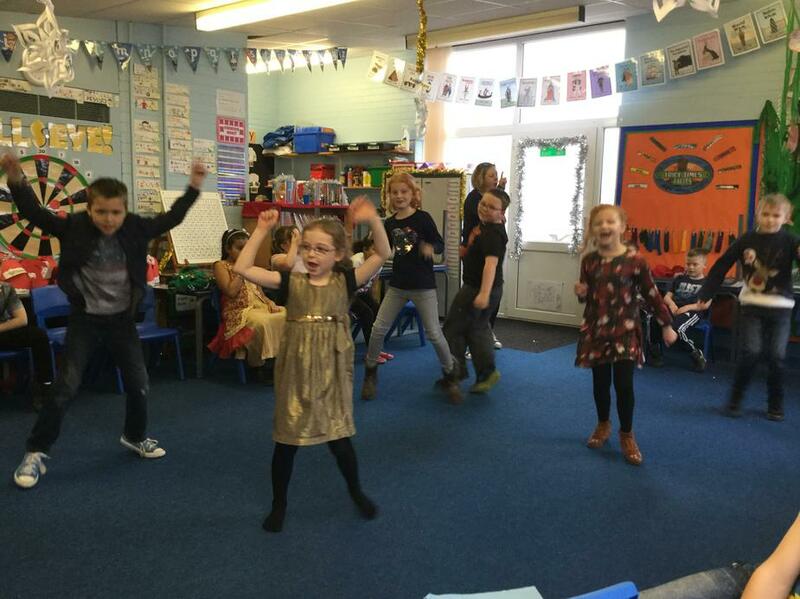 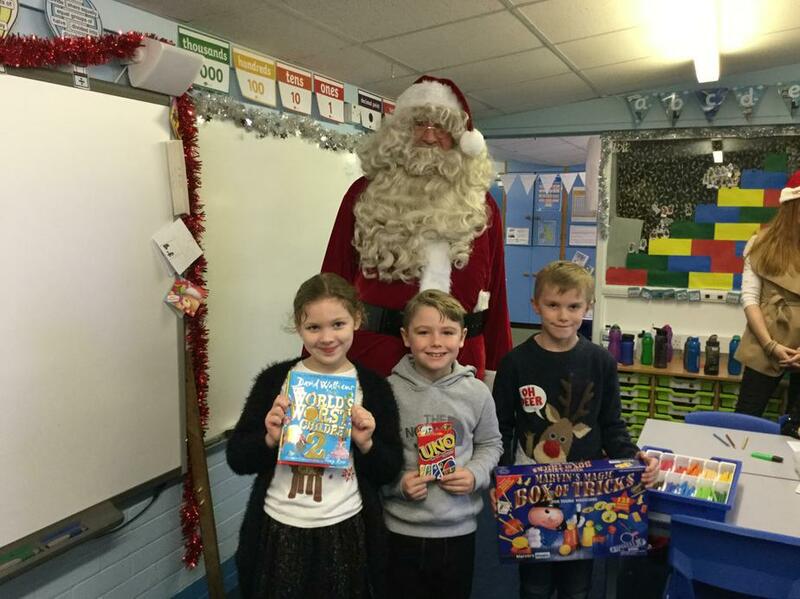 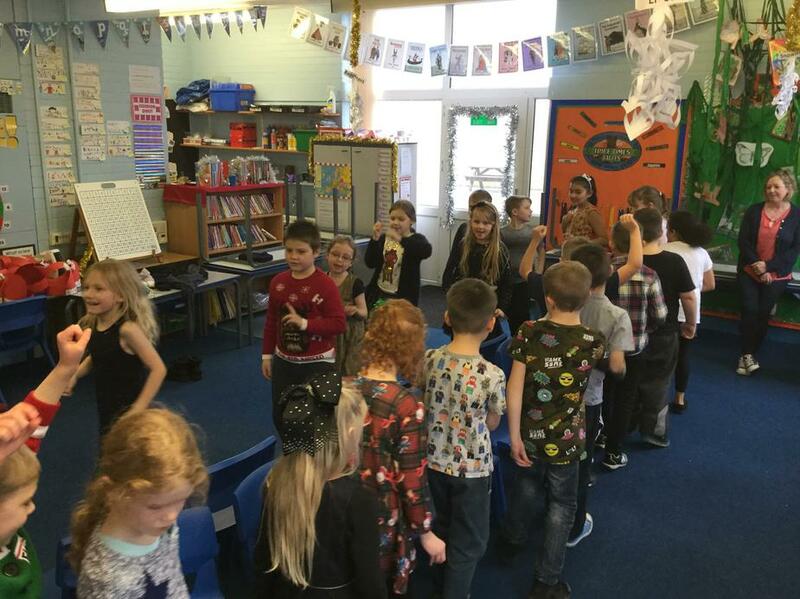 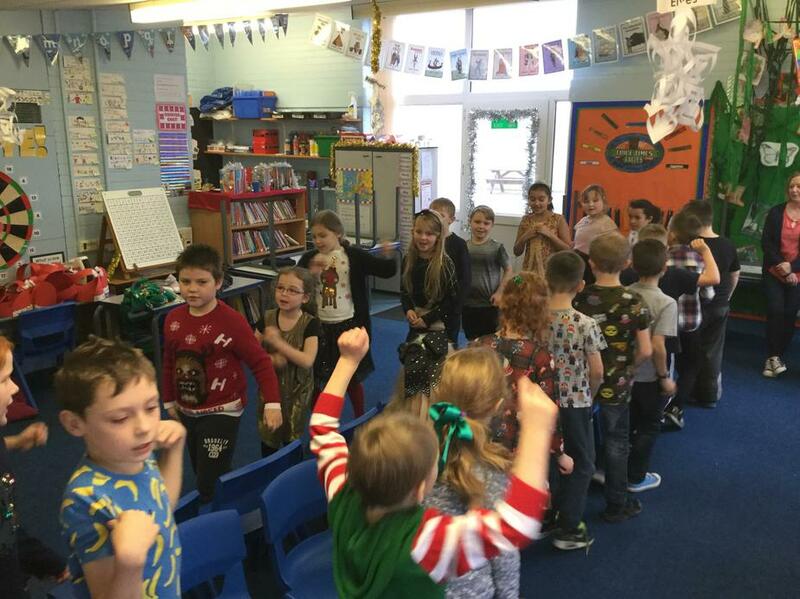 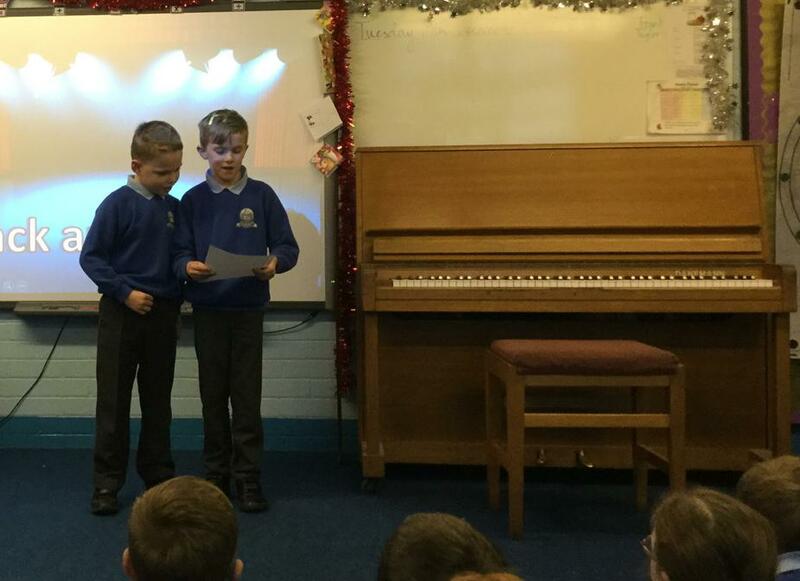 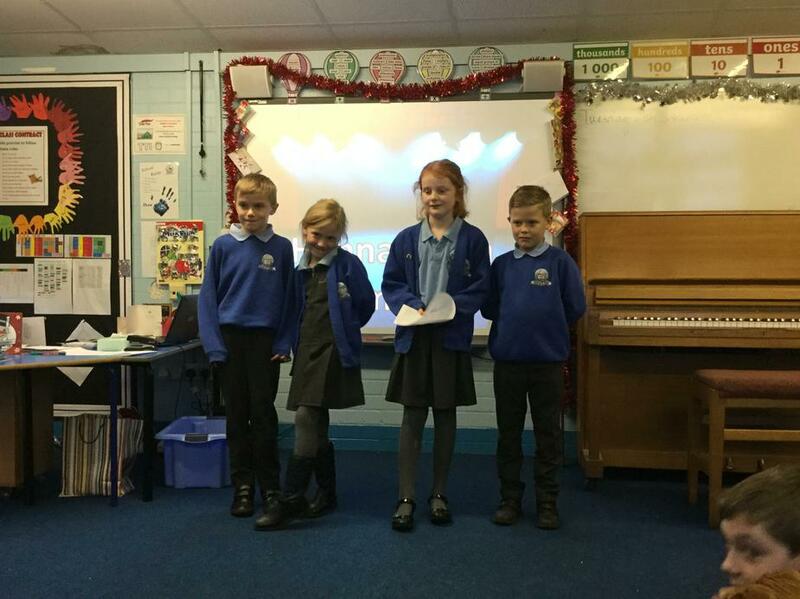 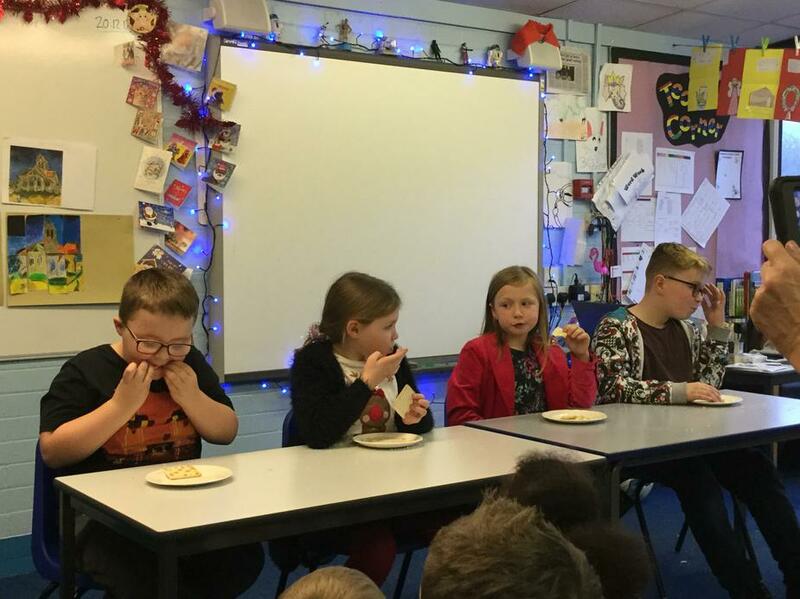 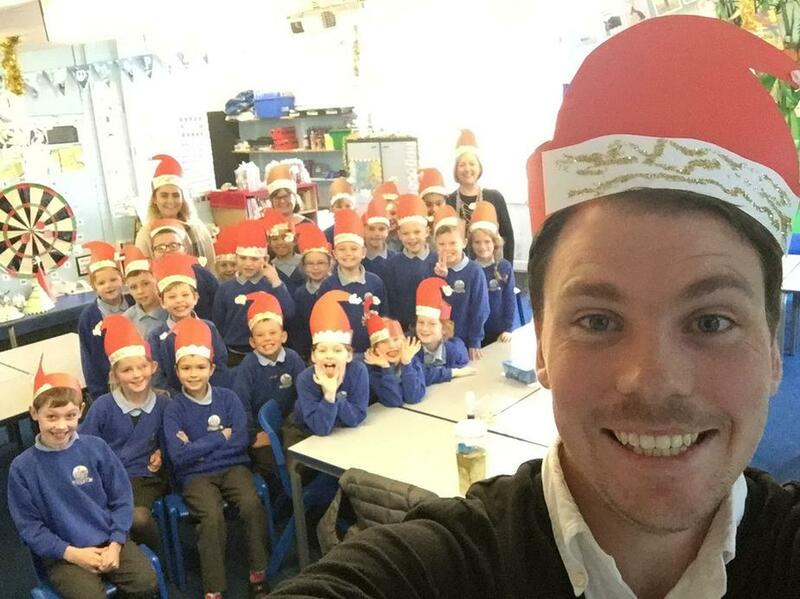 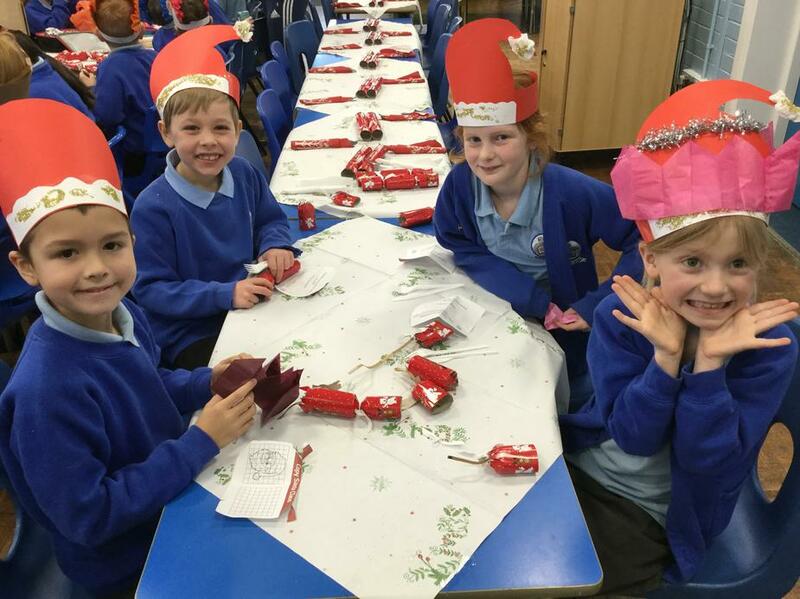 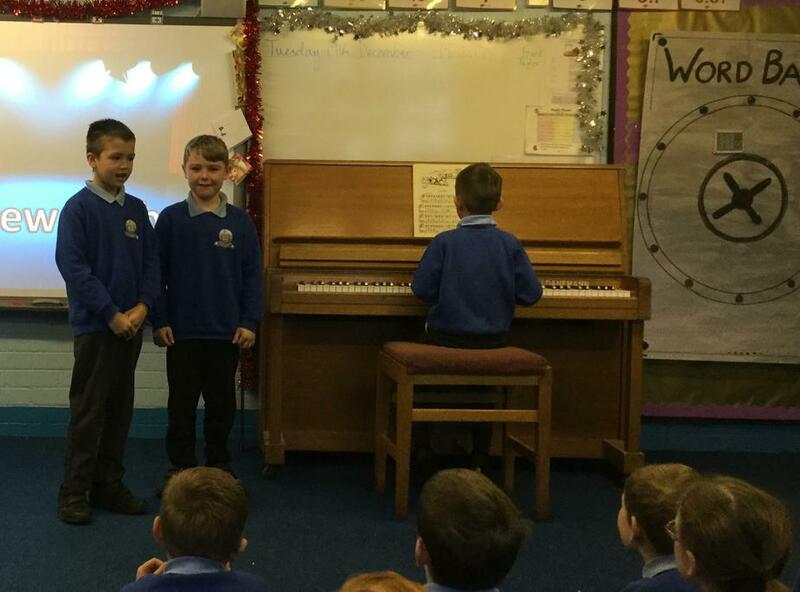 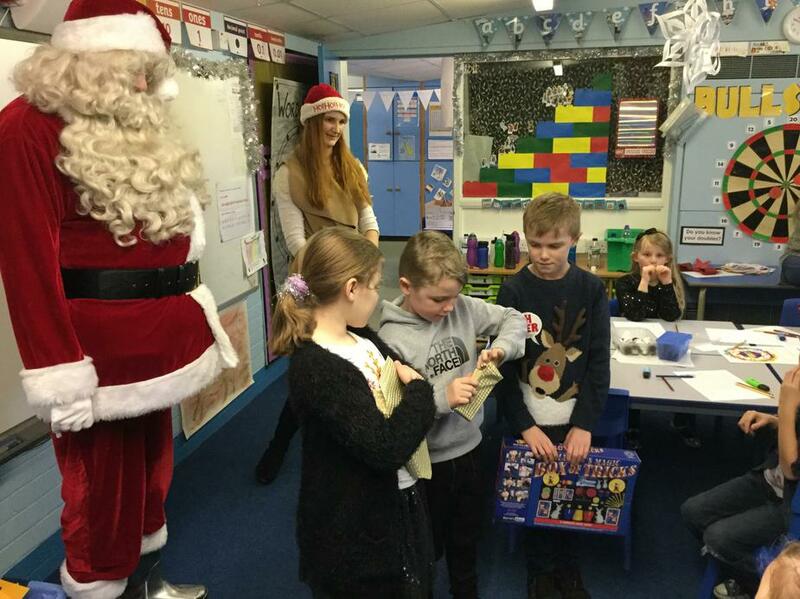 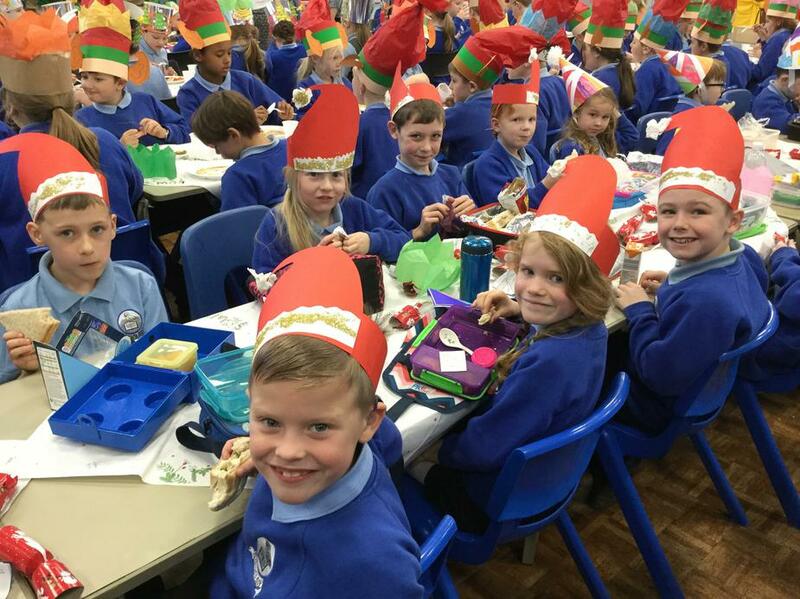 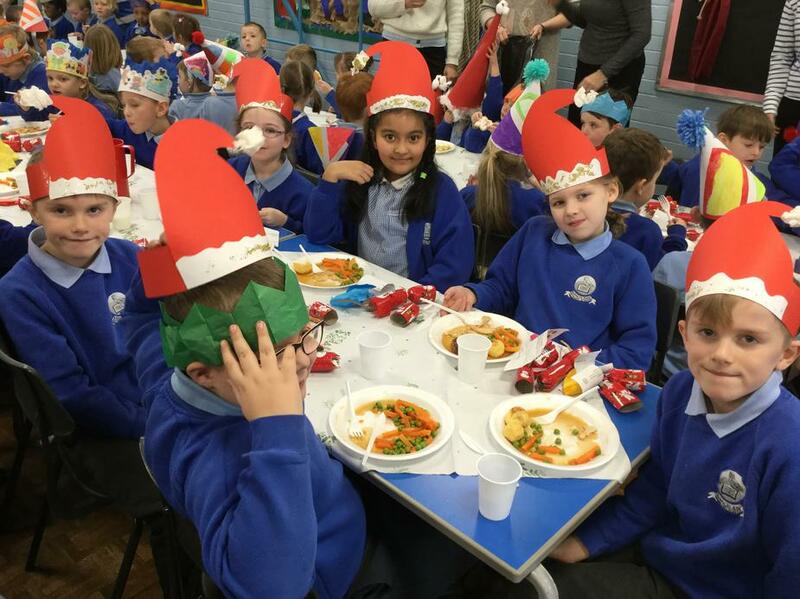 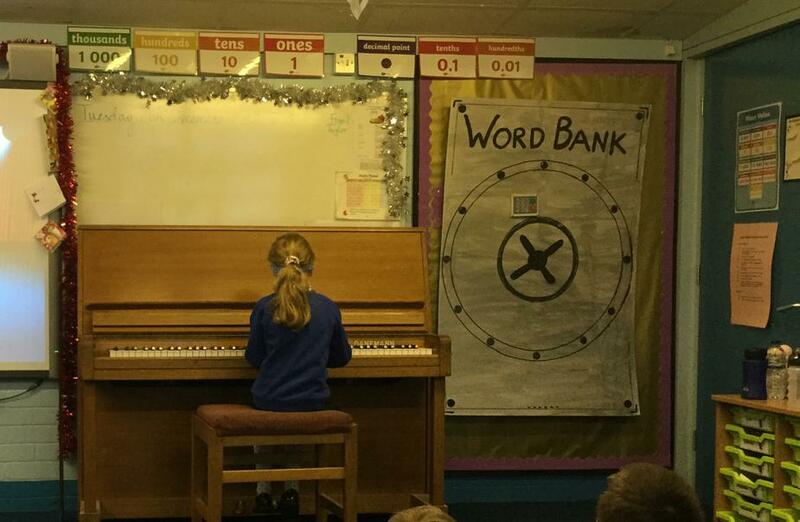 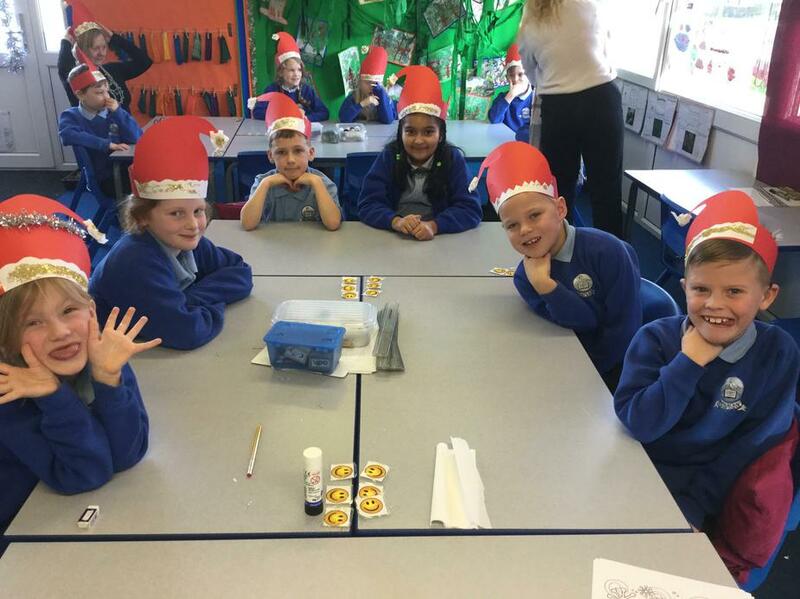 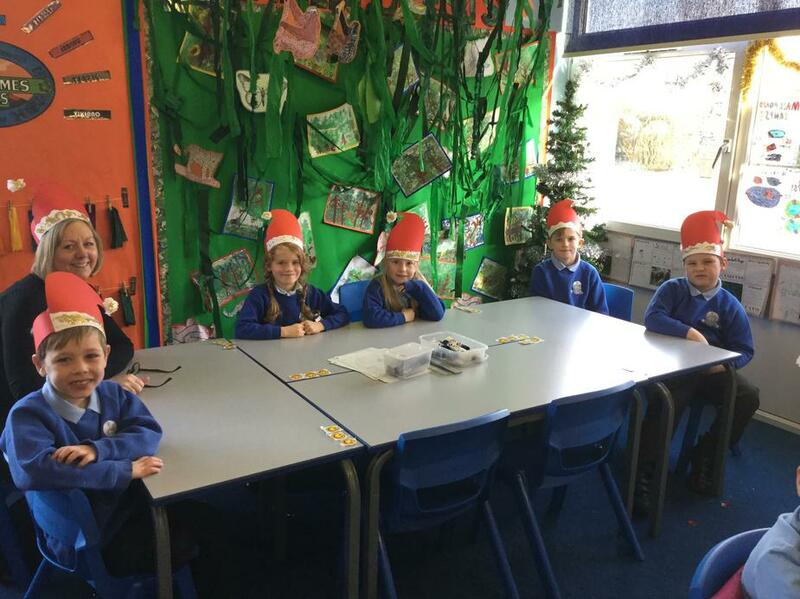 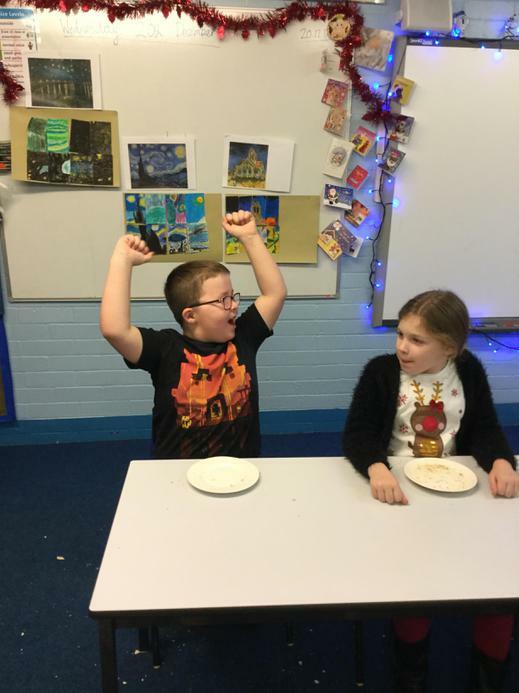 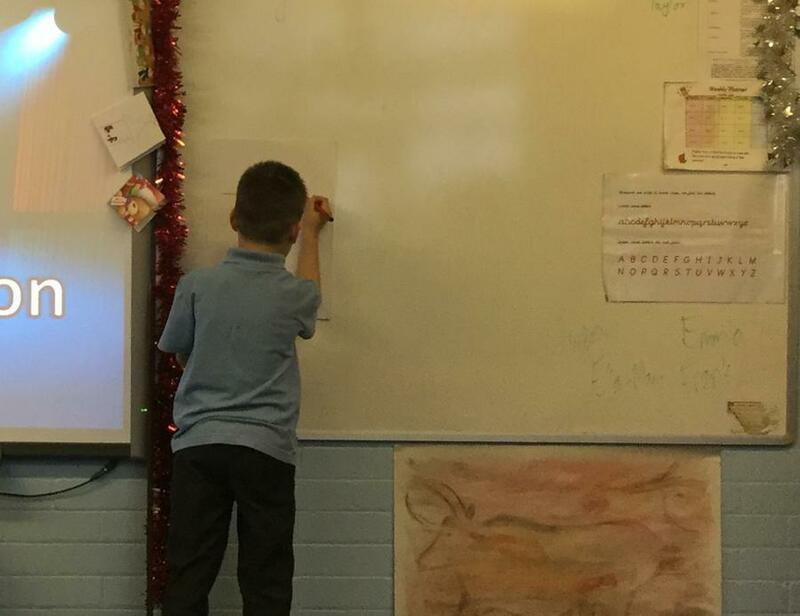 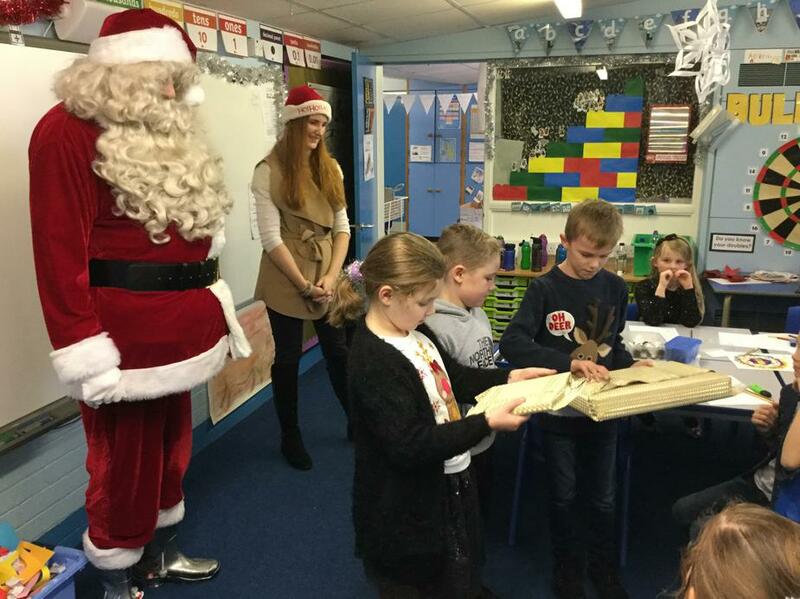 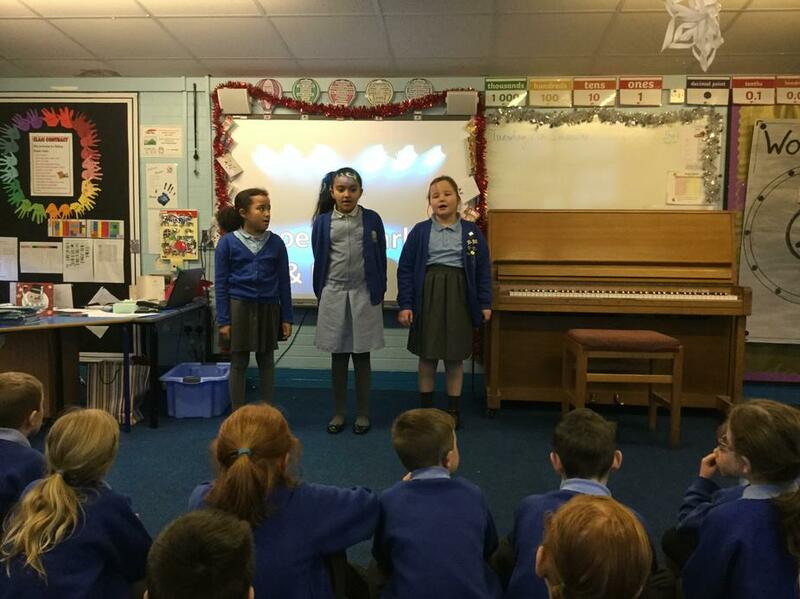 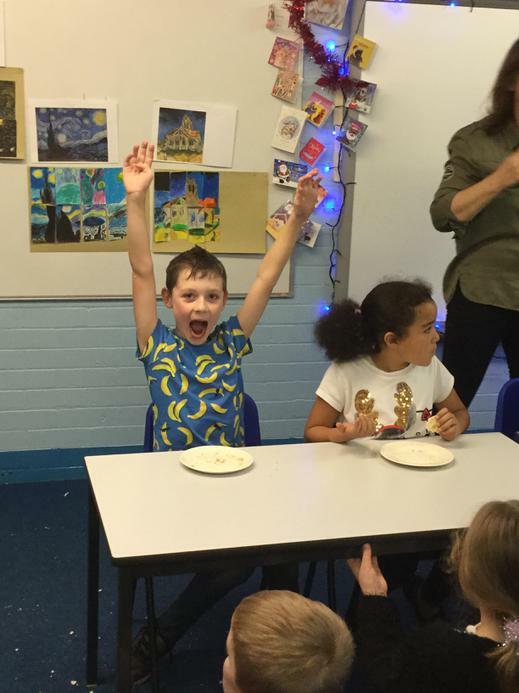 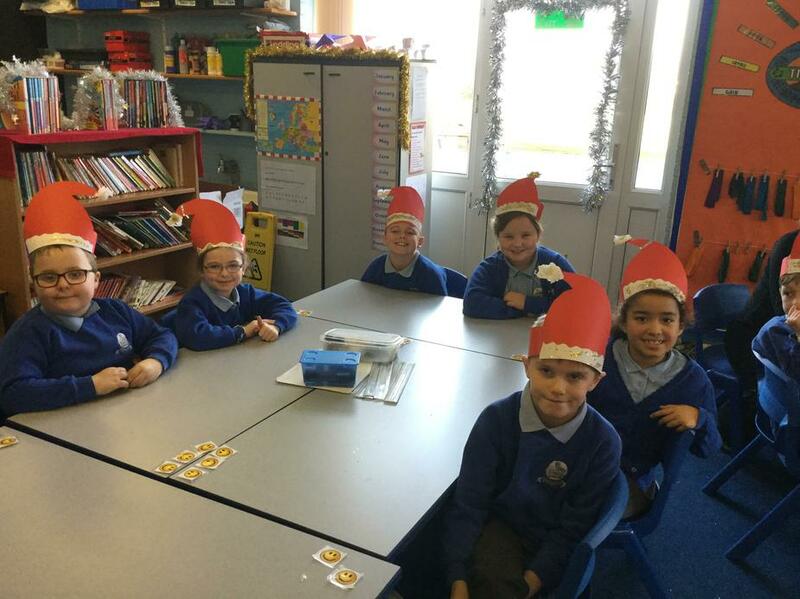 We have had a great final week of term with some fantastic Christmas activities. 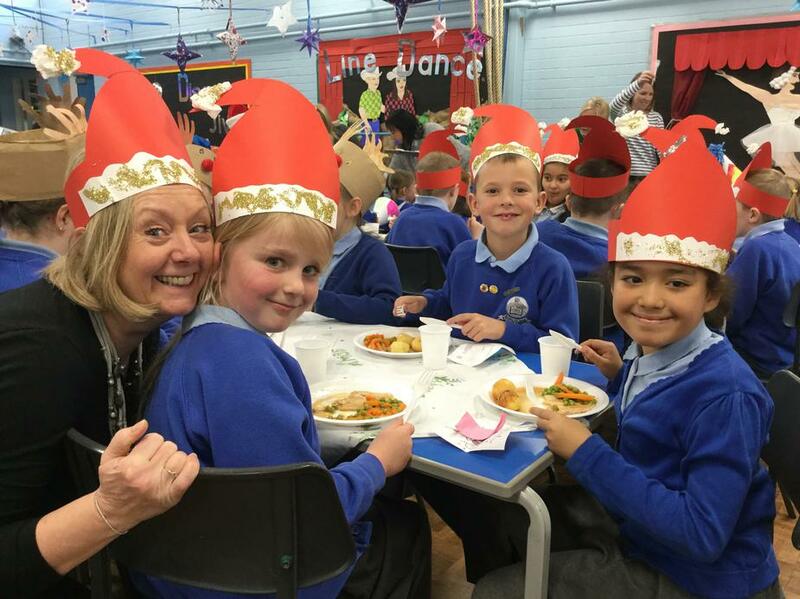 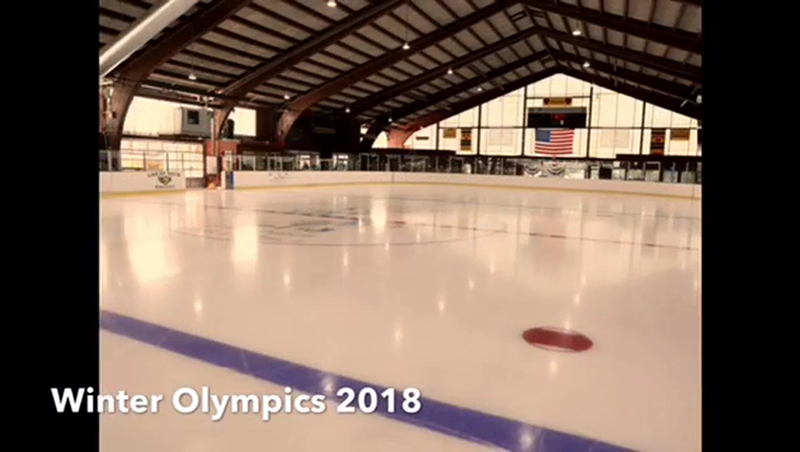 Here are a few photos of the festivities! 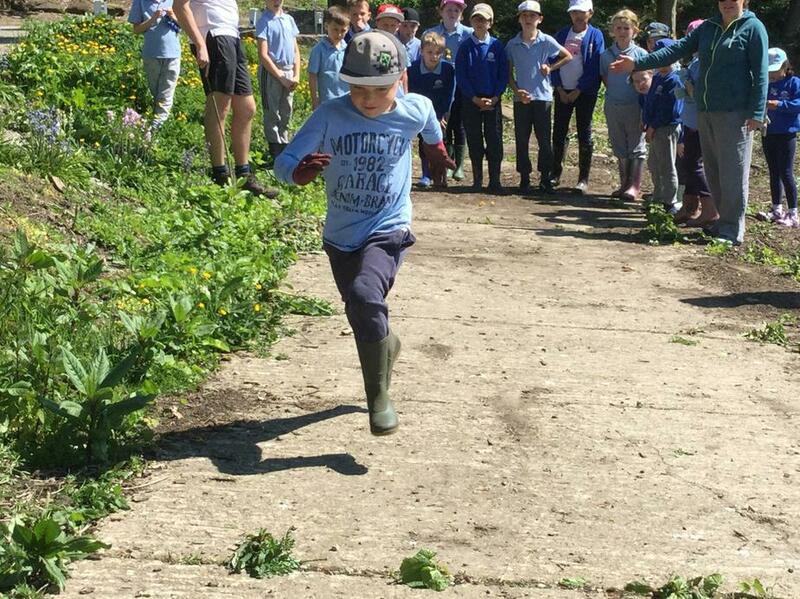 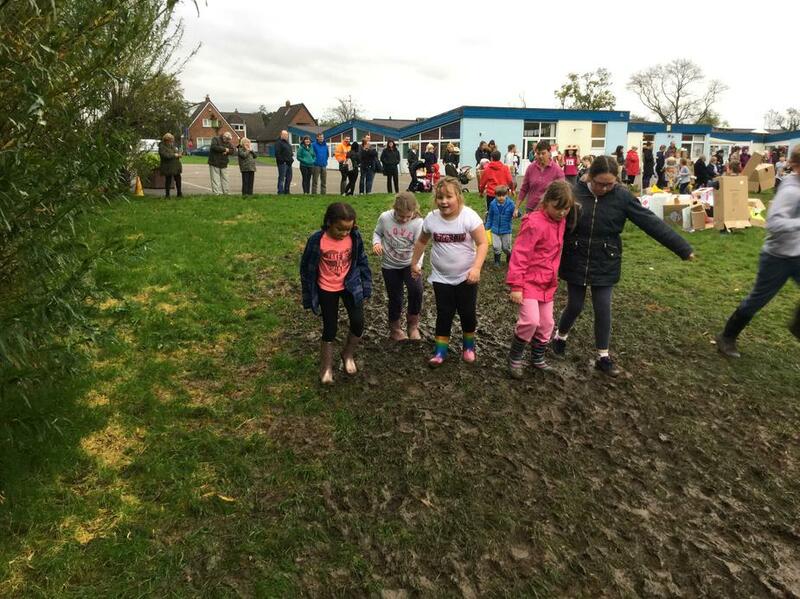 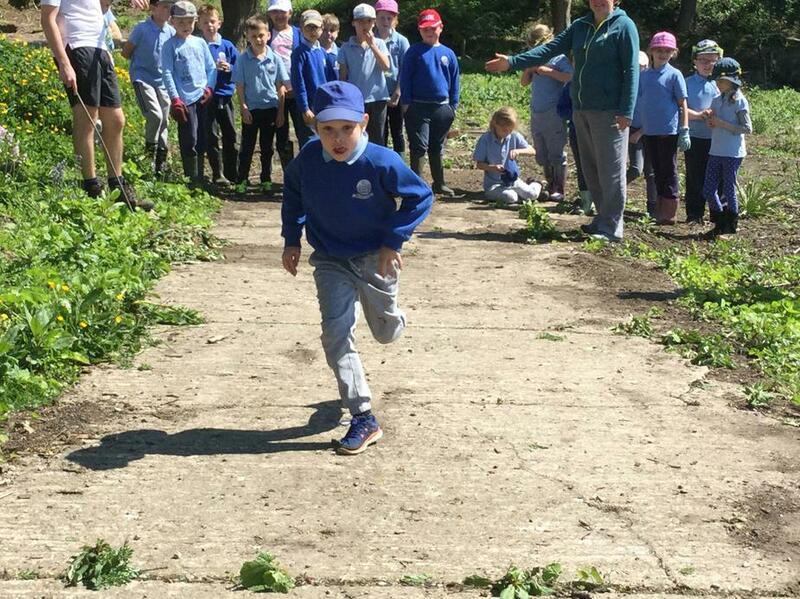 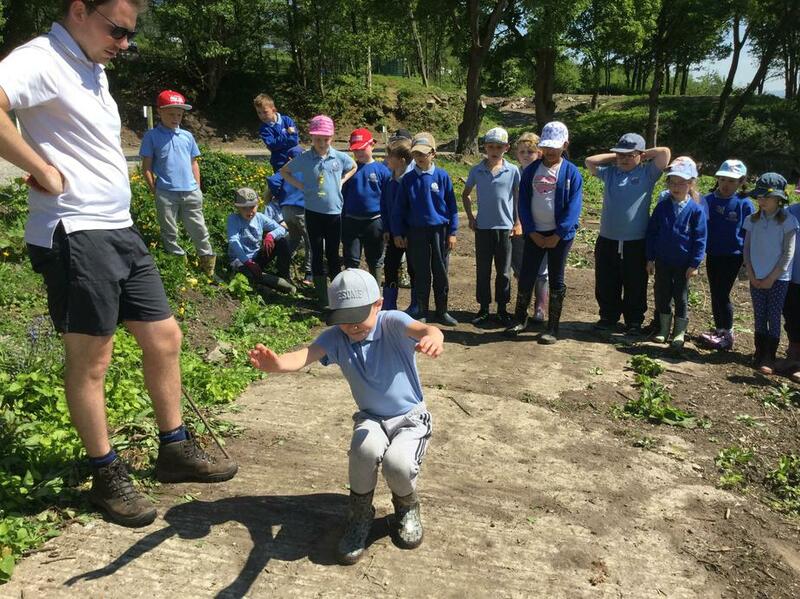 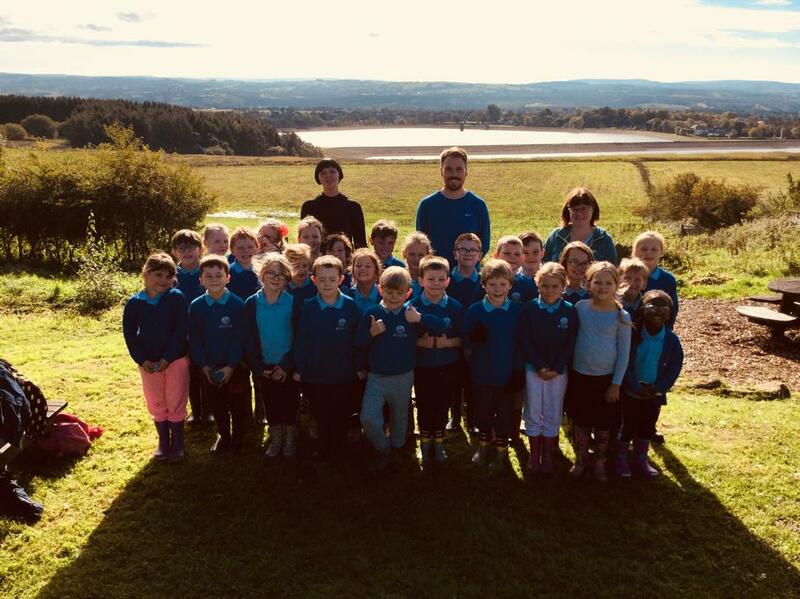 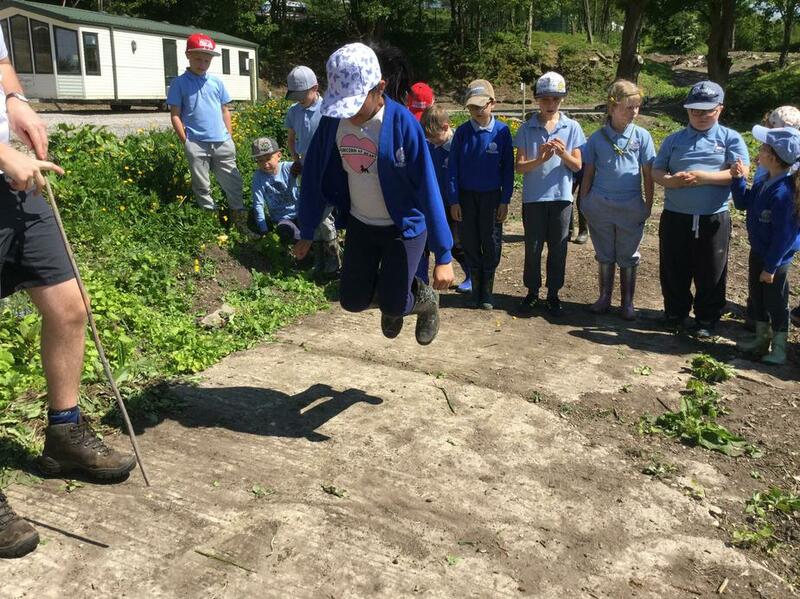 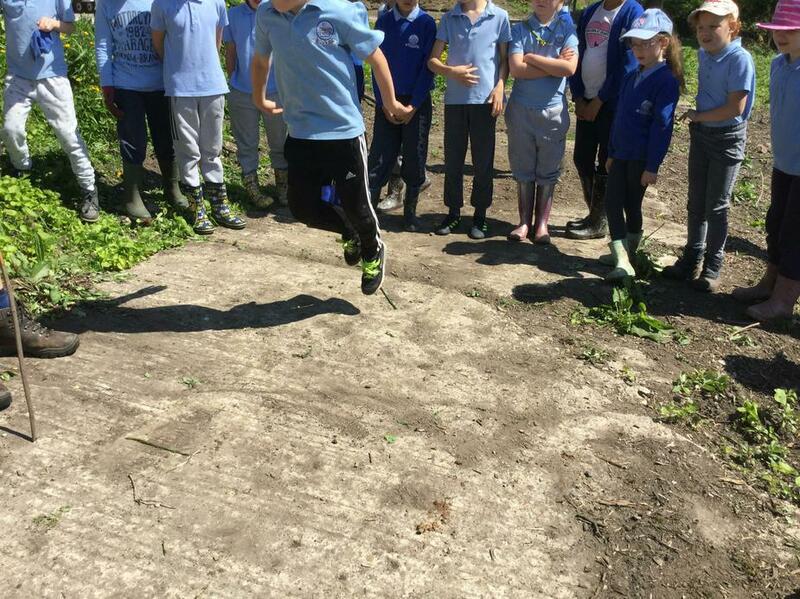 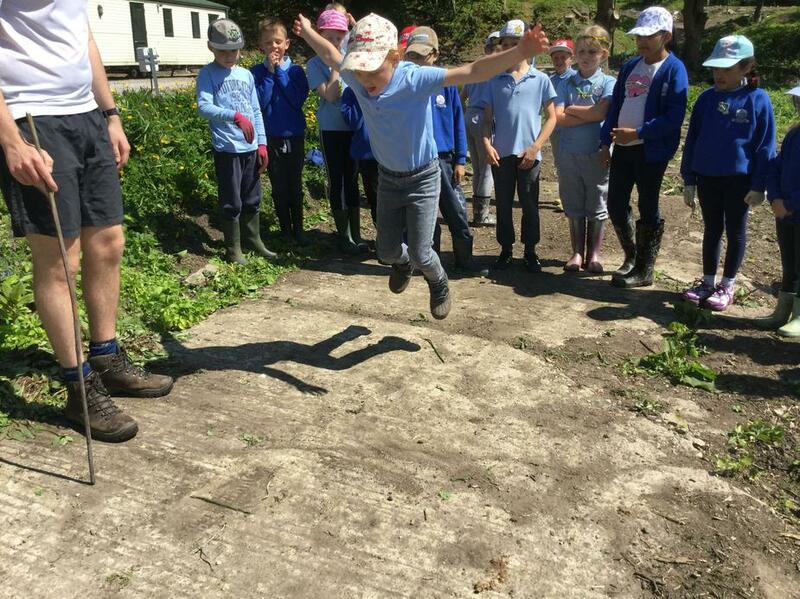 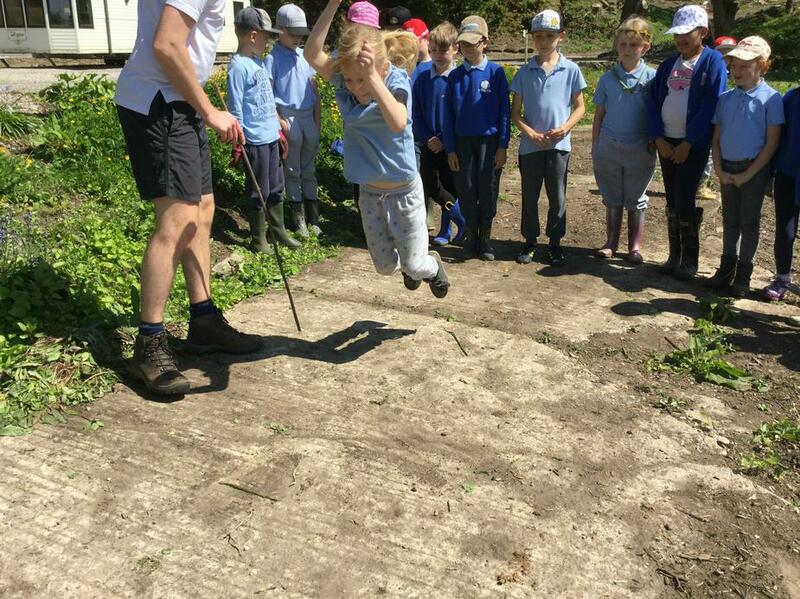 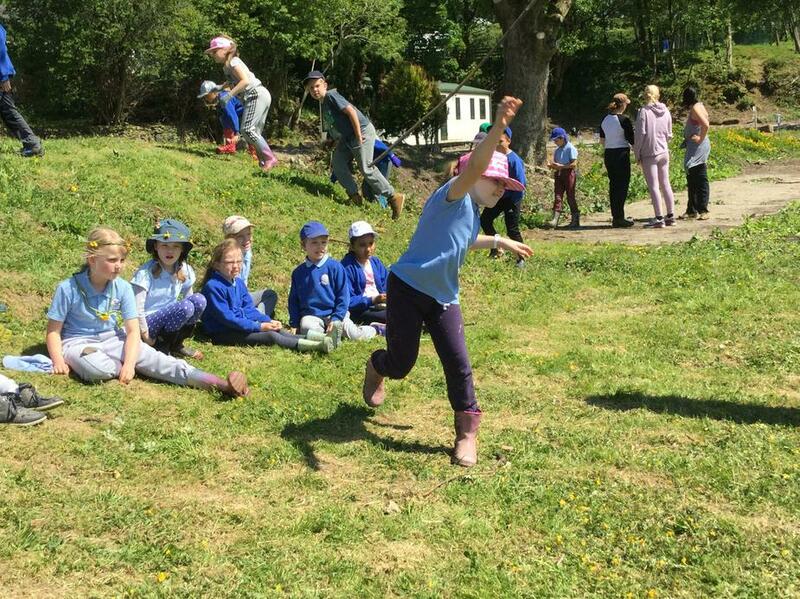 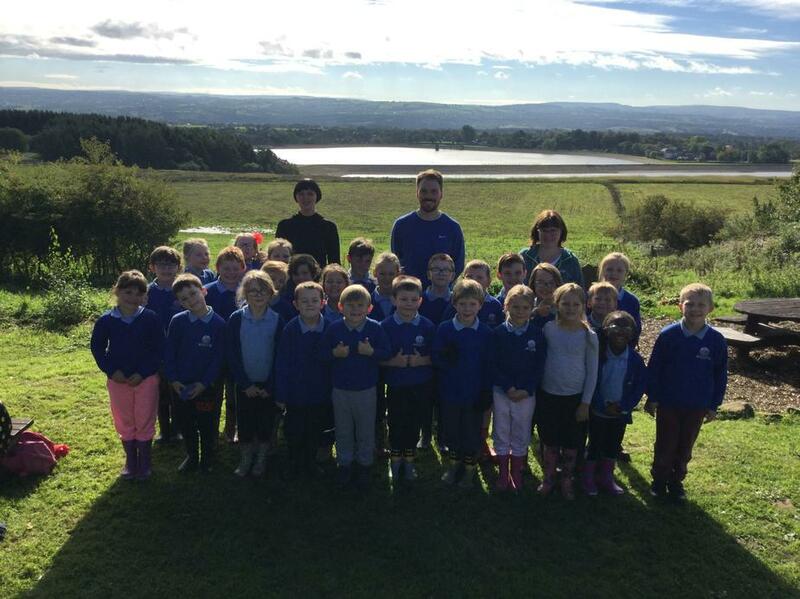 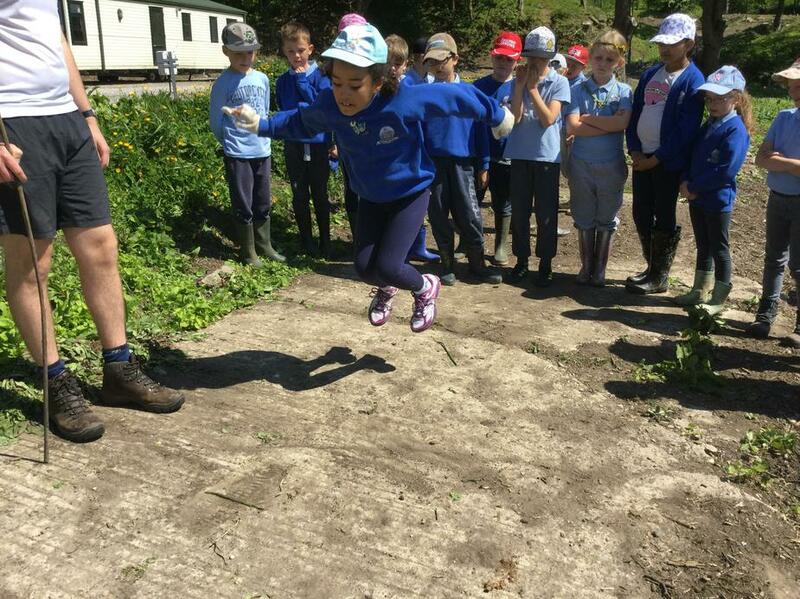 What an amazing day we had in year 3 as part of the Mud Run 2017. 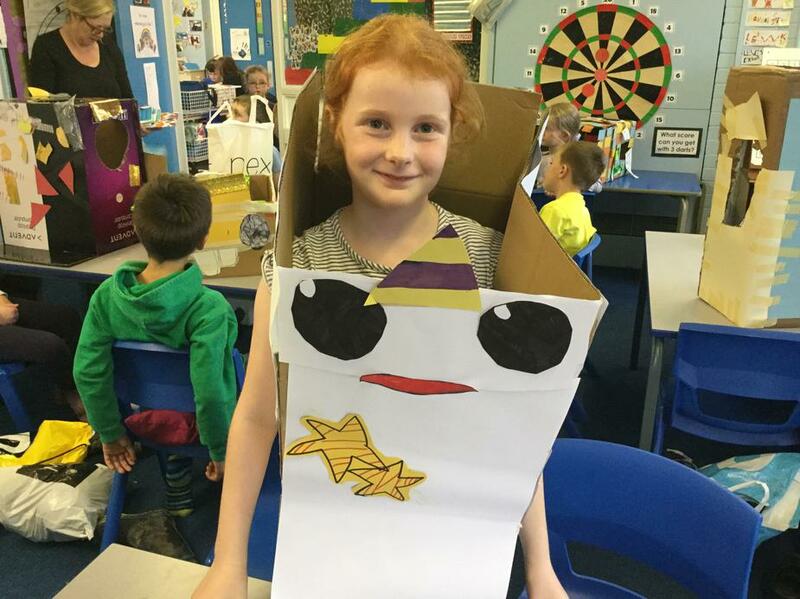 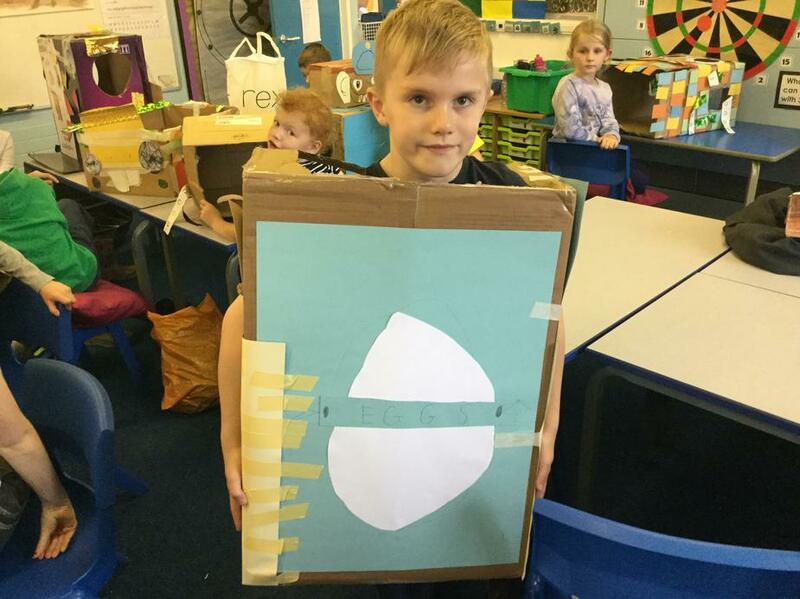 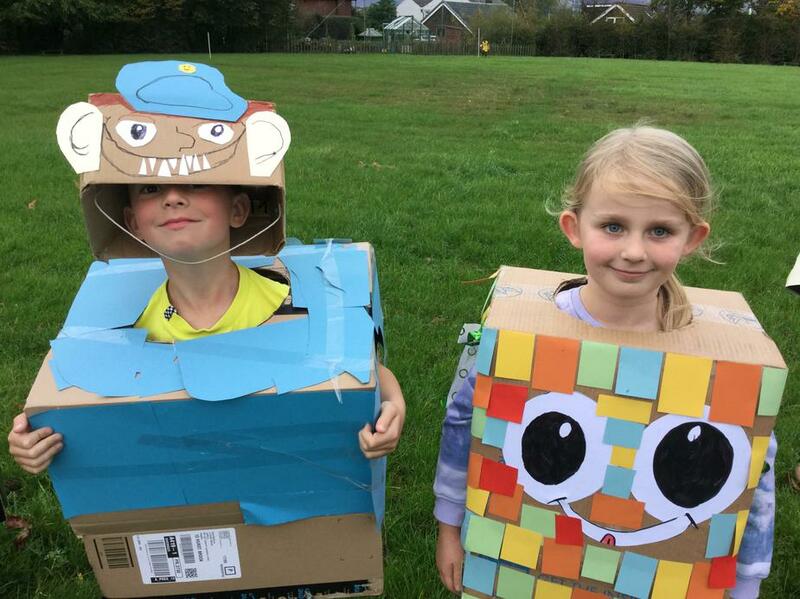 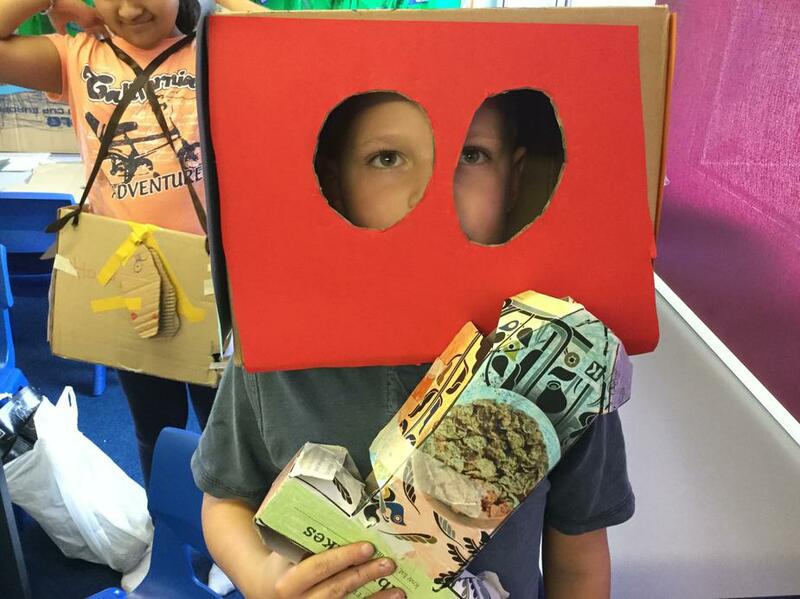 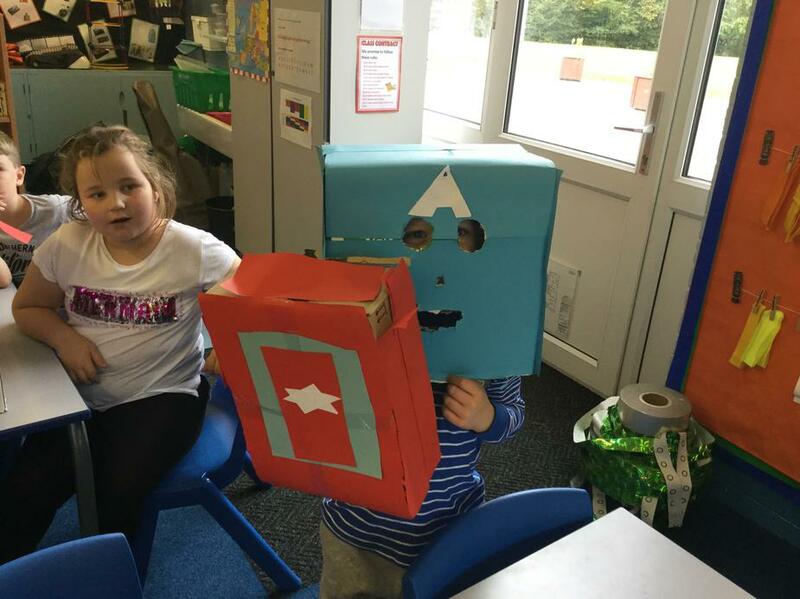 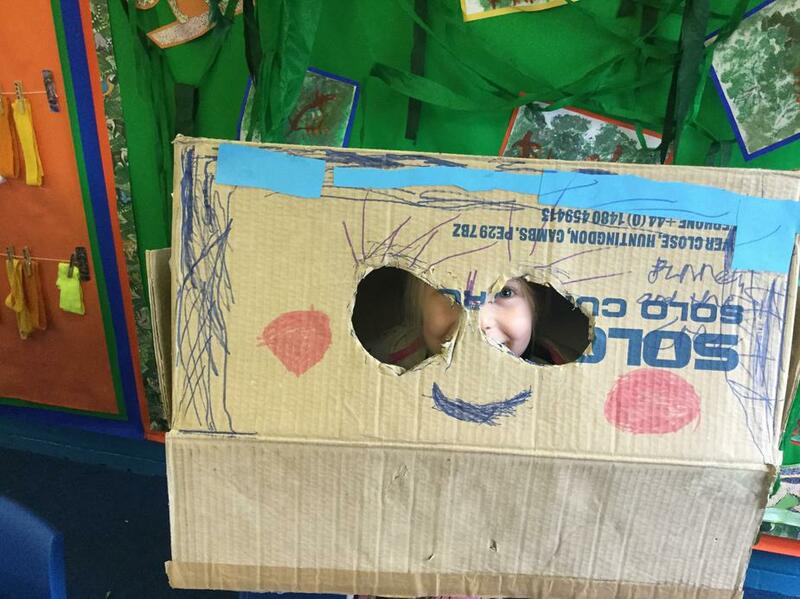 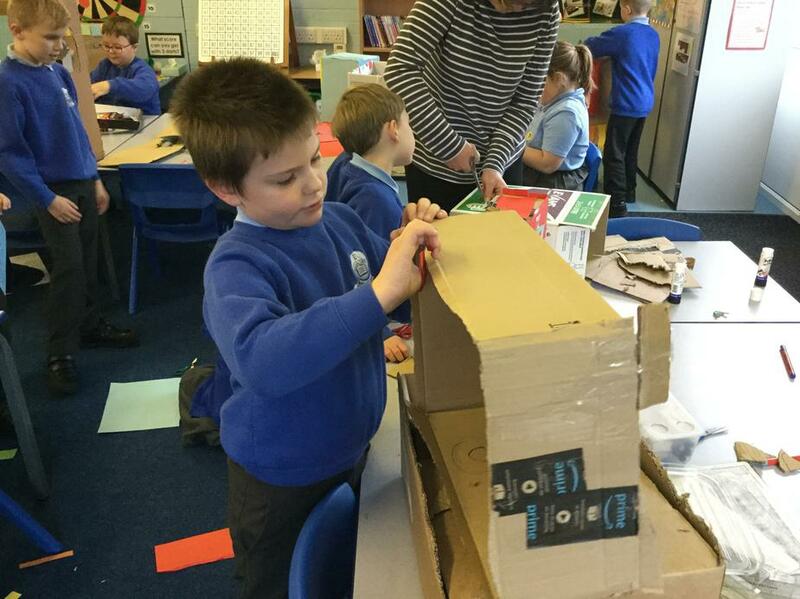 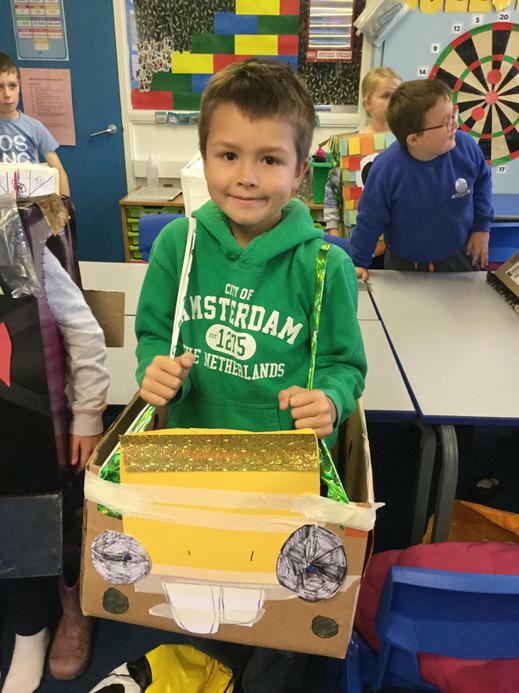 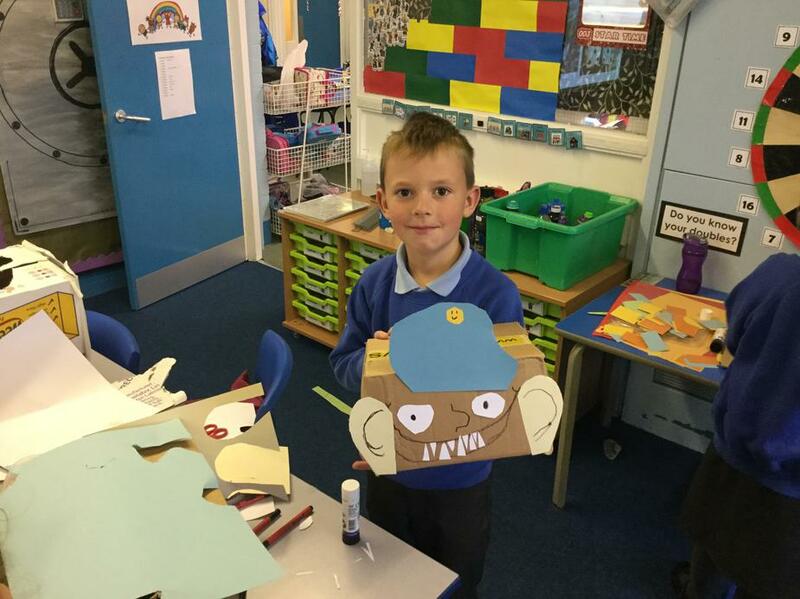 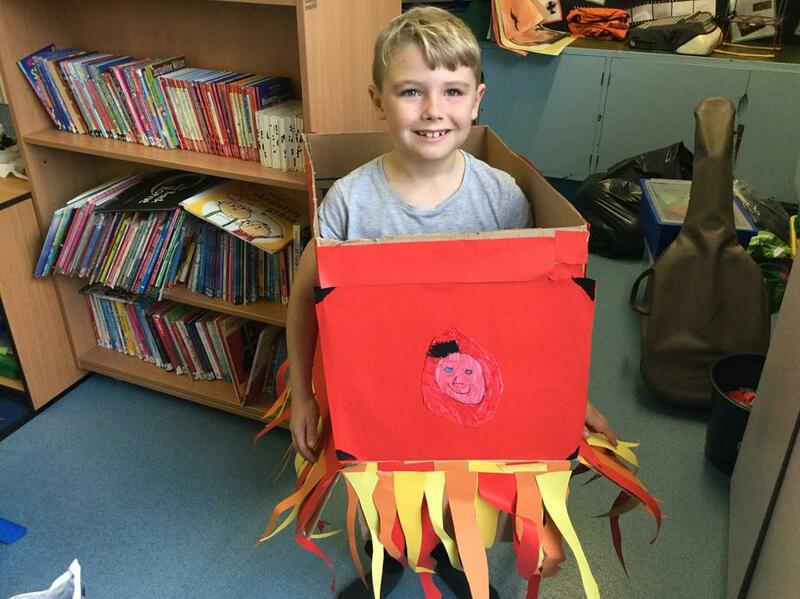 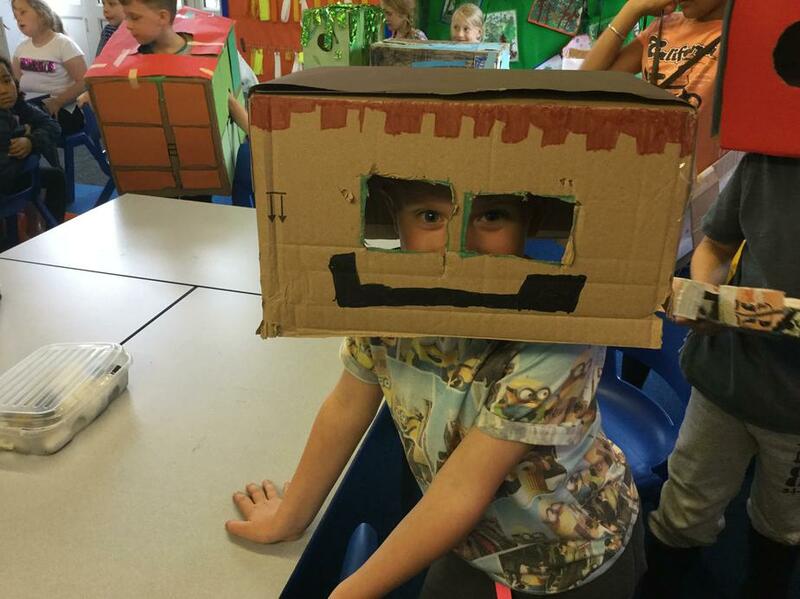 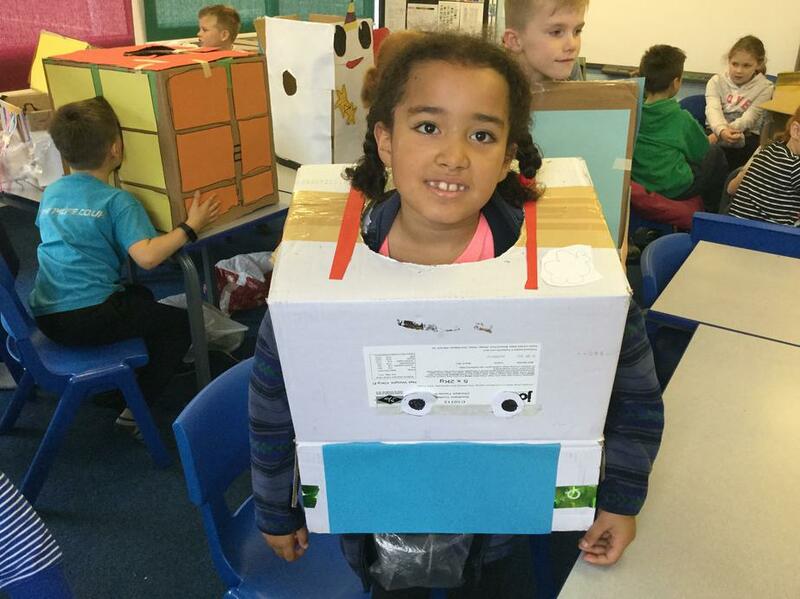 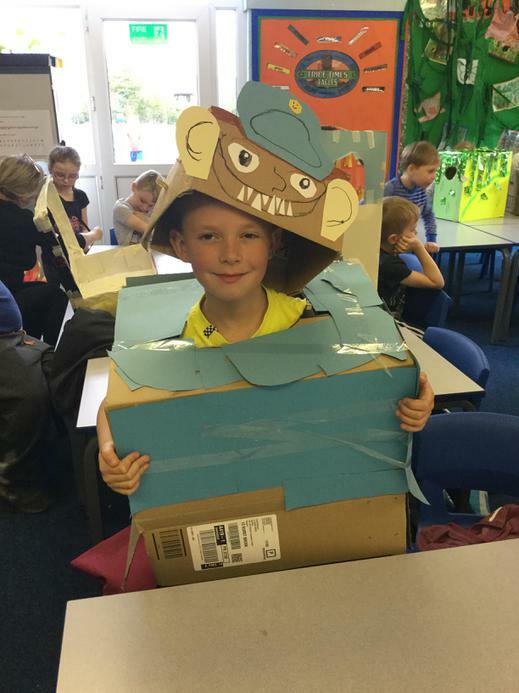 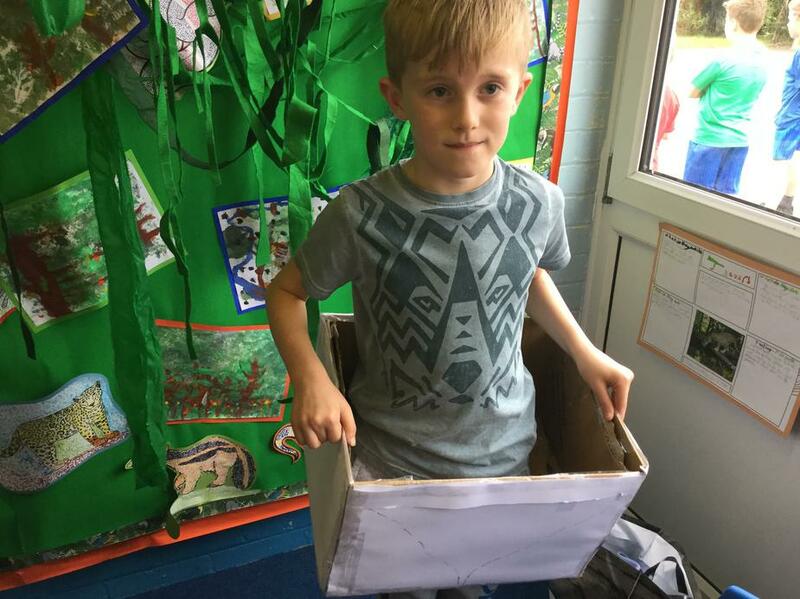 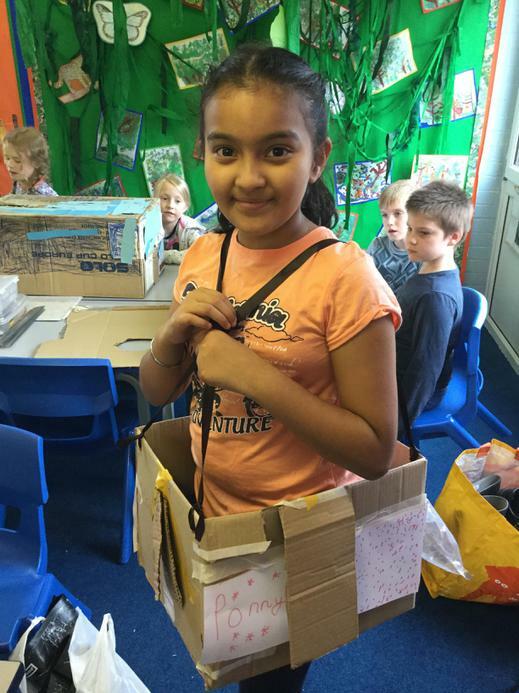 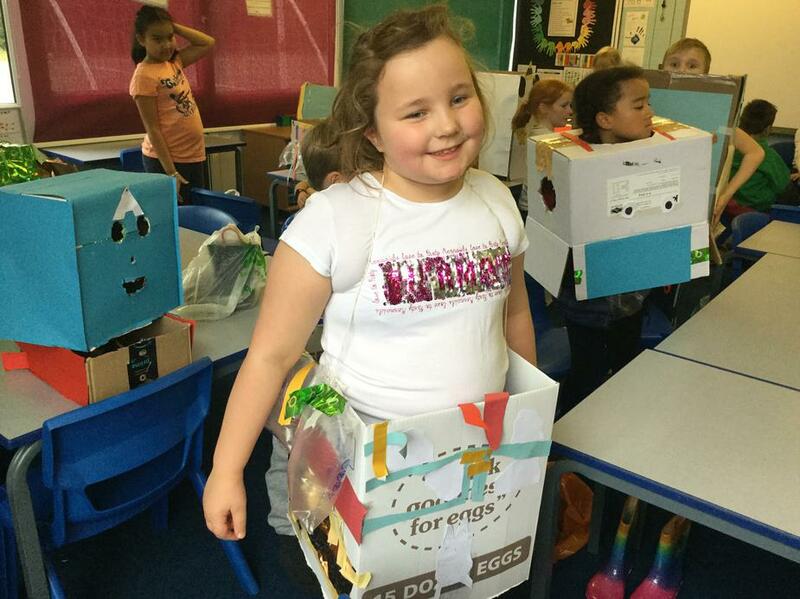 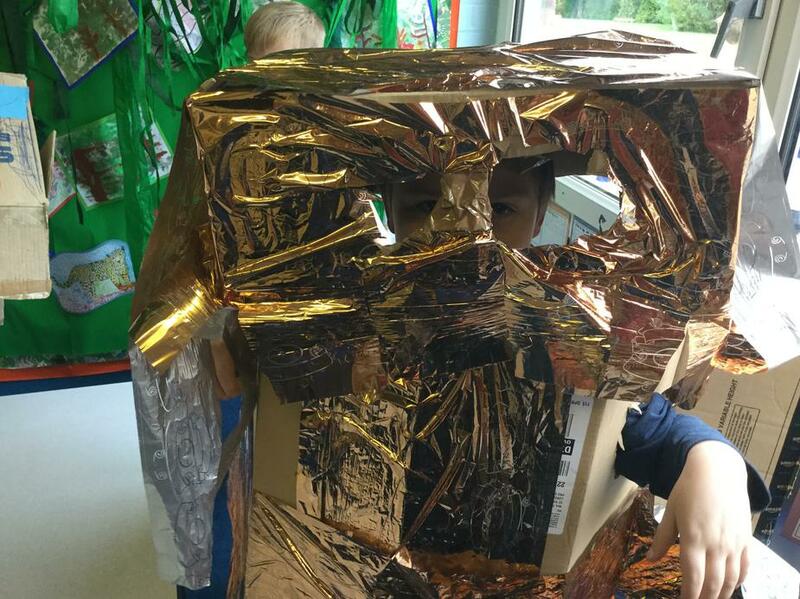 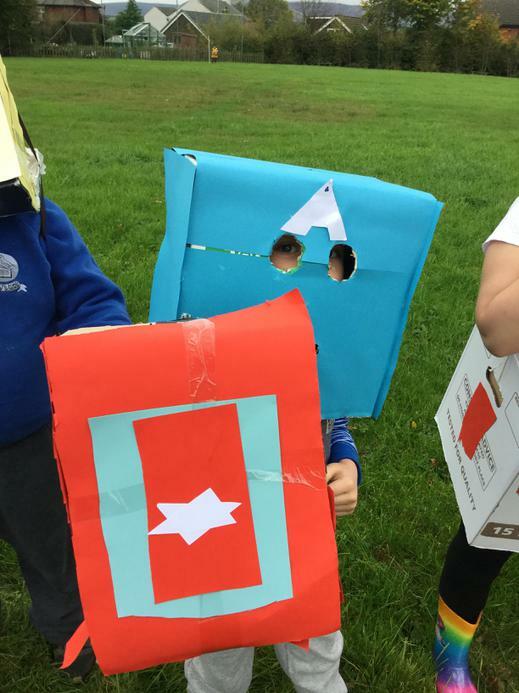 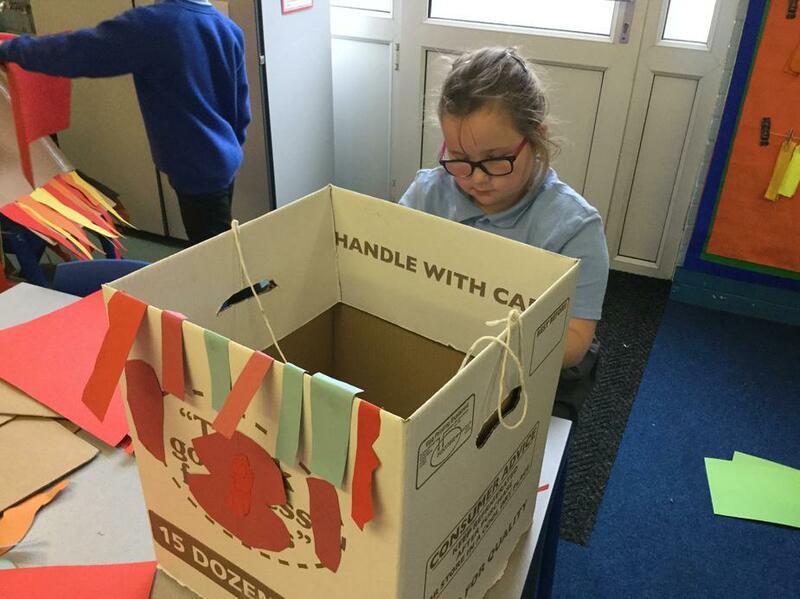 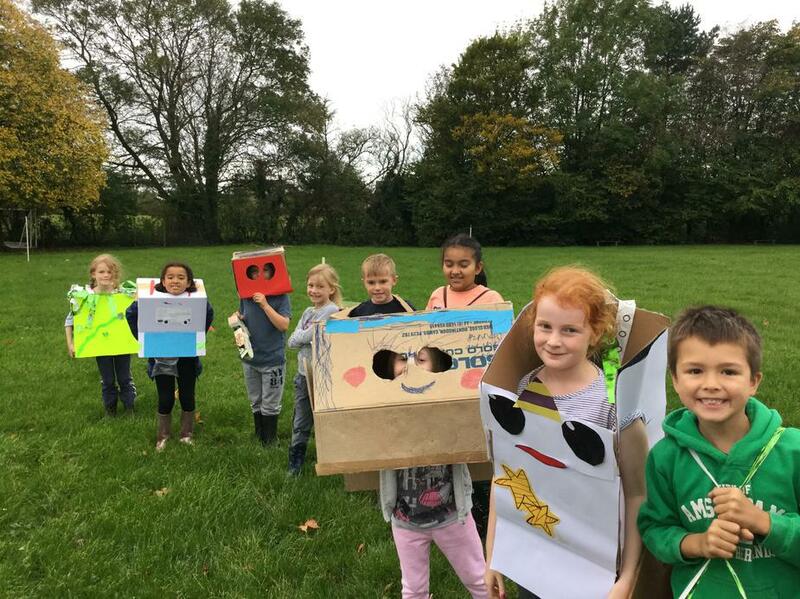 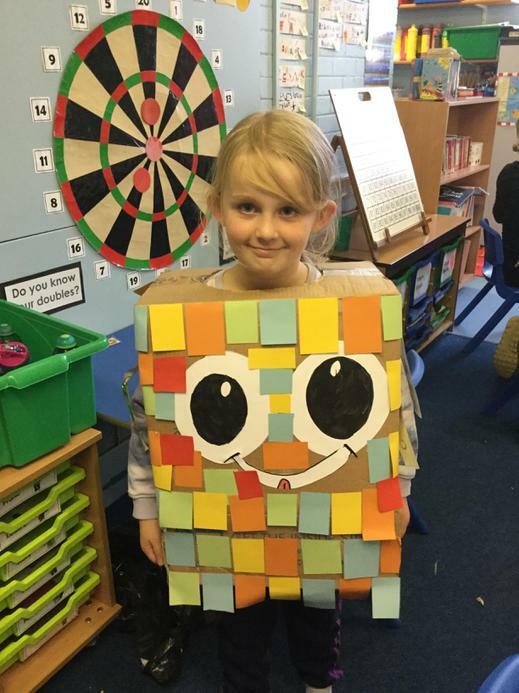 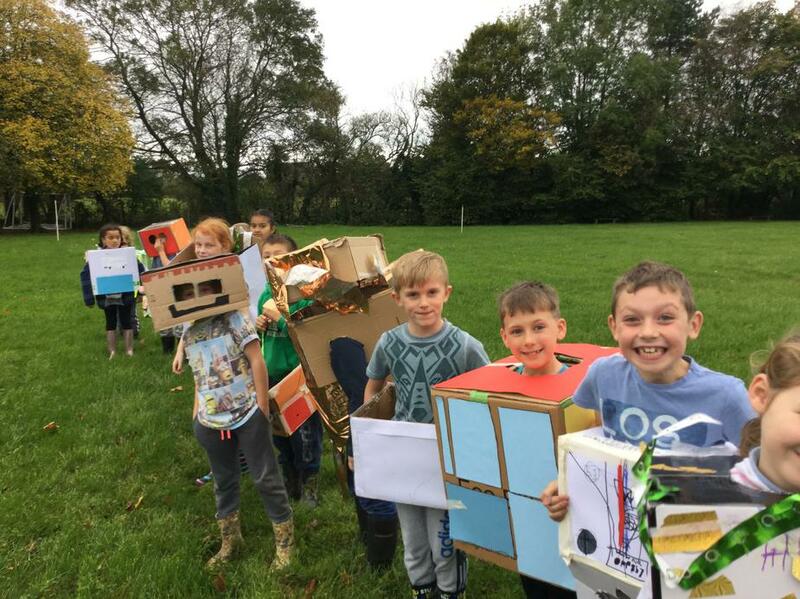 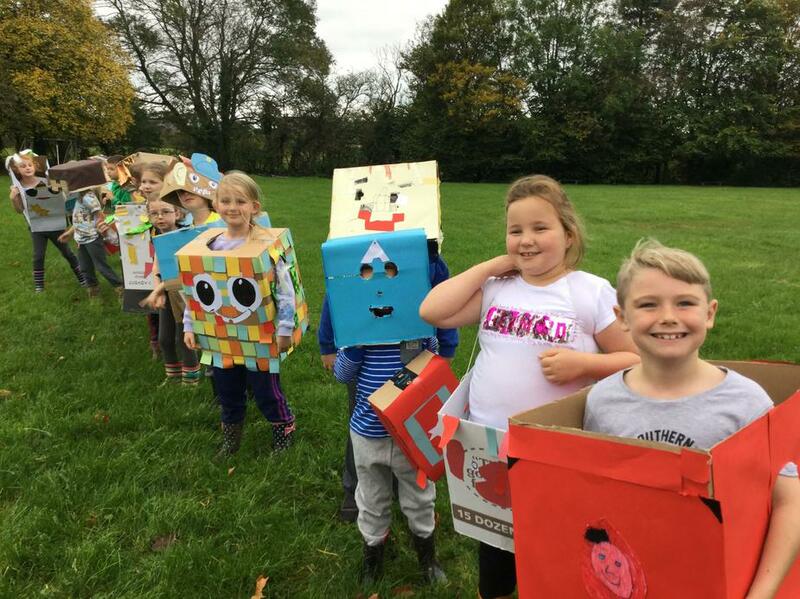 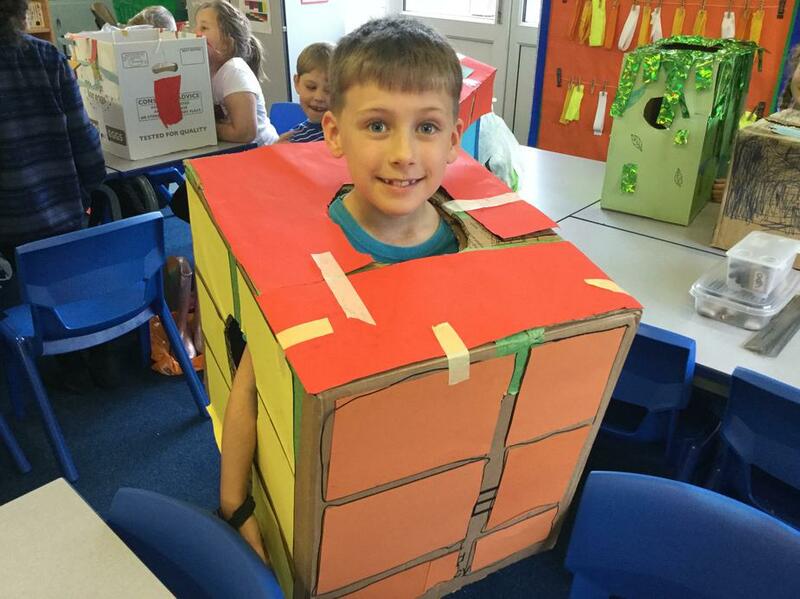 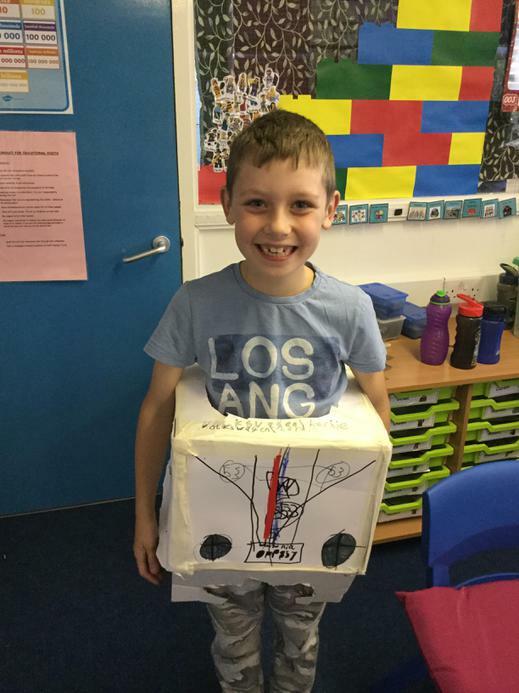 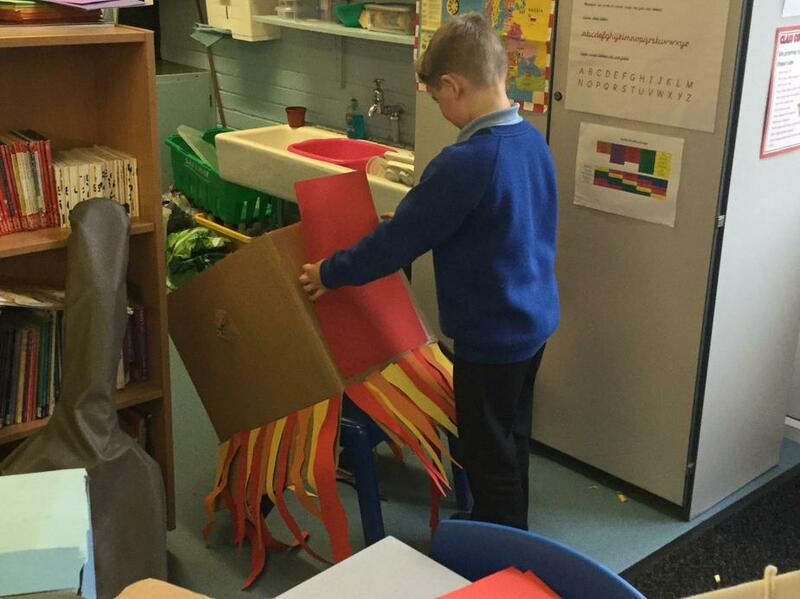 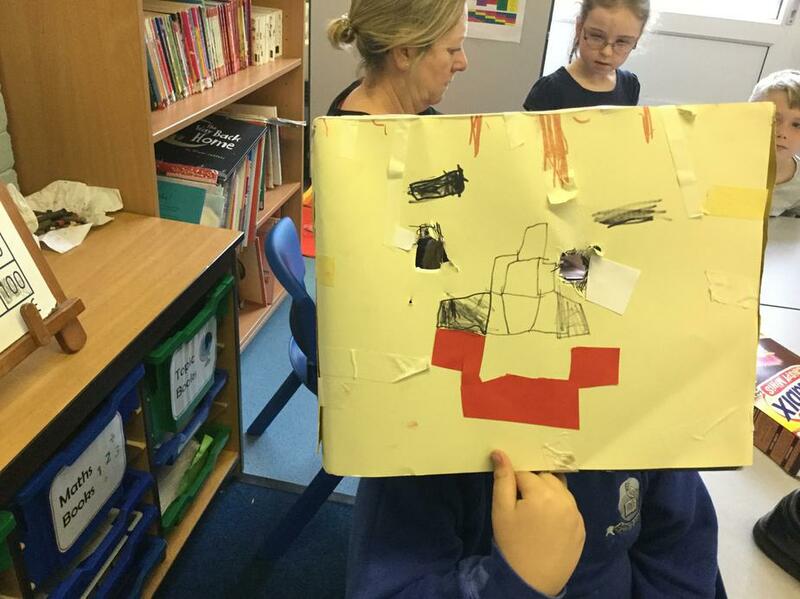 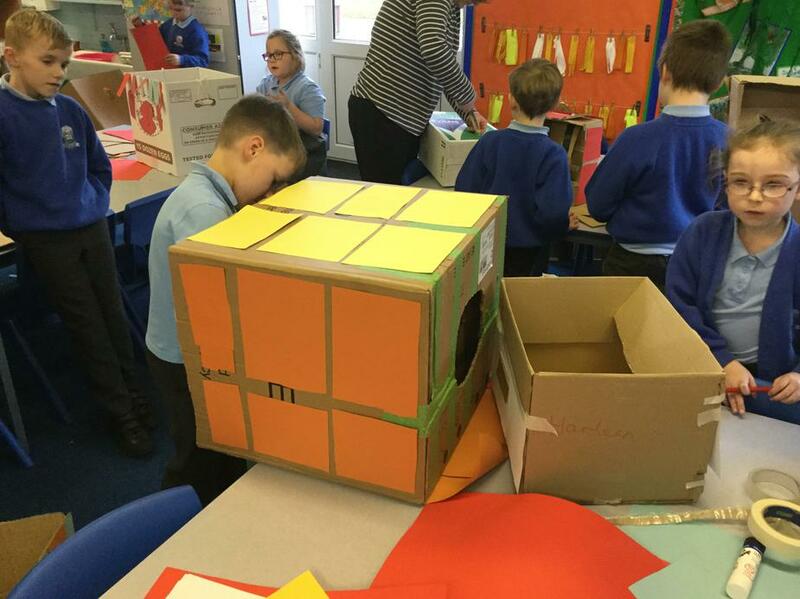 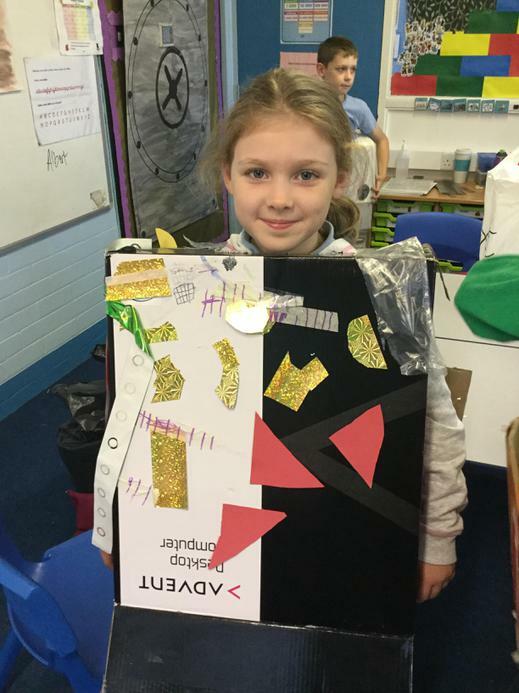 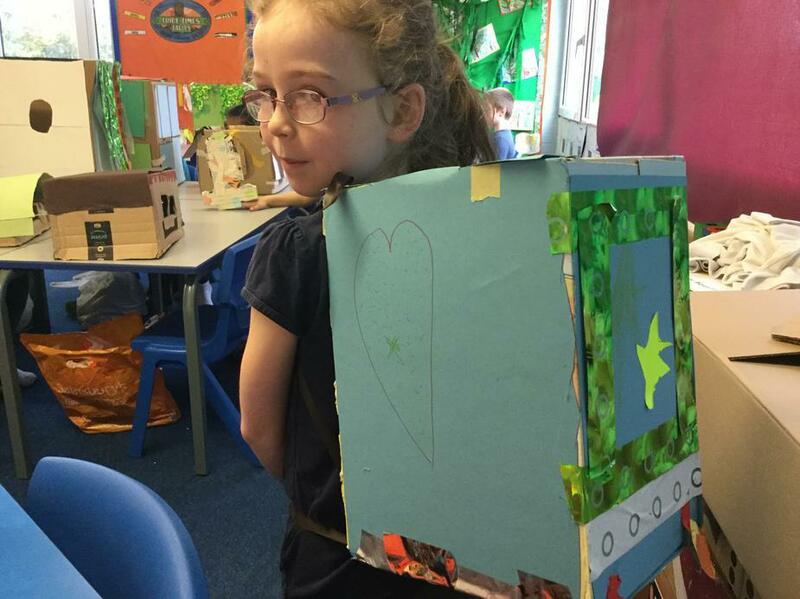 In the morning, we transformed our cardboard boxes into all kinds of weird and wonderful creations! 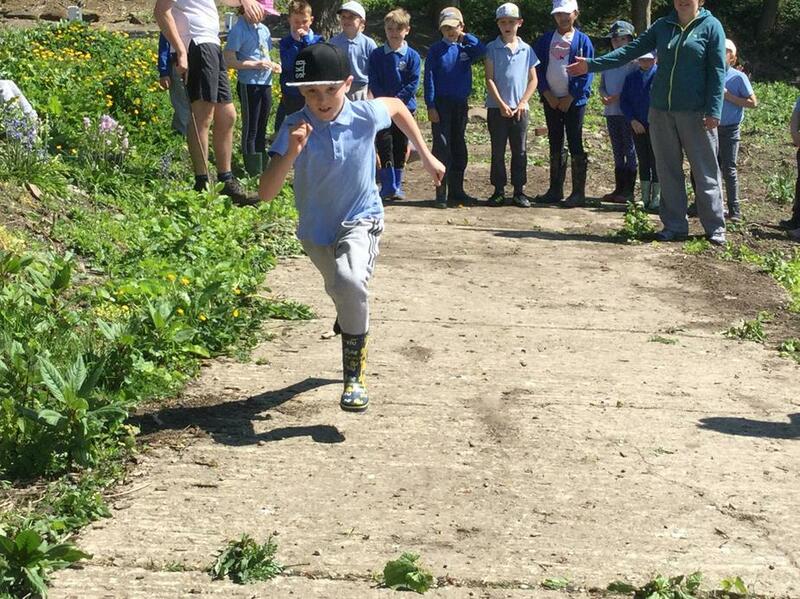 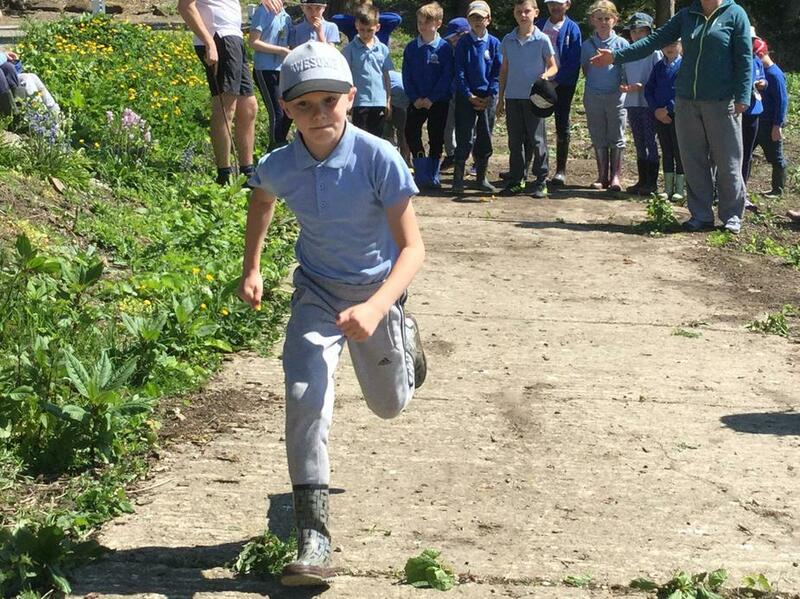 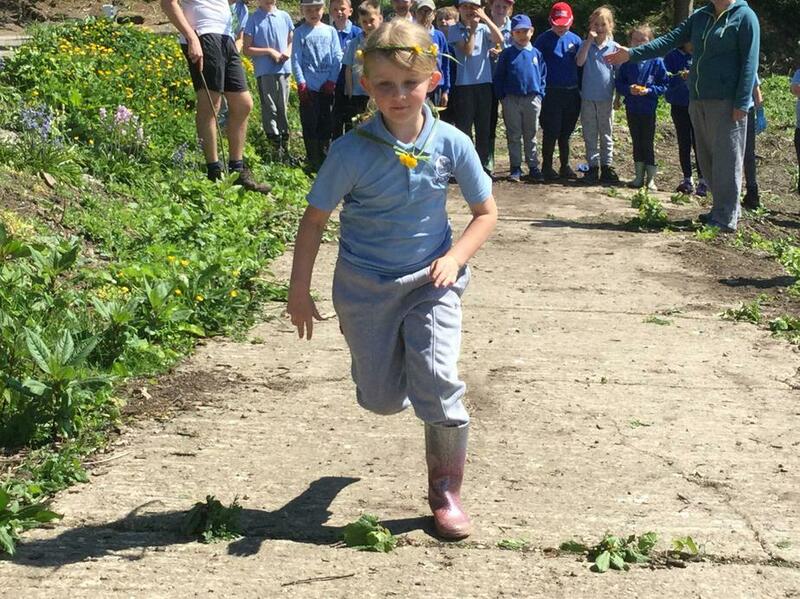 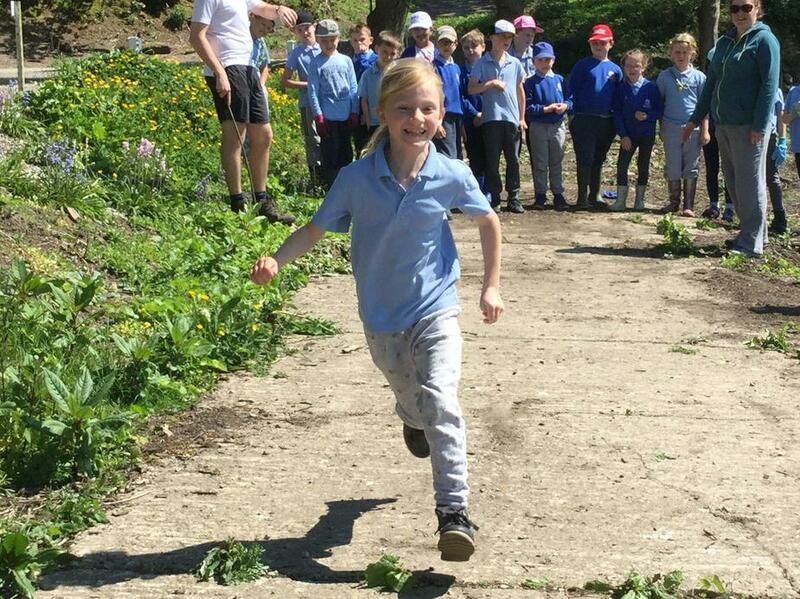 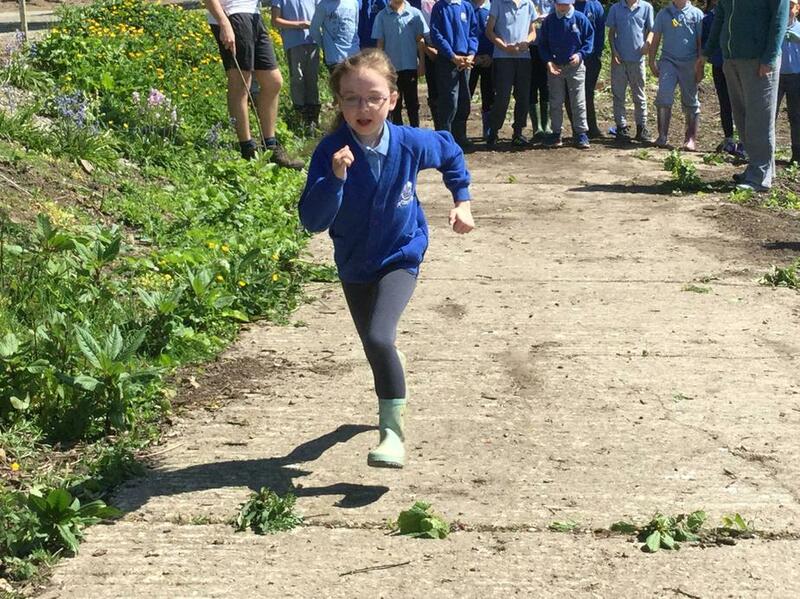 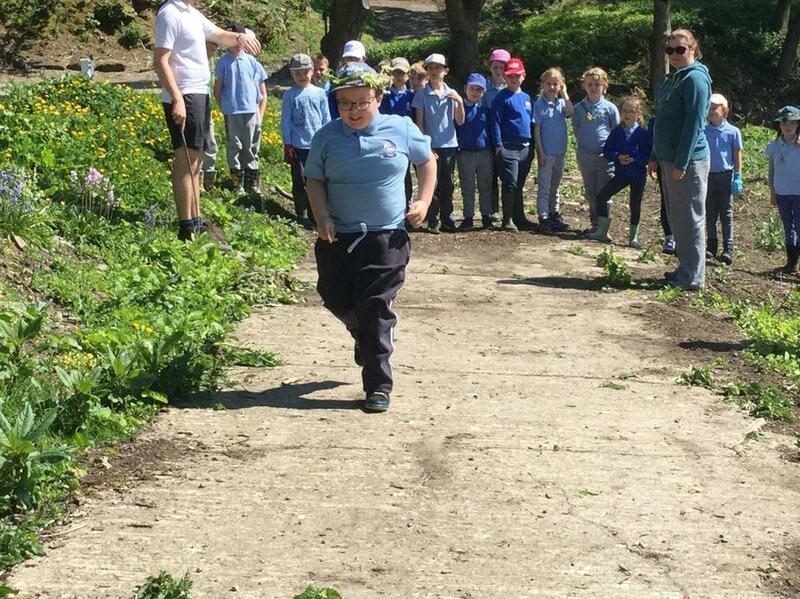 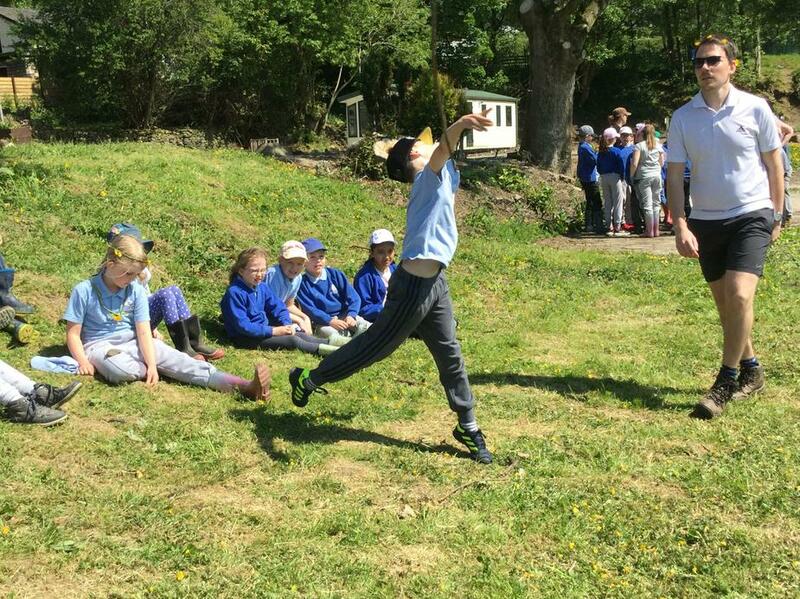 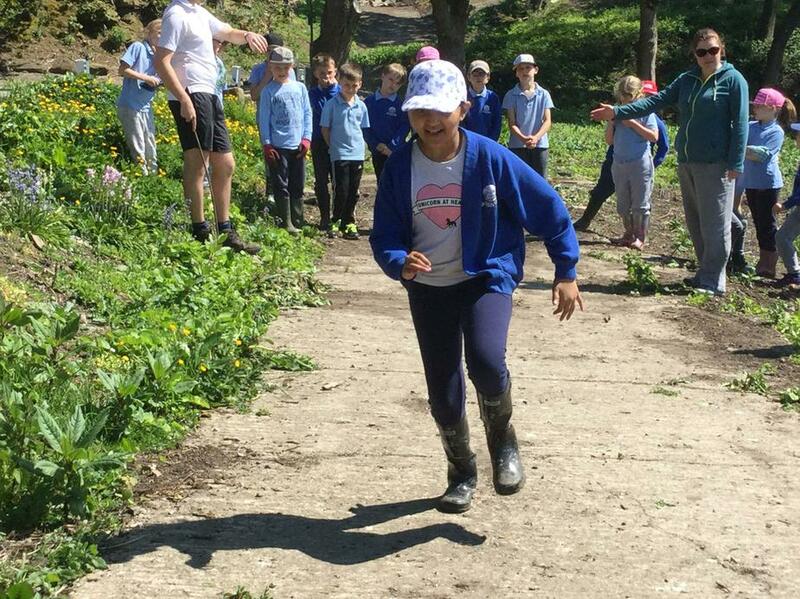 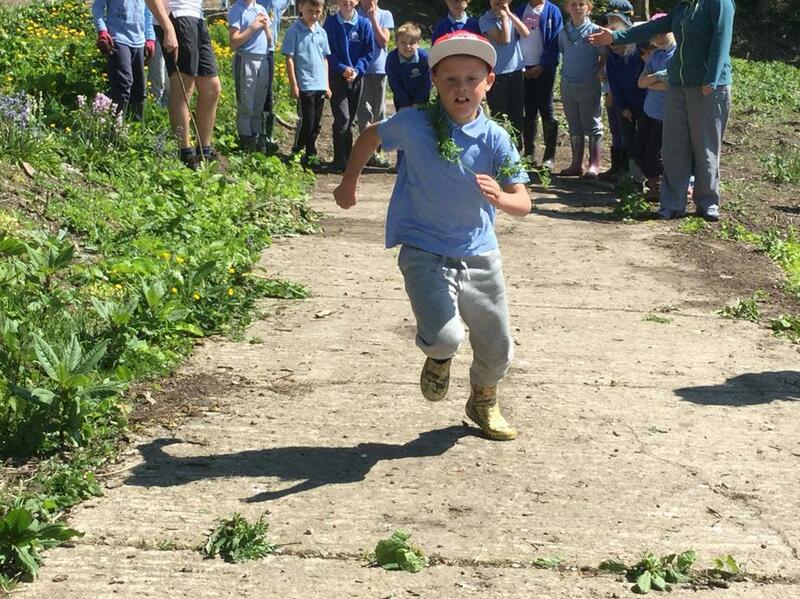 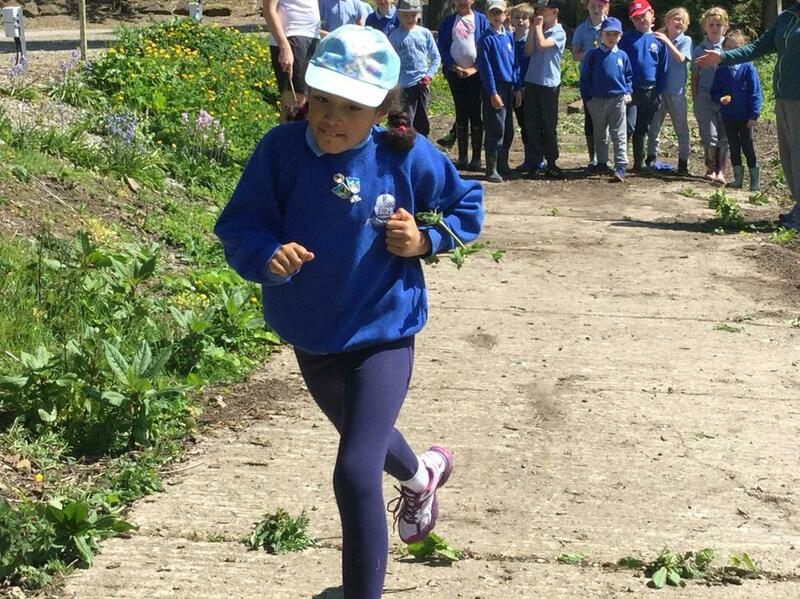 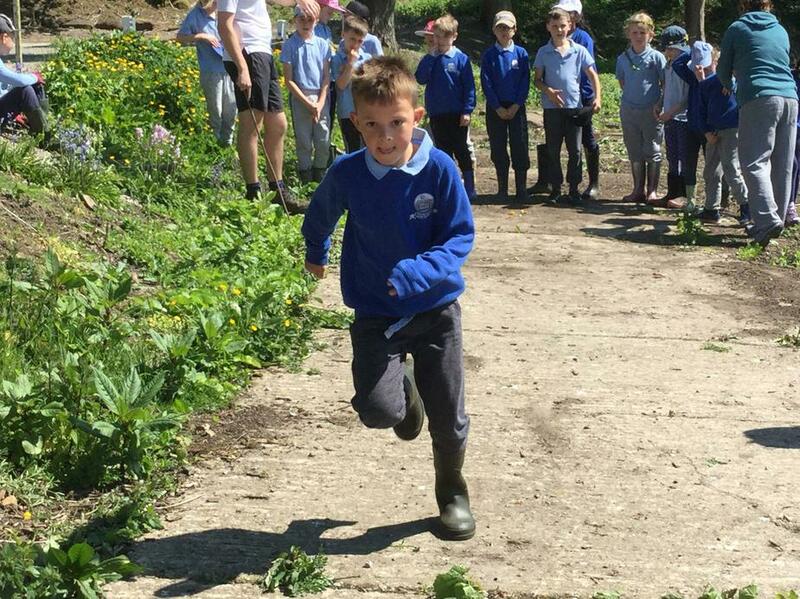 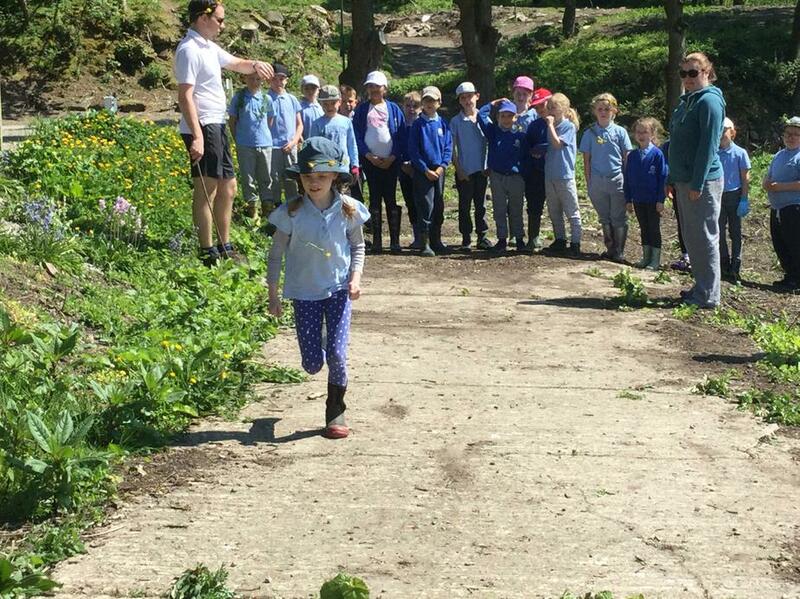 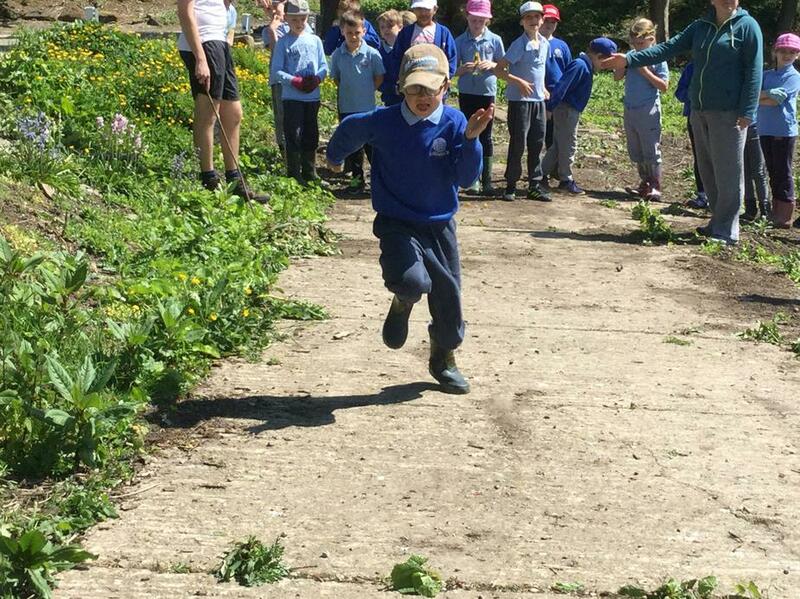 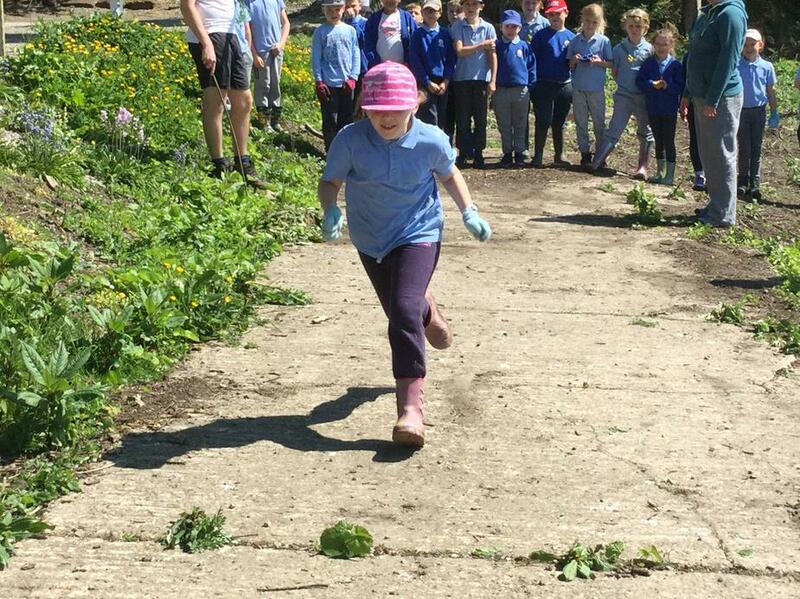 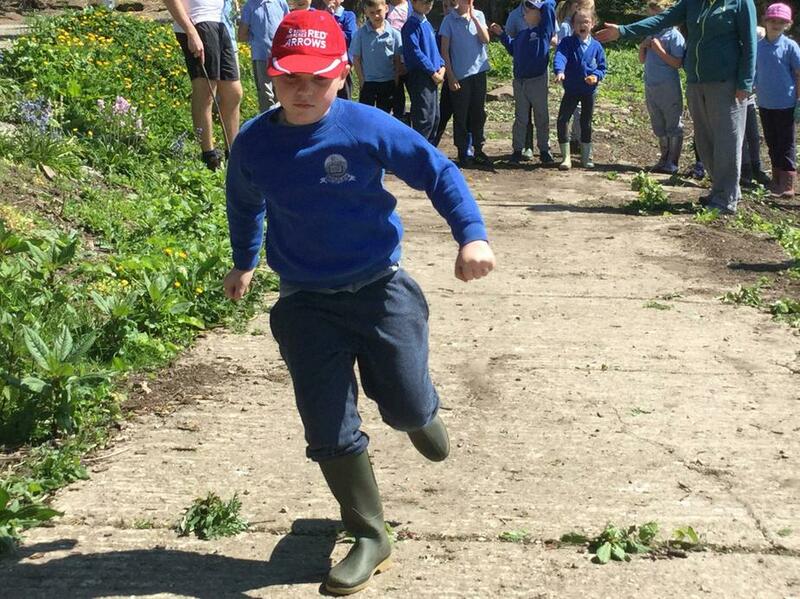 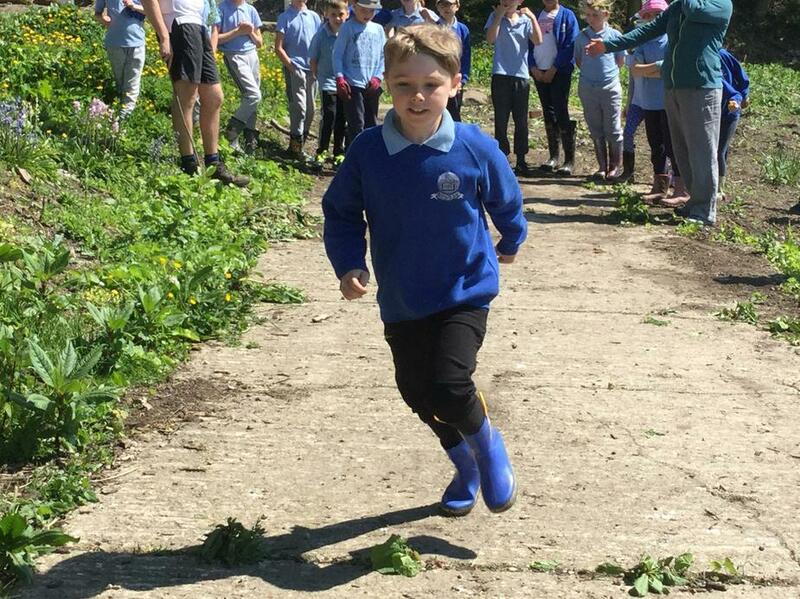 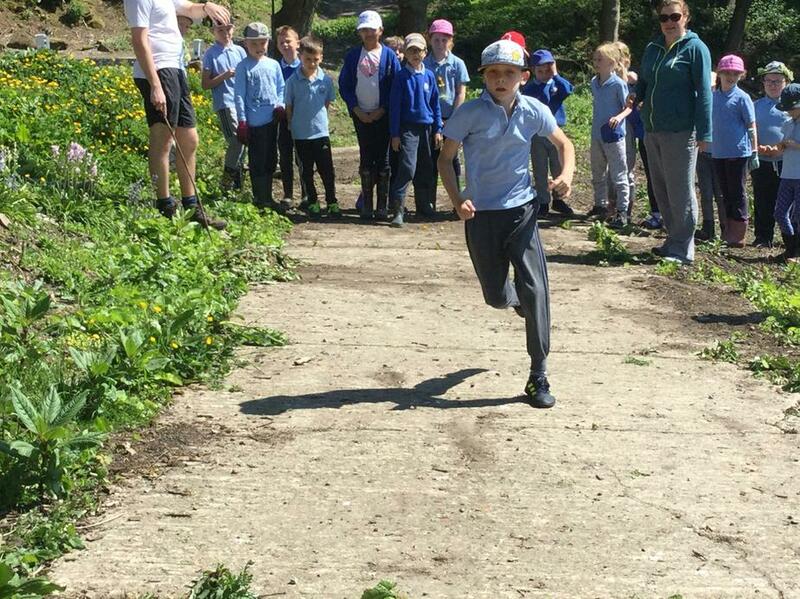 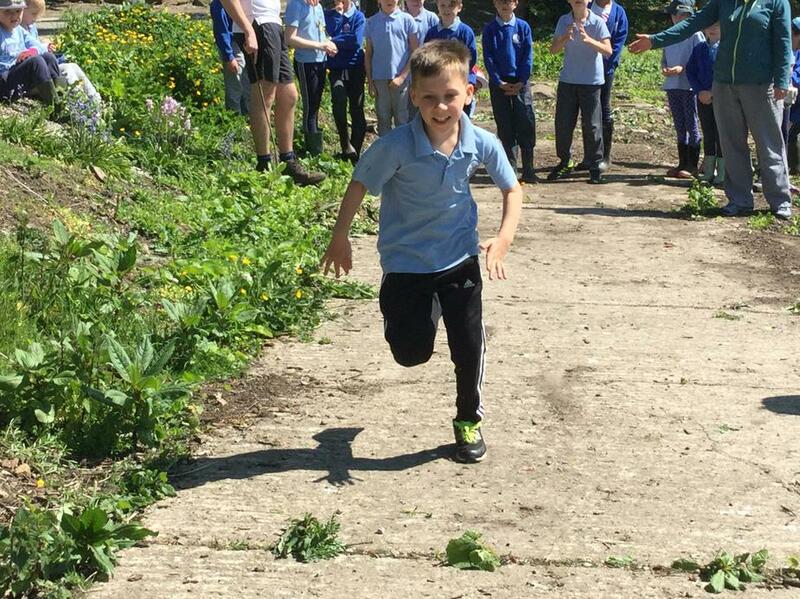 The afternoon then saw us join the rest of the school in completing our sponsored fun run. 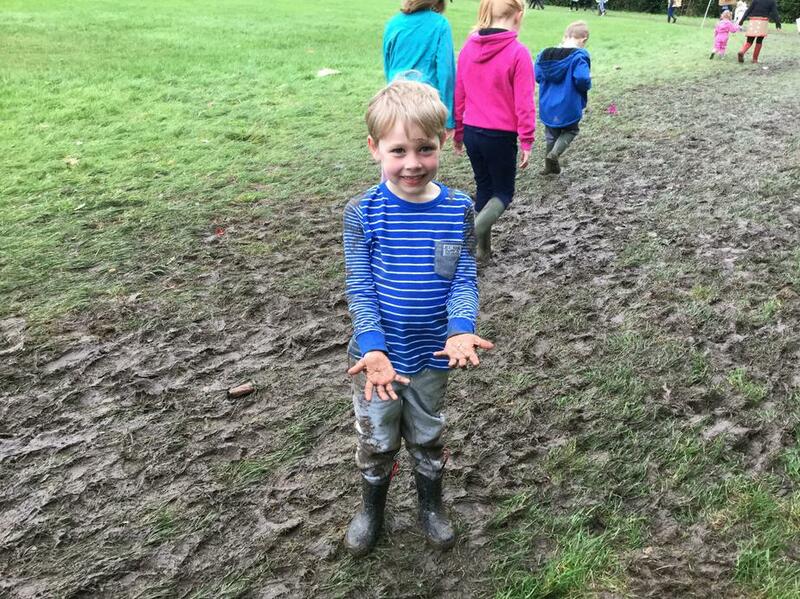 As the run went on, the event lived up to it's name but we all had great fun in the mud! 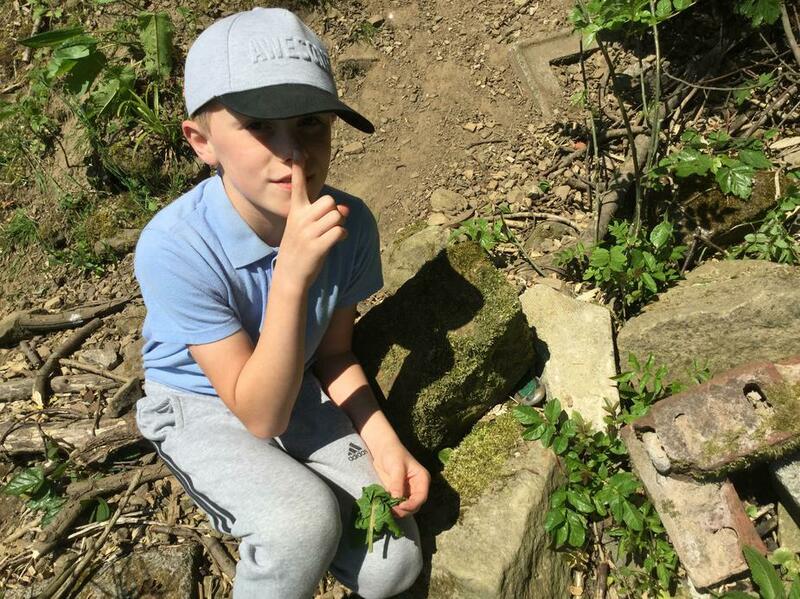 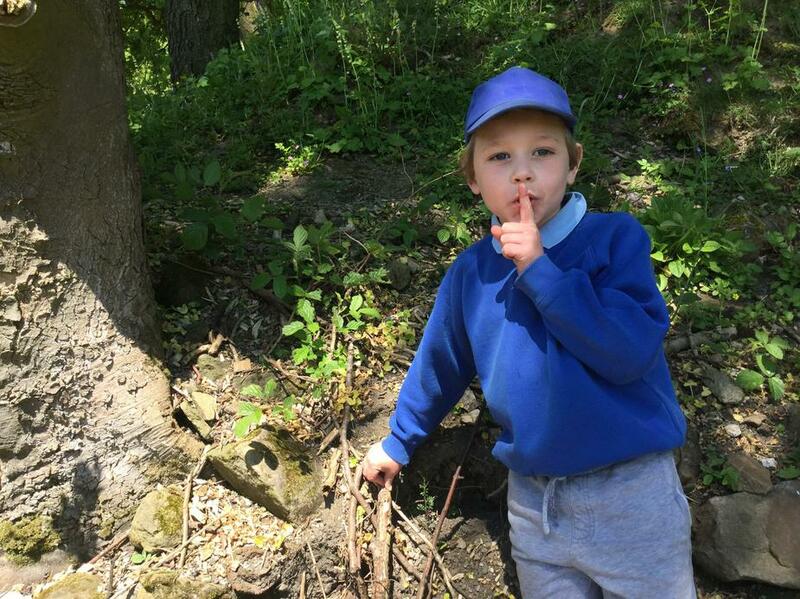 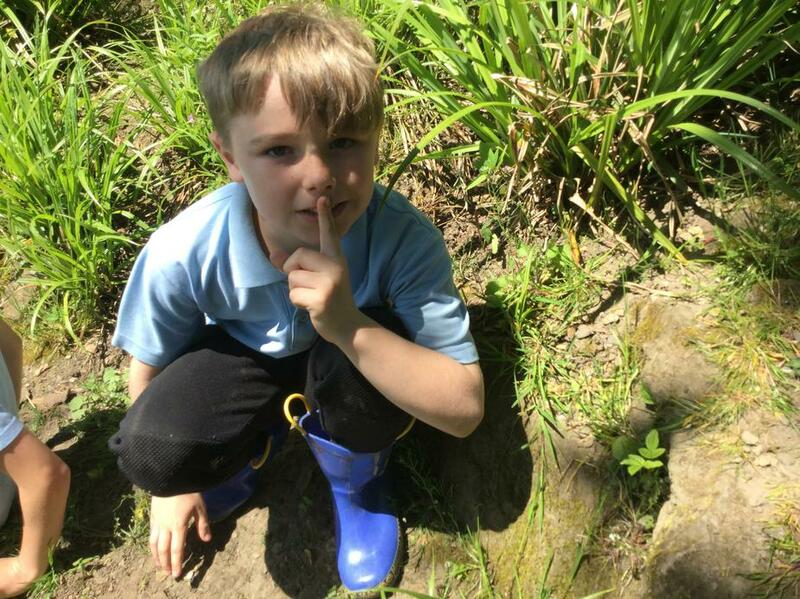 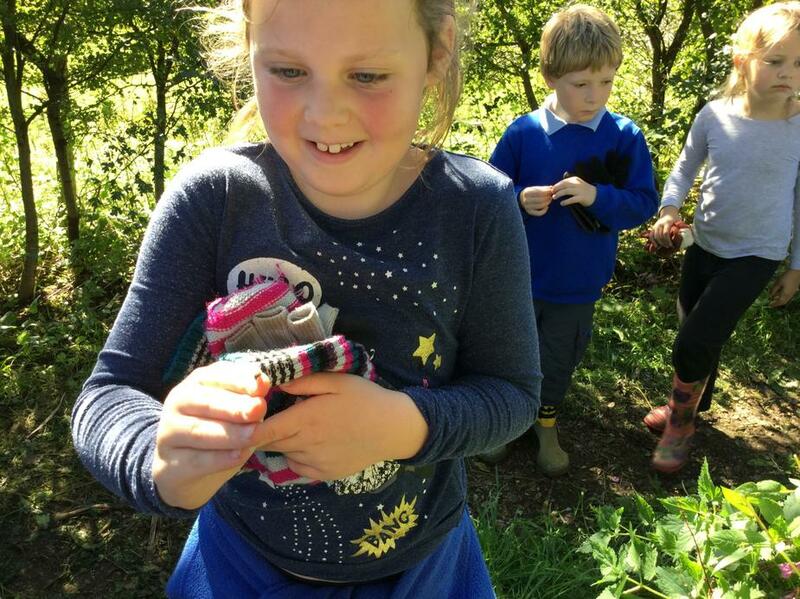 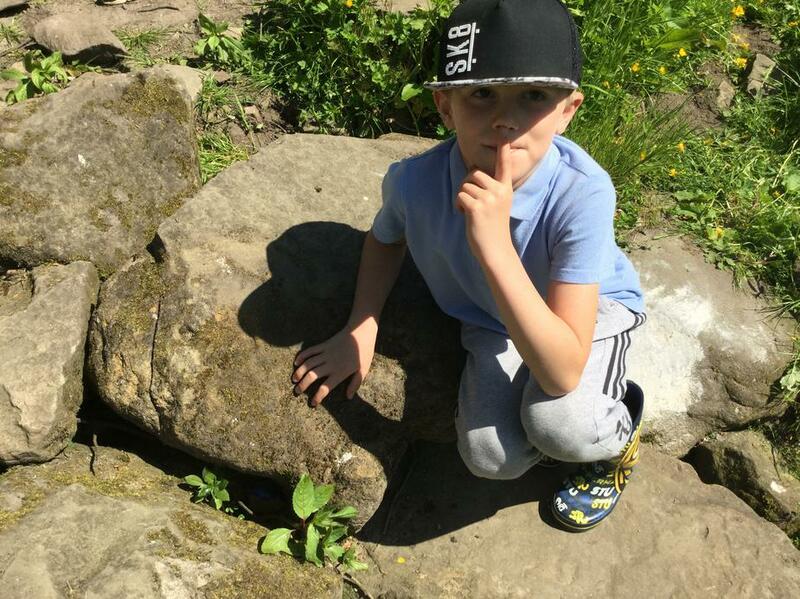 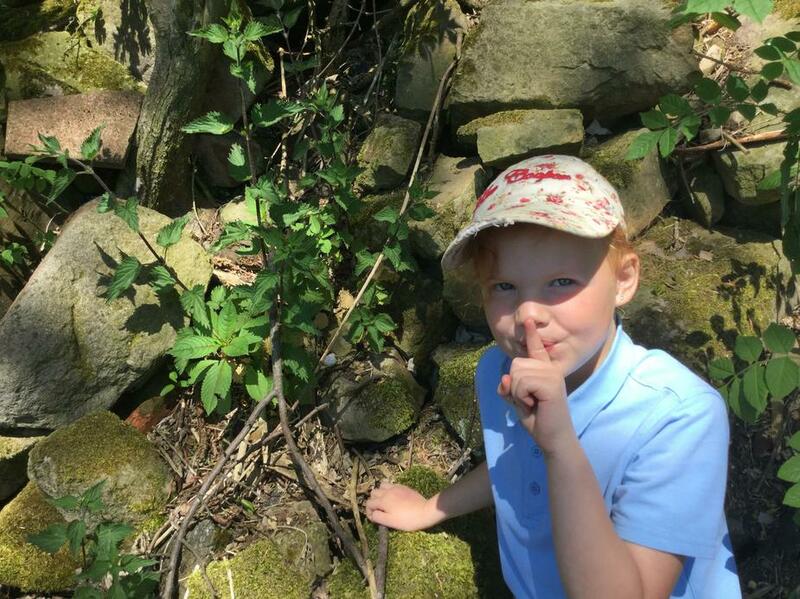 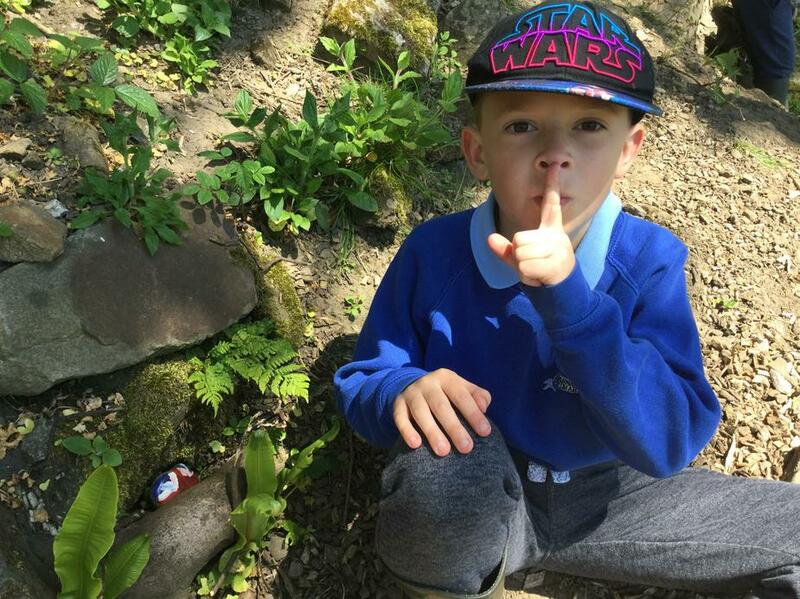 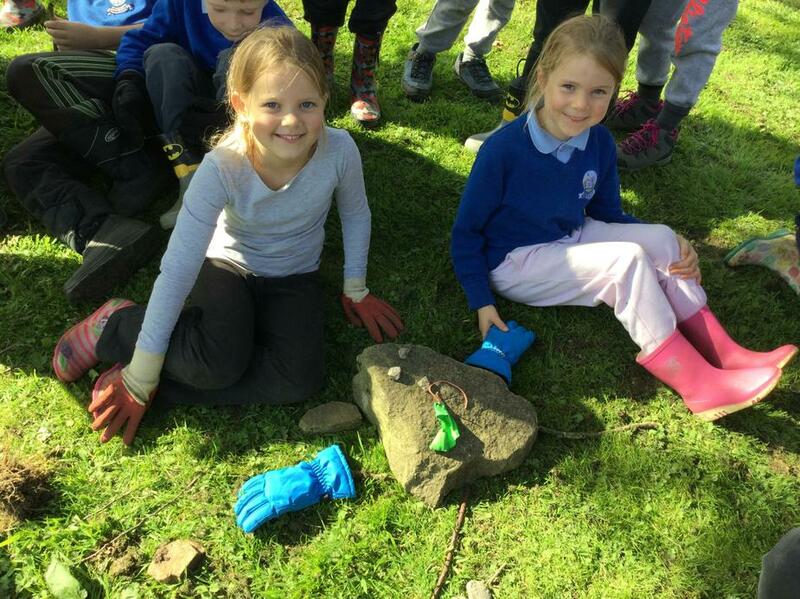 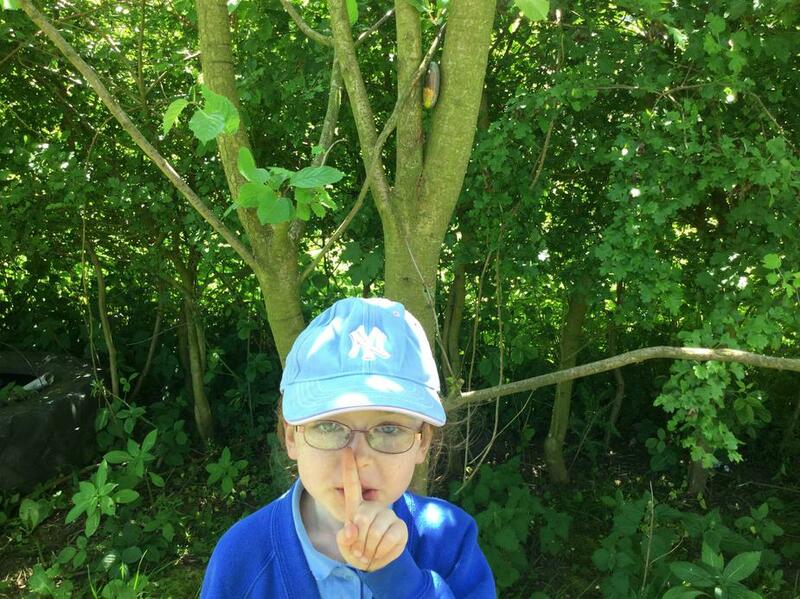 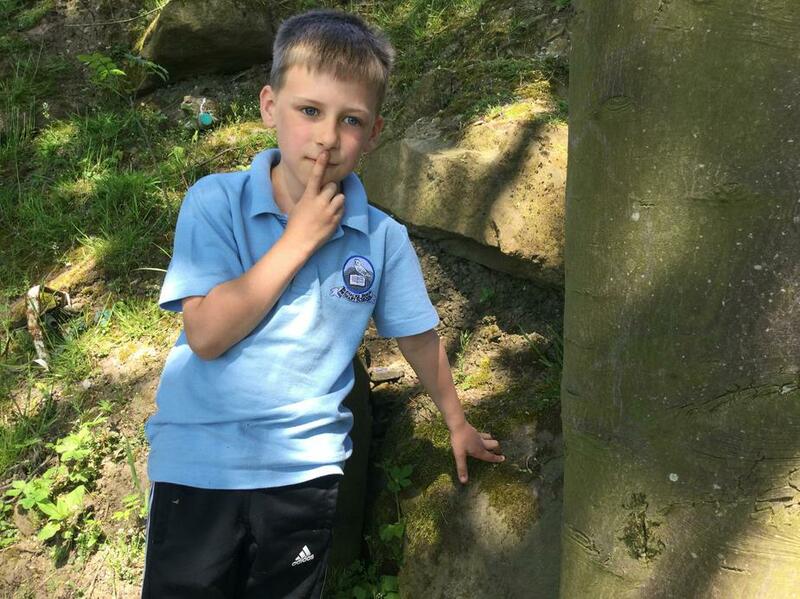 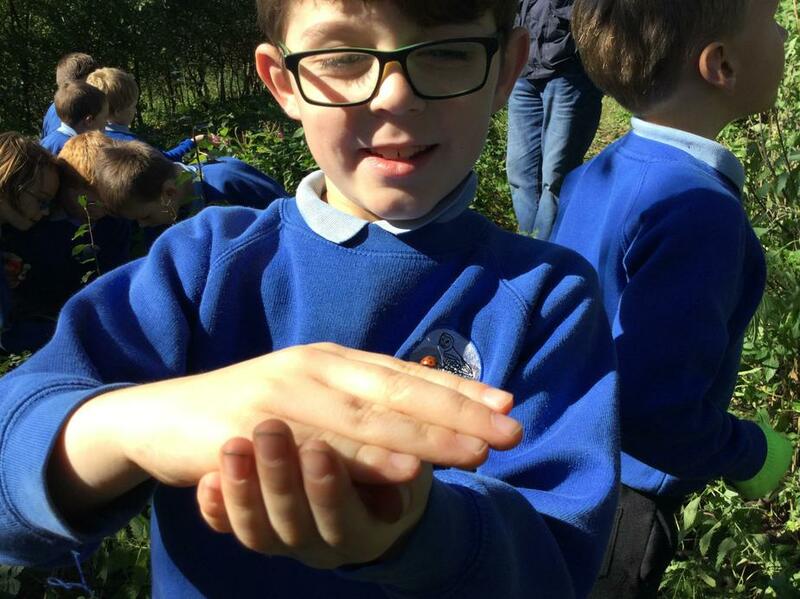 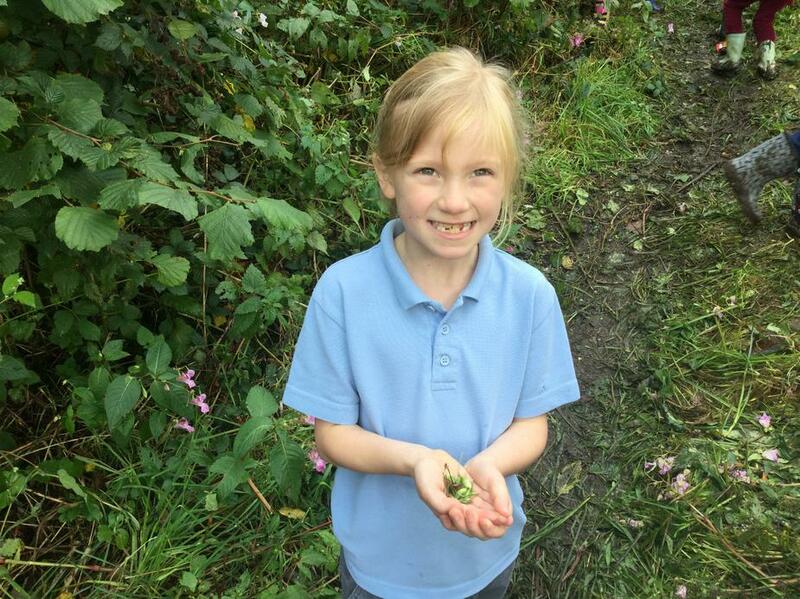 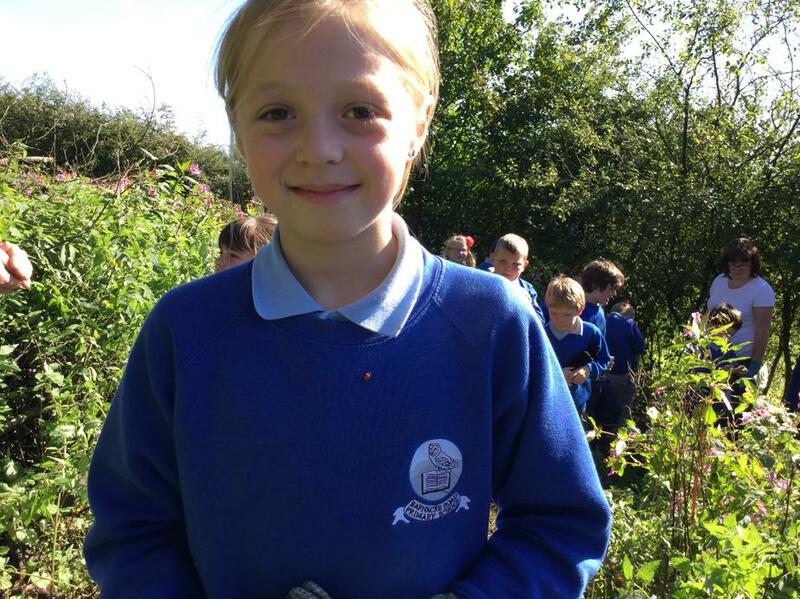 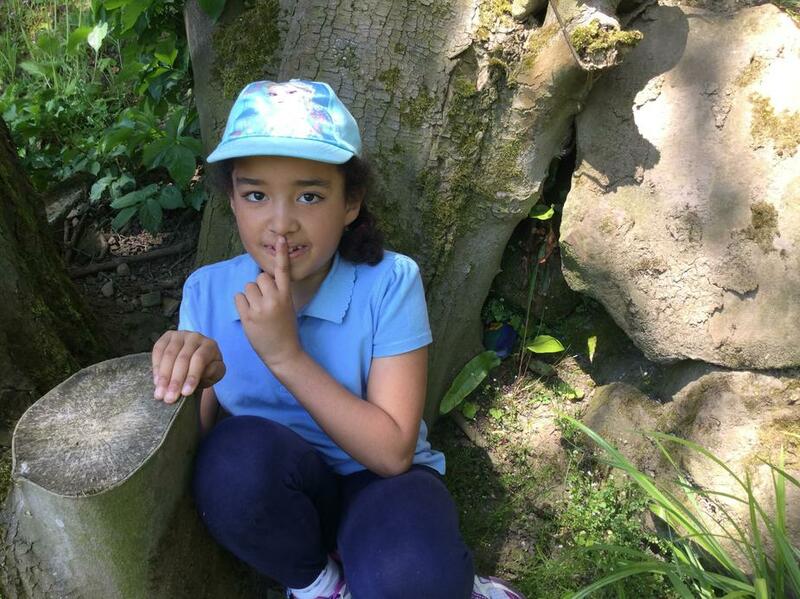 We had a great day at the woodland site looking for signs of Autumn and making our 'Forest Friends'. 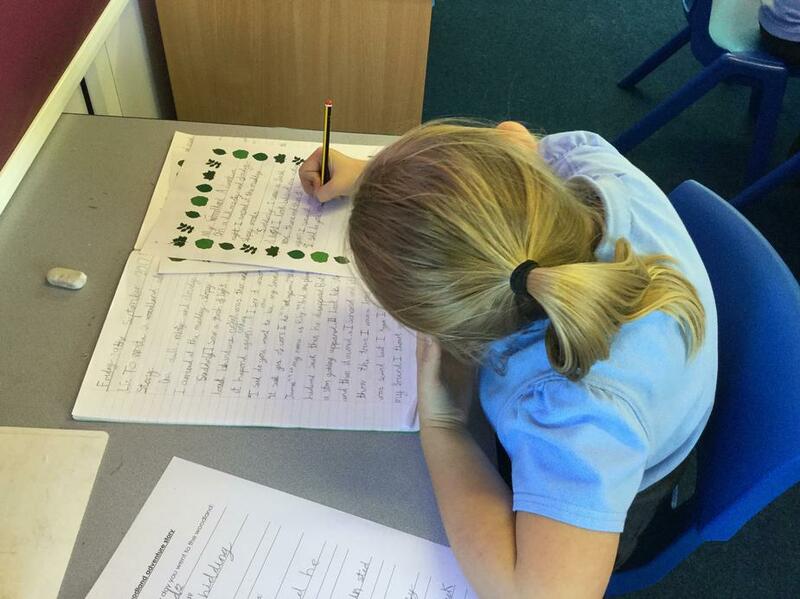 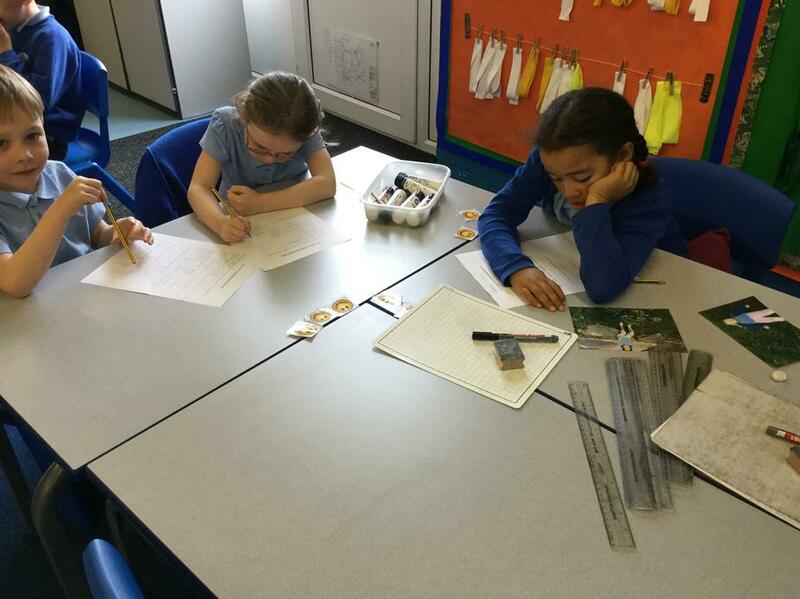 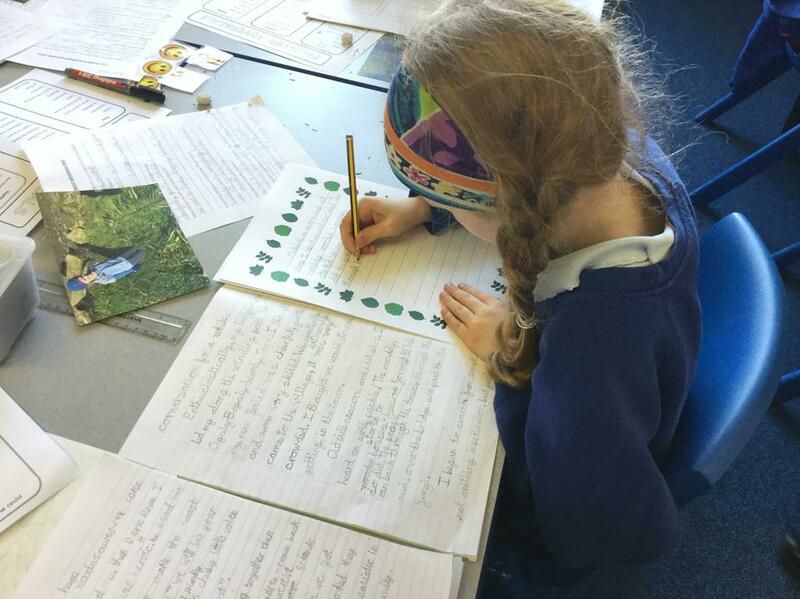 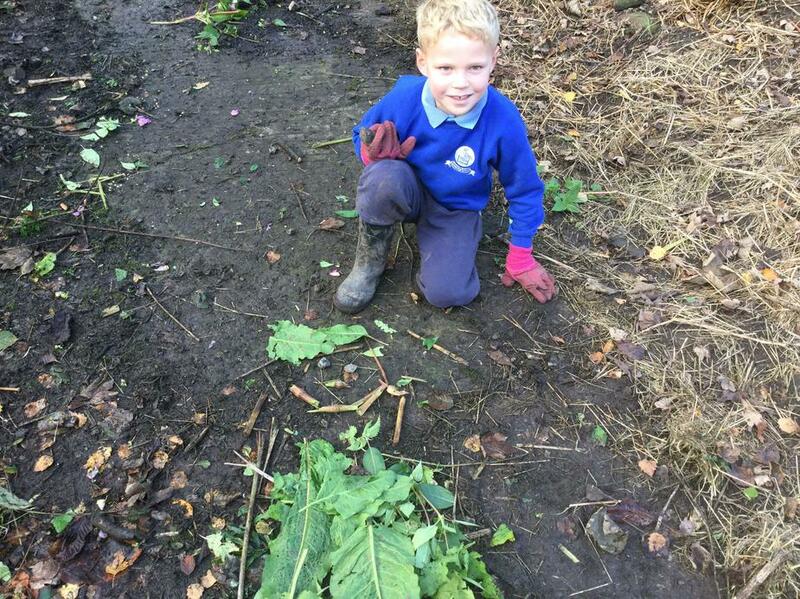 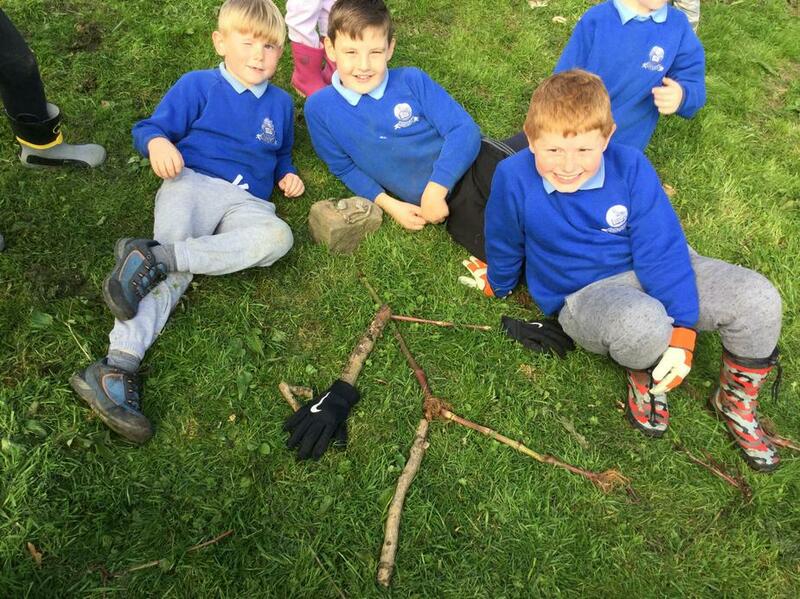 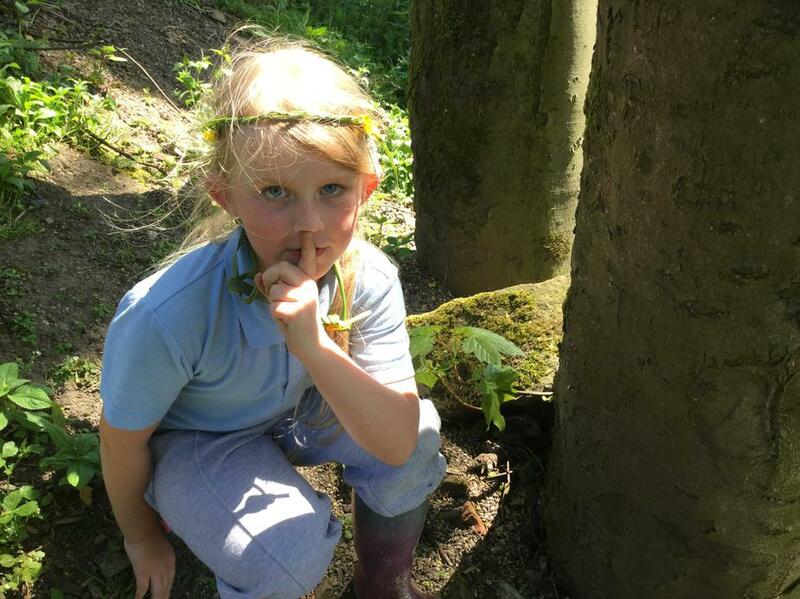 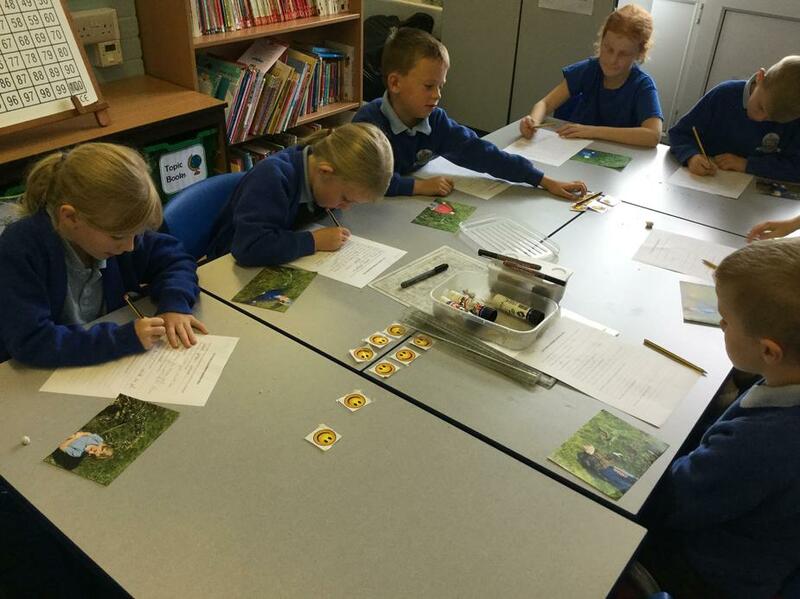 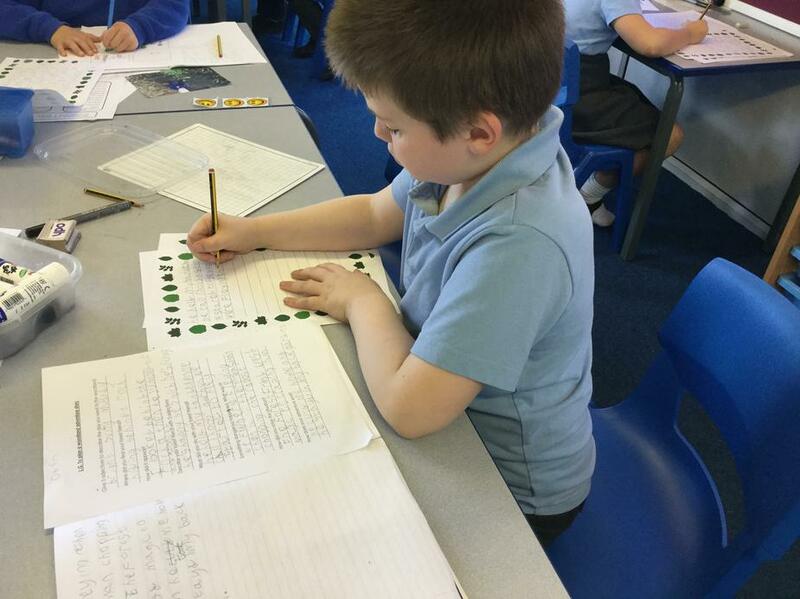 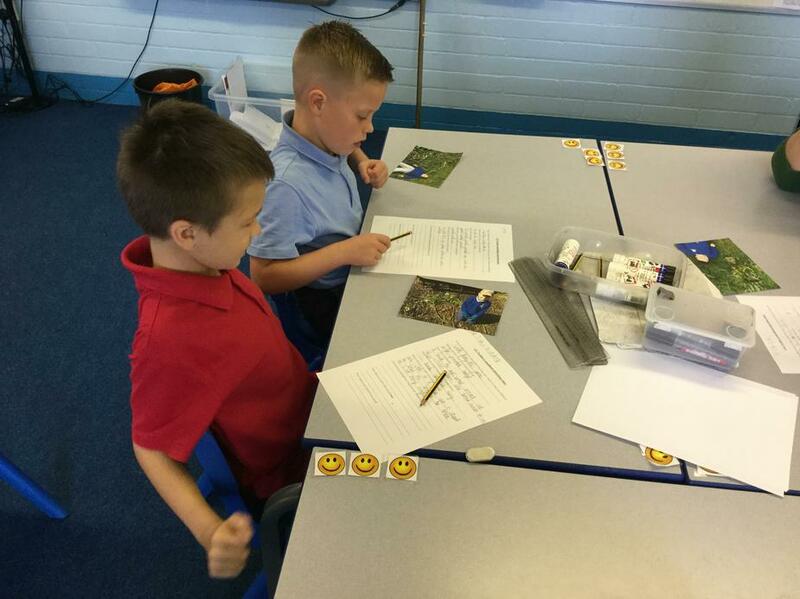 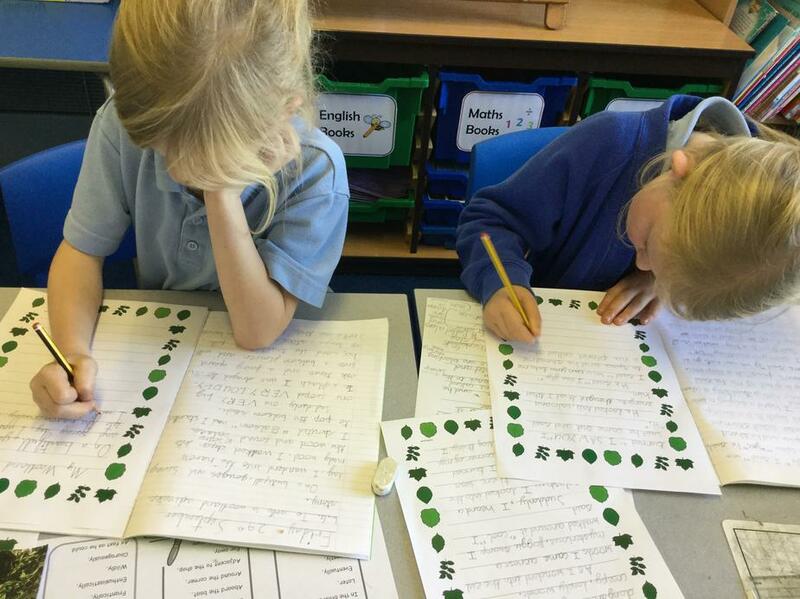 The next day we used our imagination to bring our 'Forest Friends' to live and write about our adventures with them. 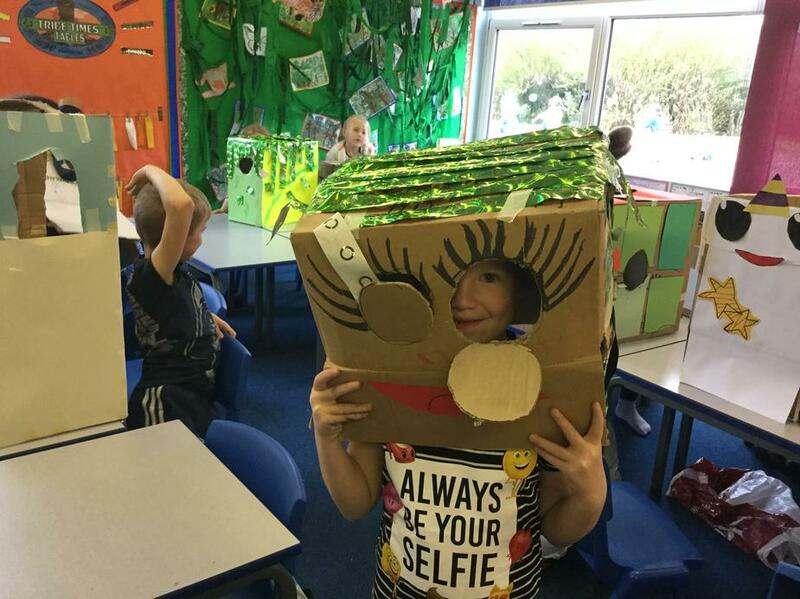 Take a look below at our creations!